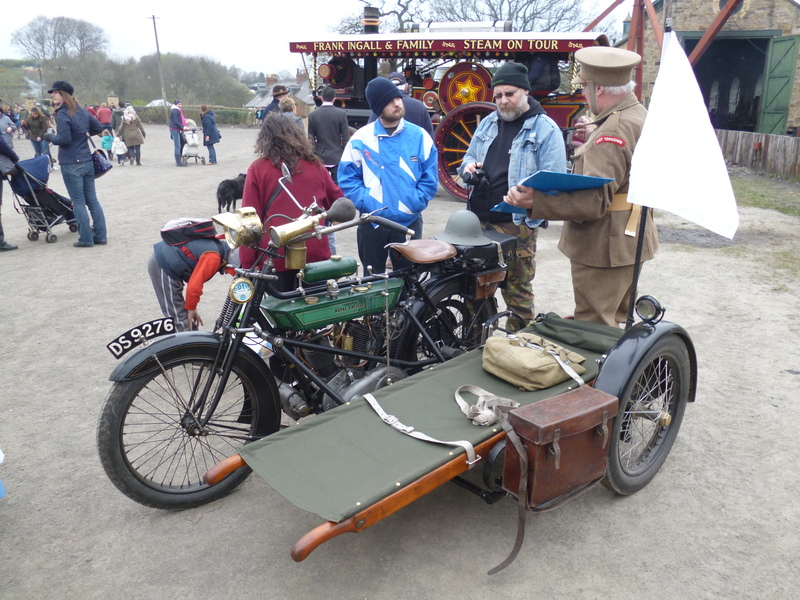 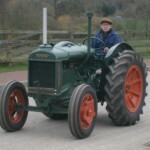 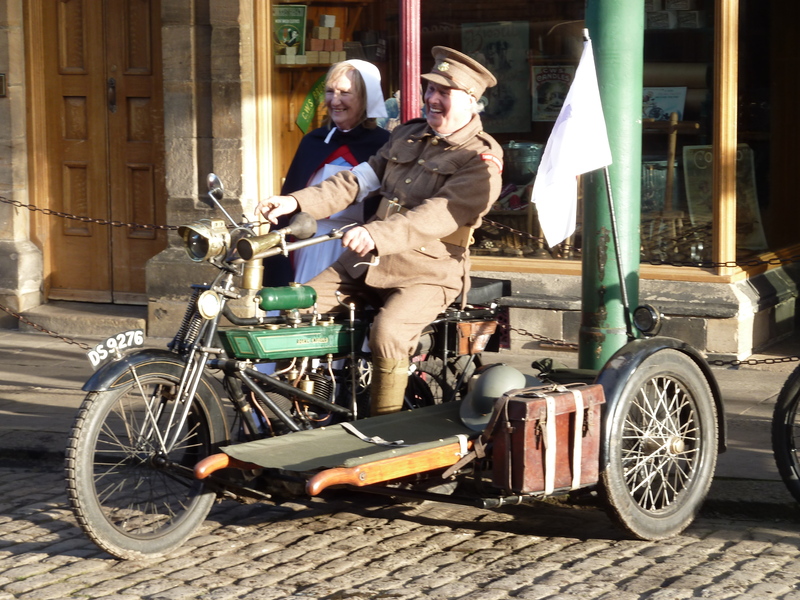 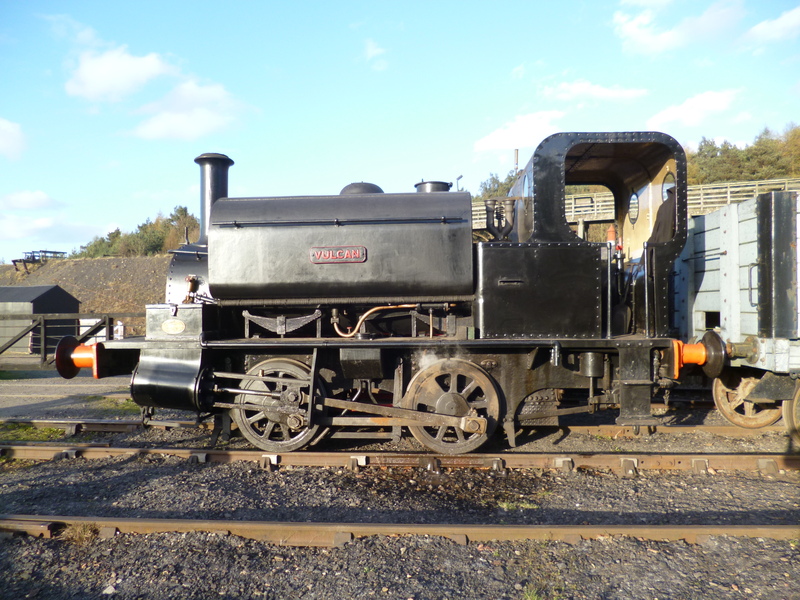 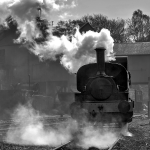 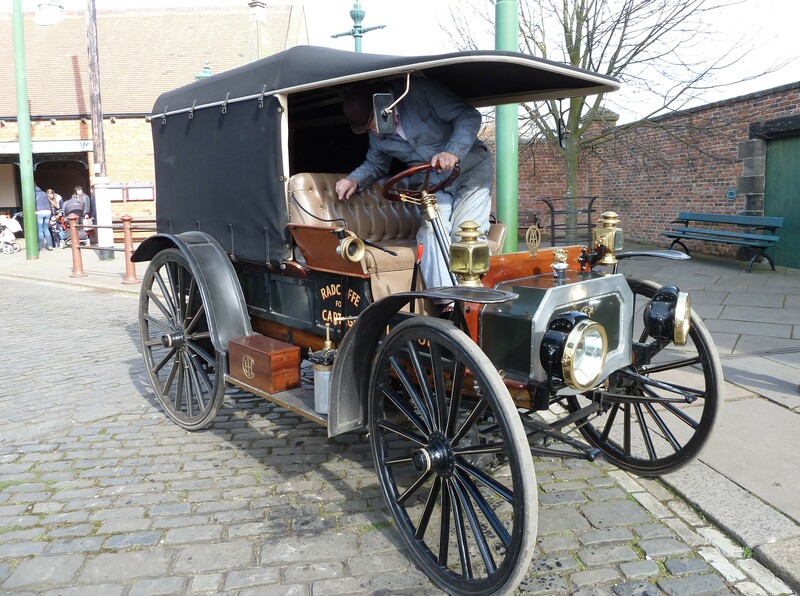 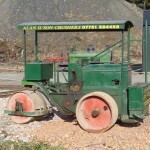 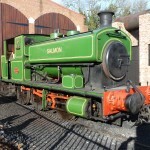 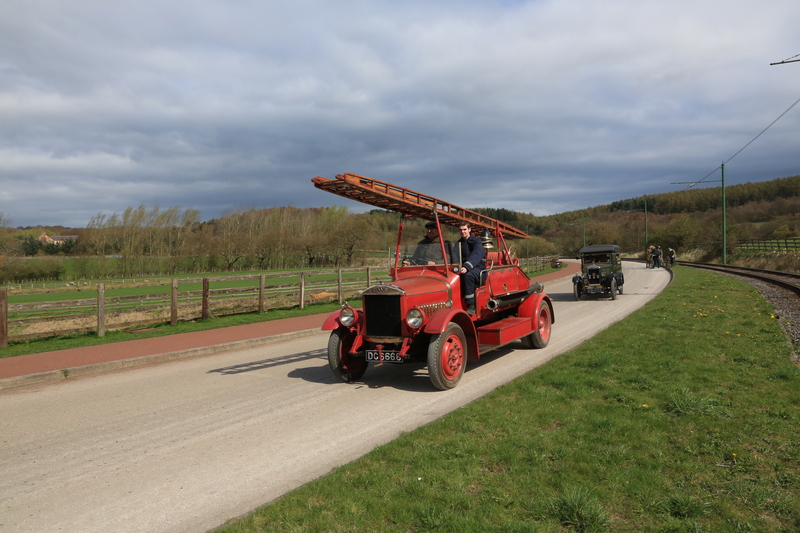 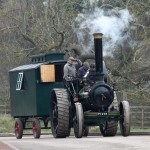 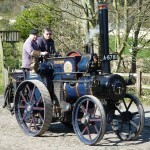 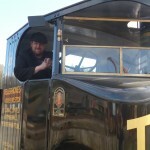 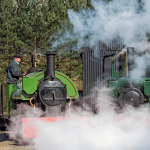 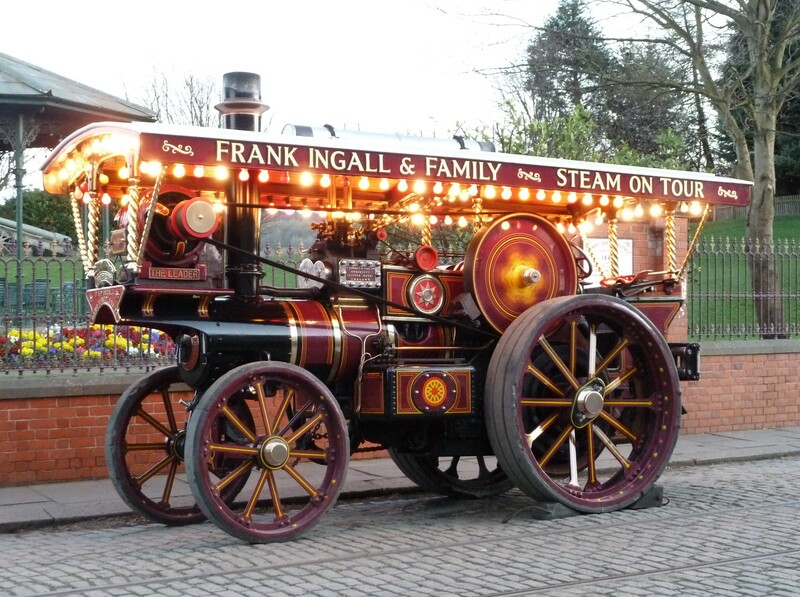 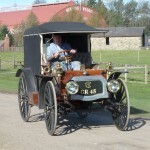 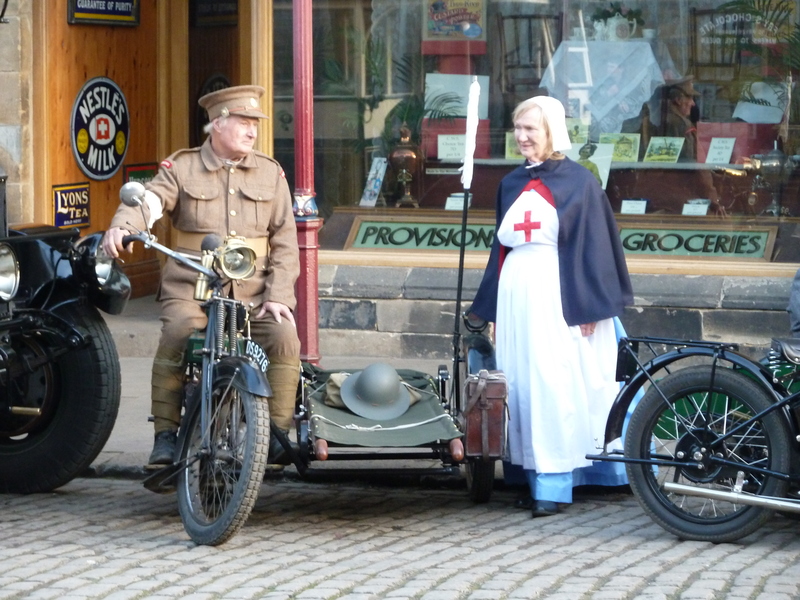 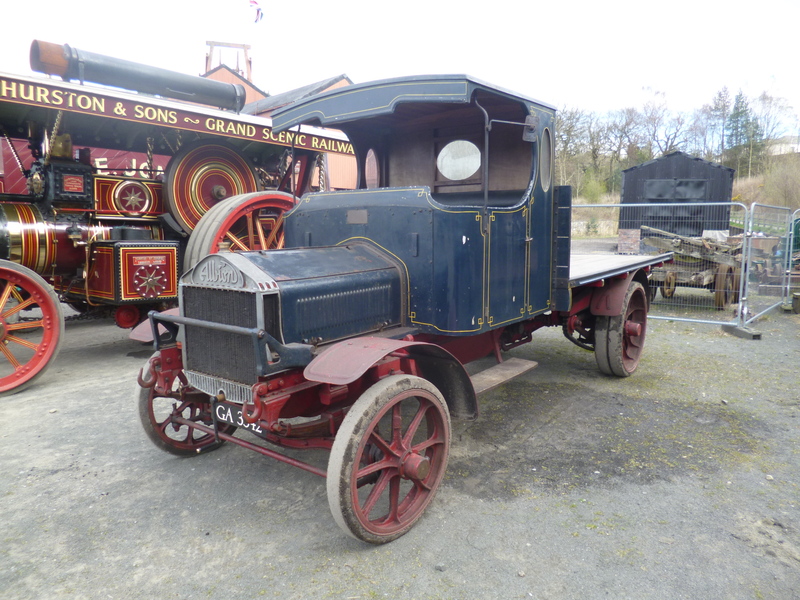 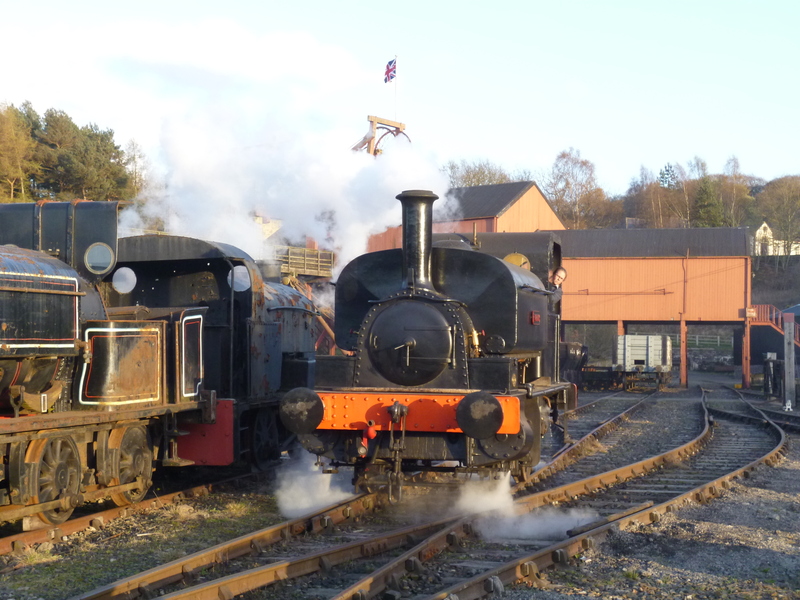 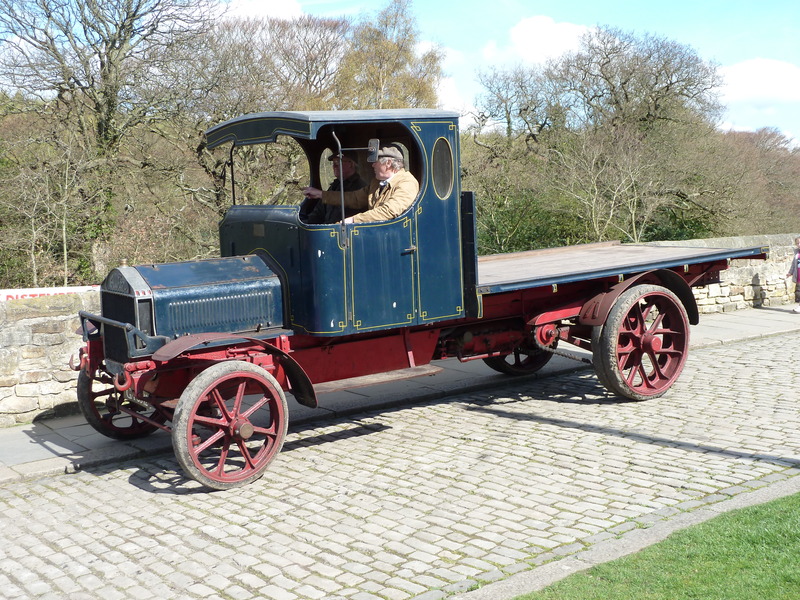 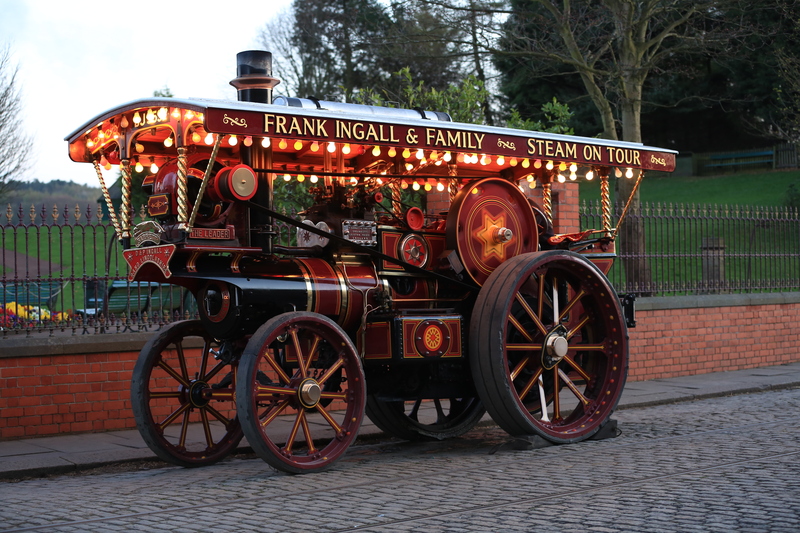 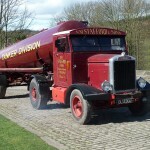 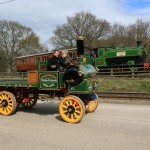 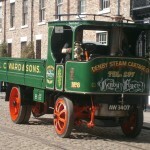 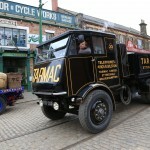 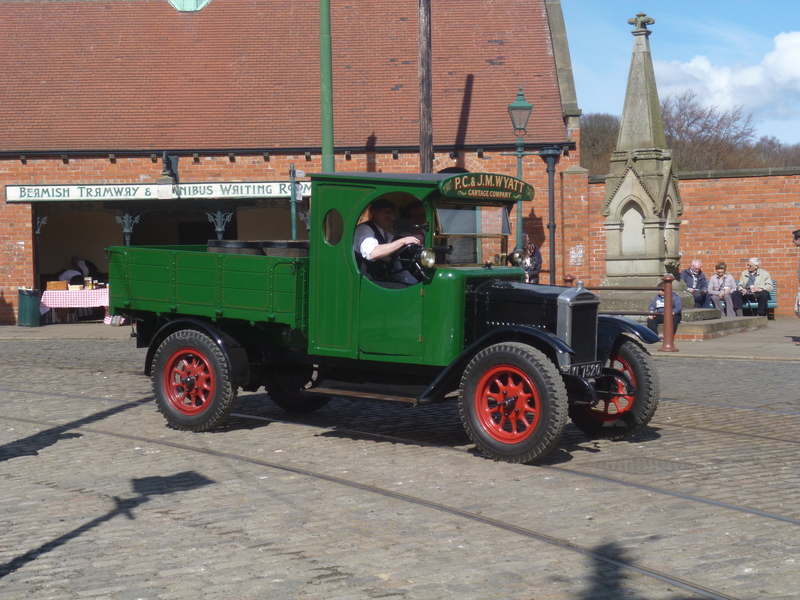 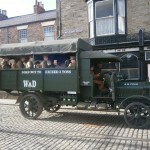 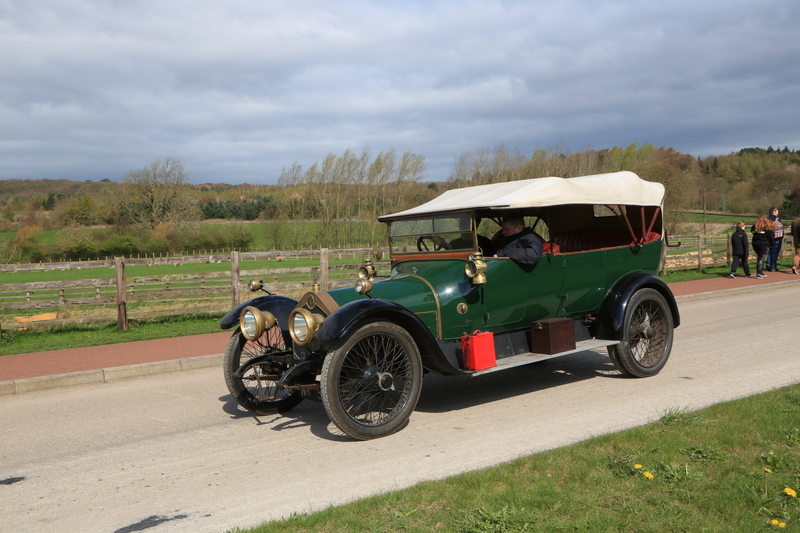 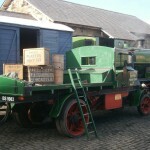 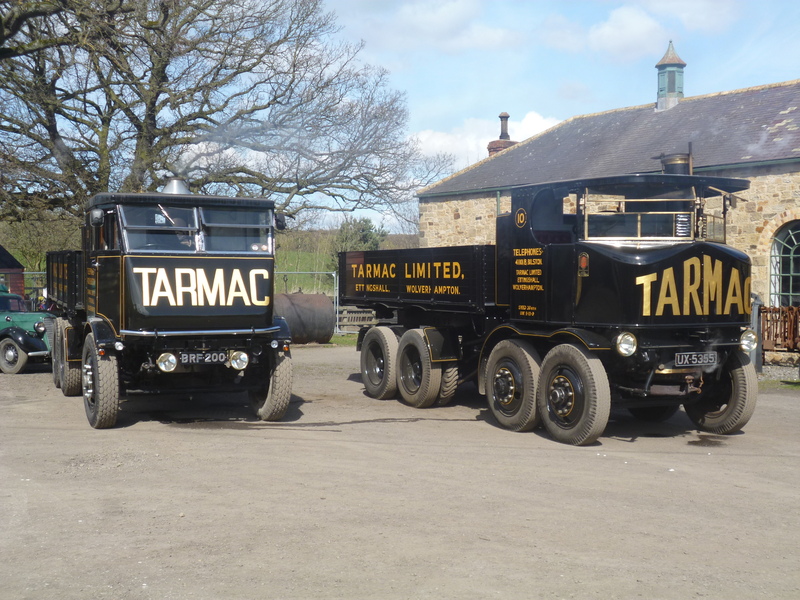 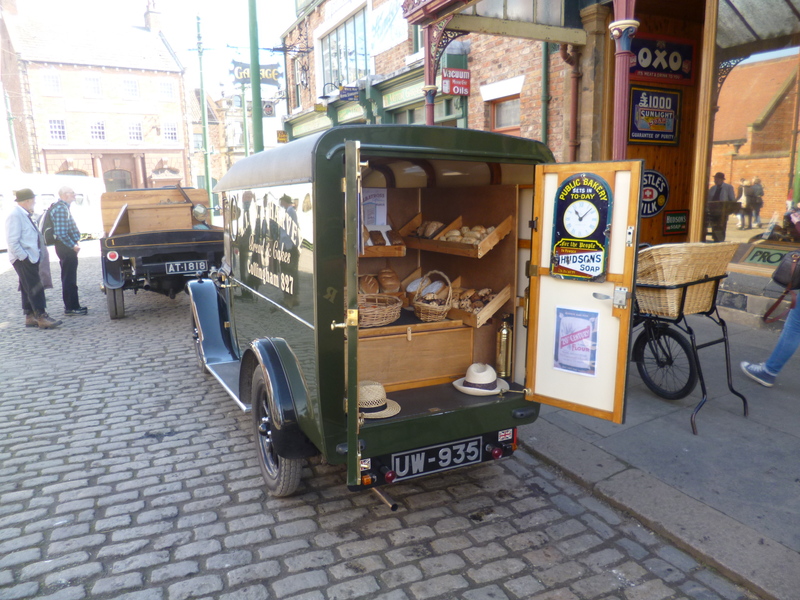 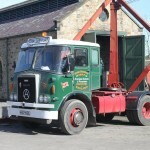 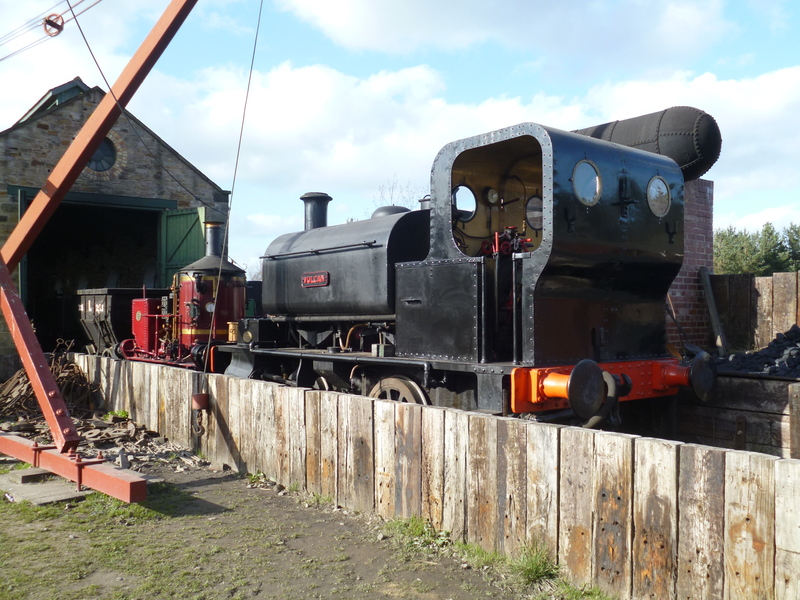 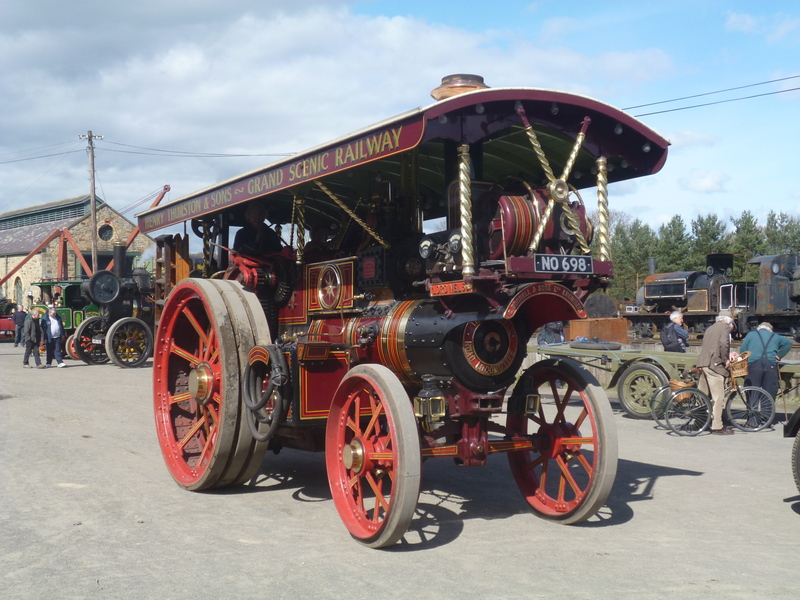 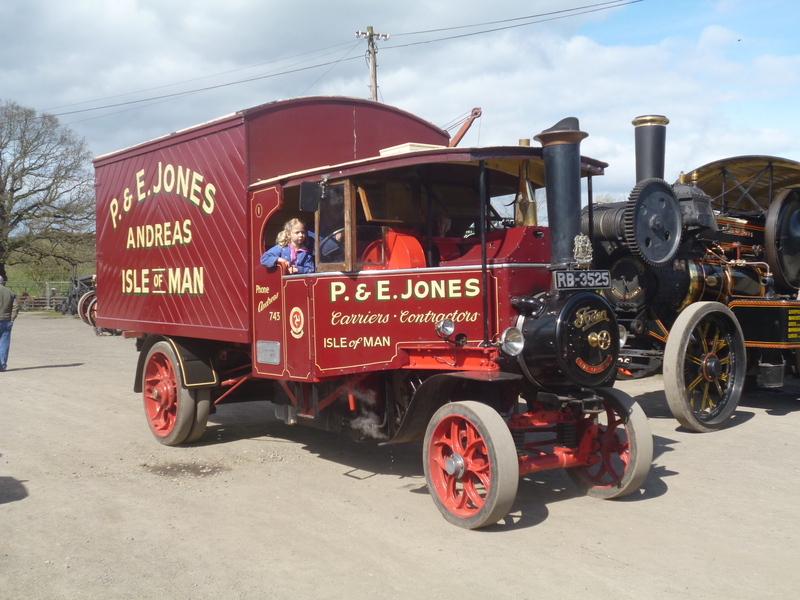 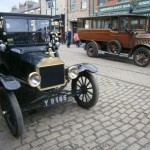 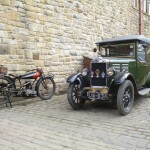 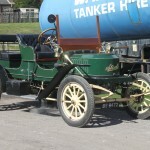 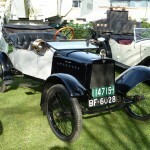 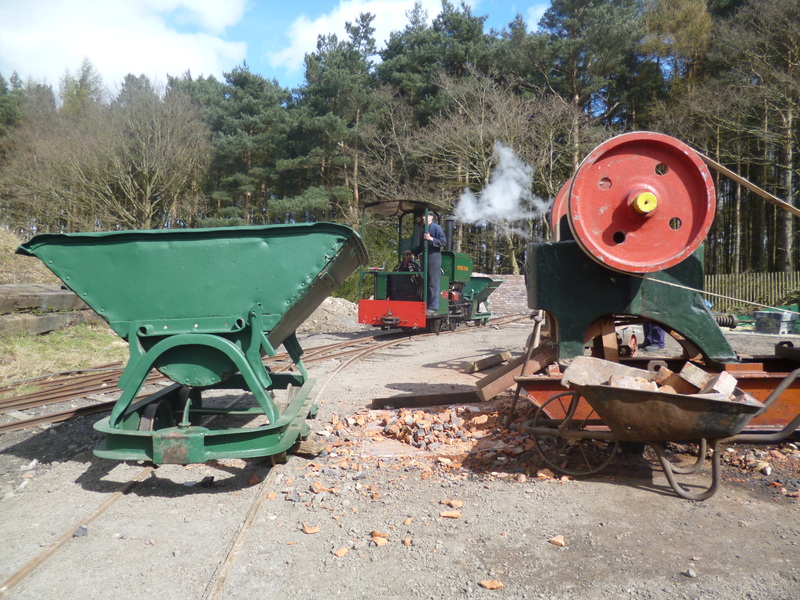 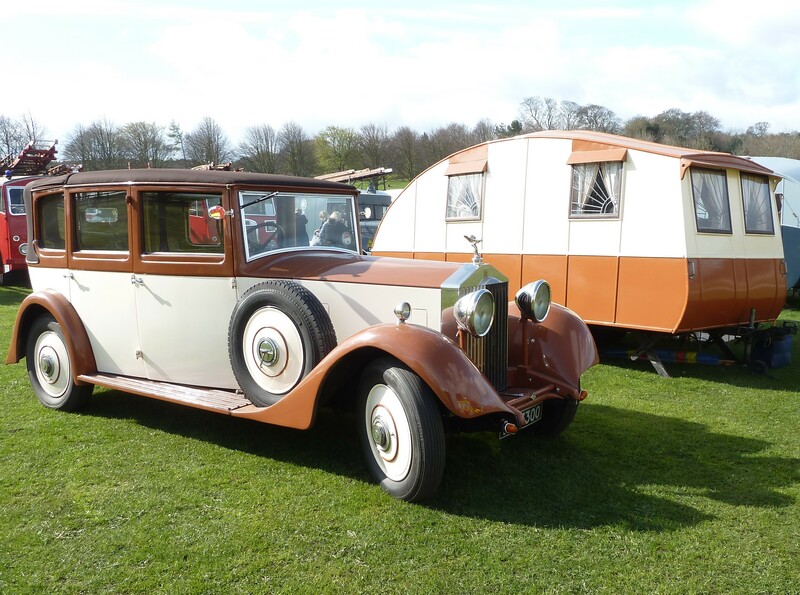 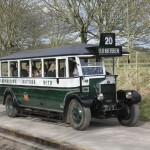 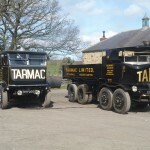 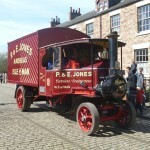 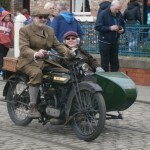 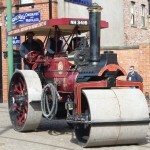 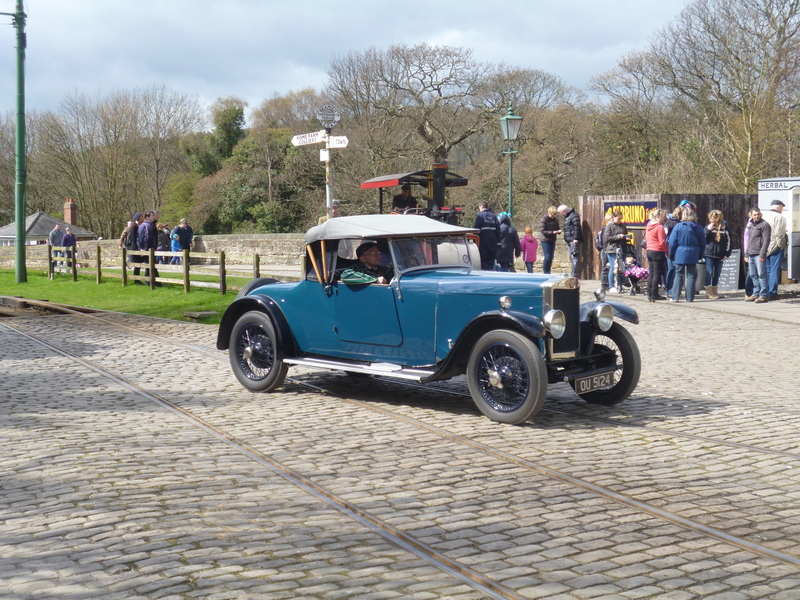 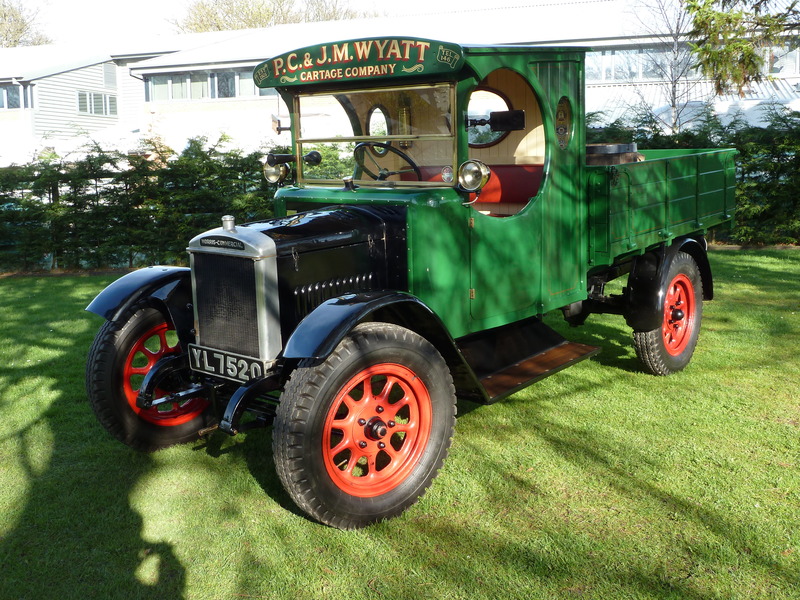 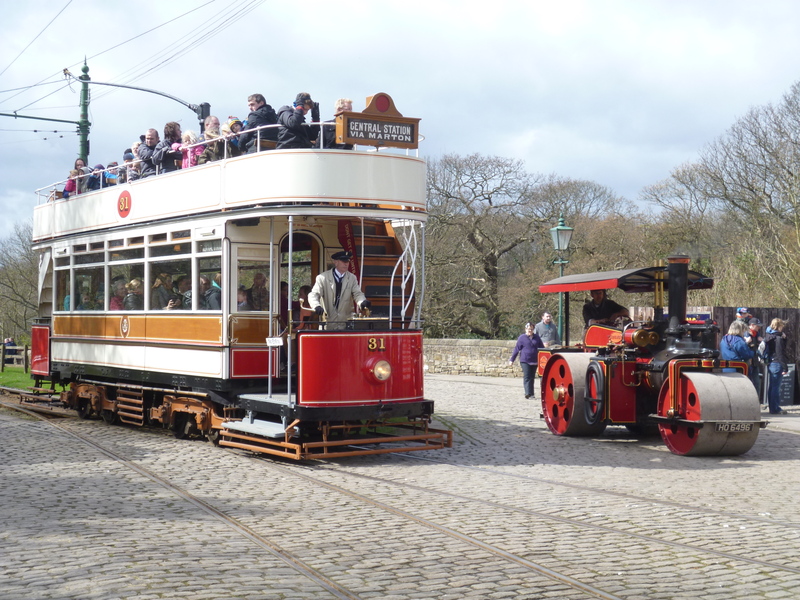 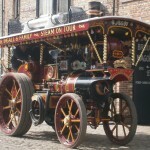 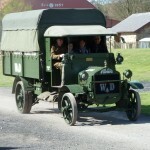 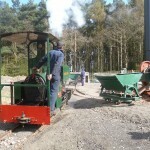 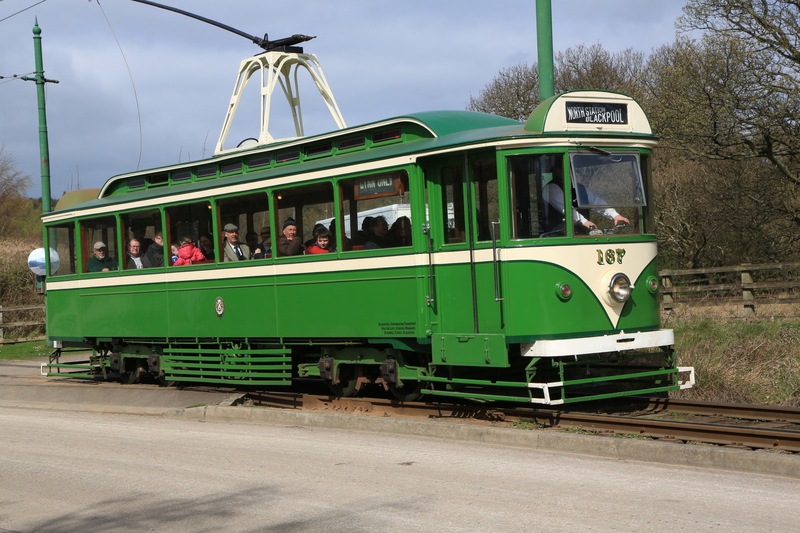 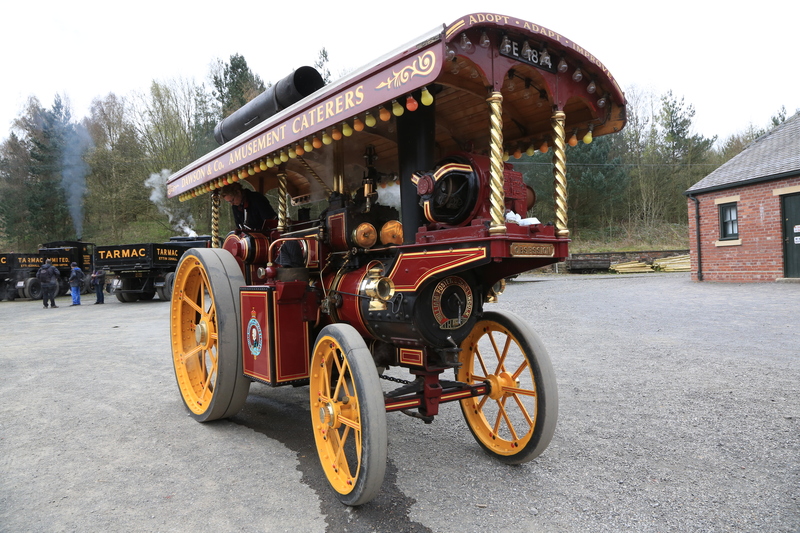 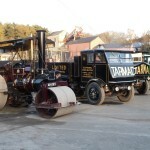 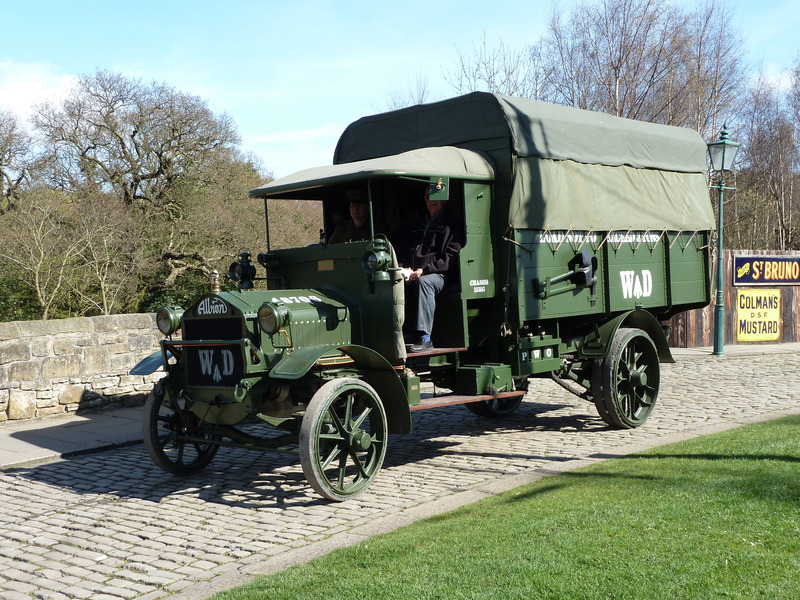 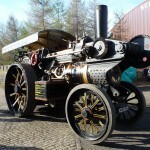 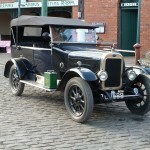 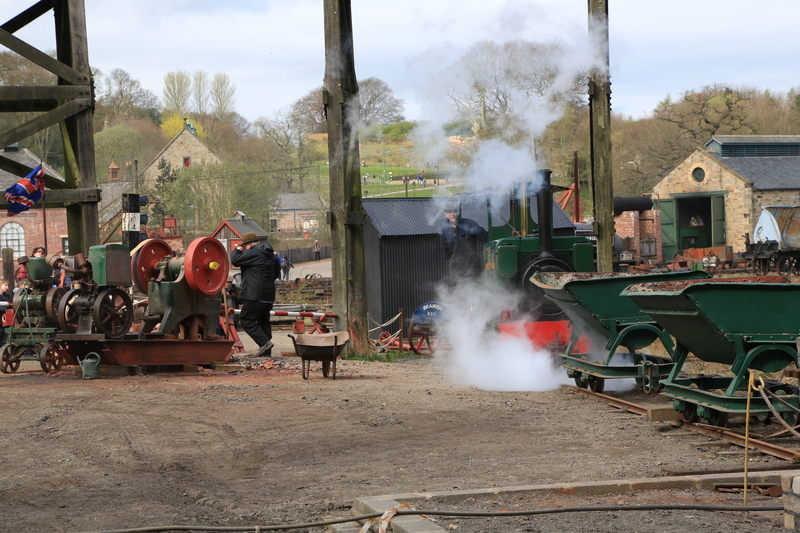 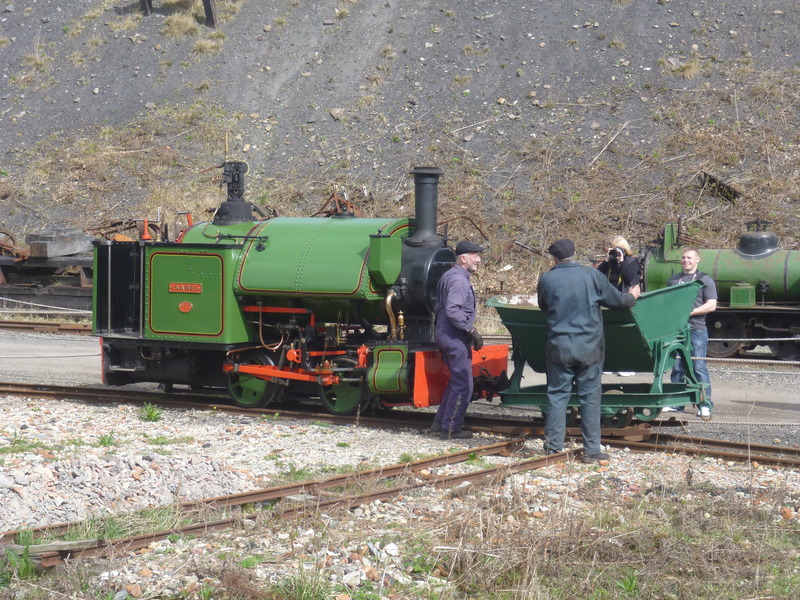 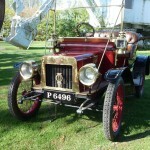 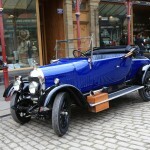 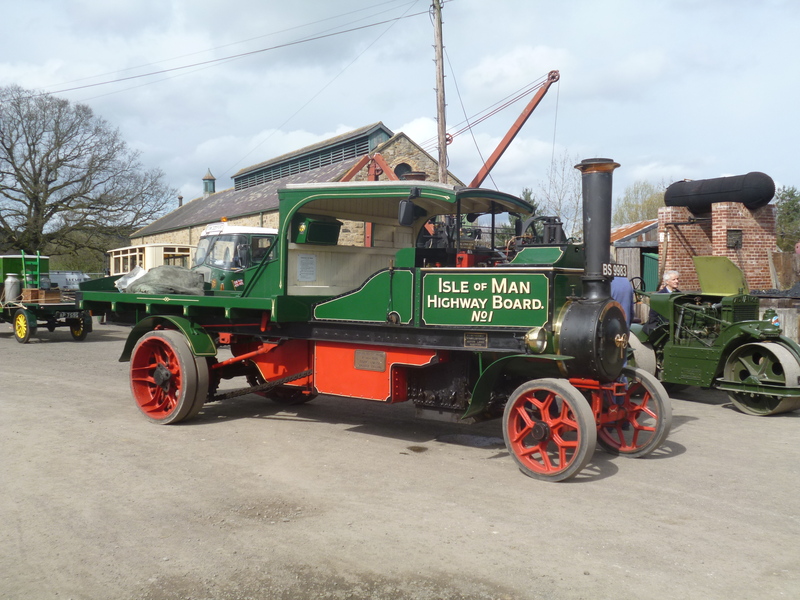 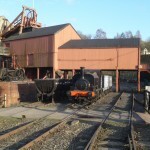 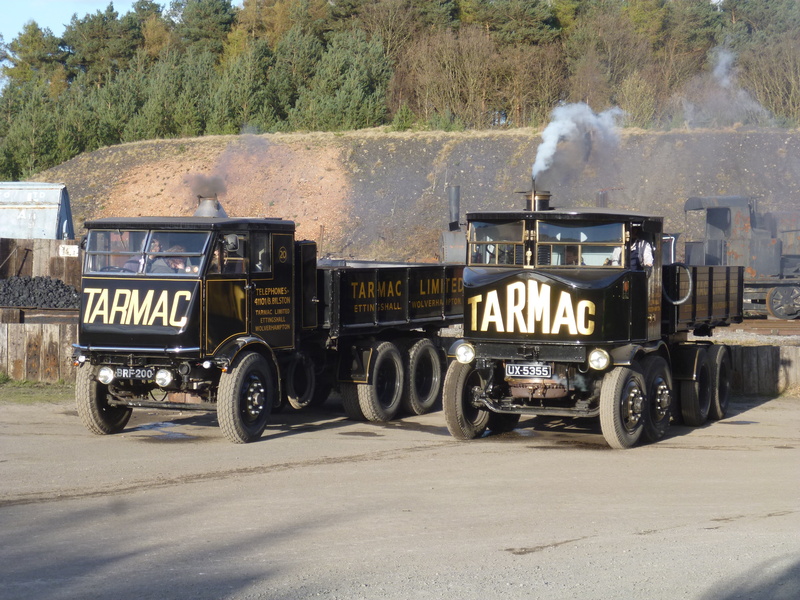 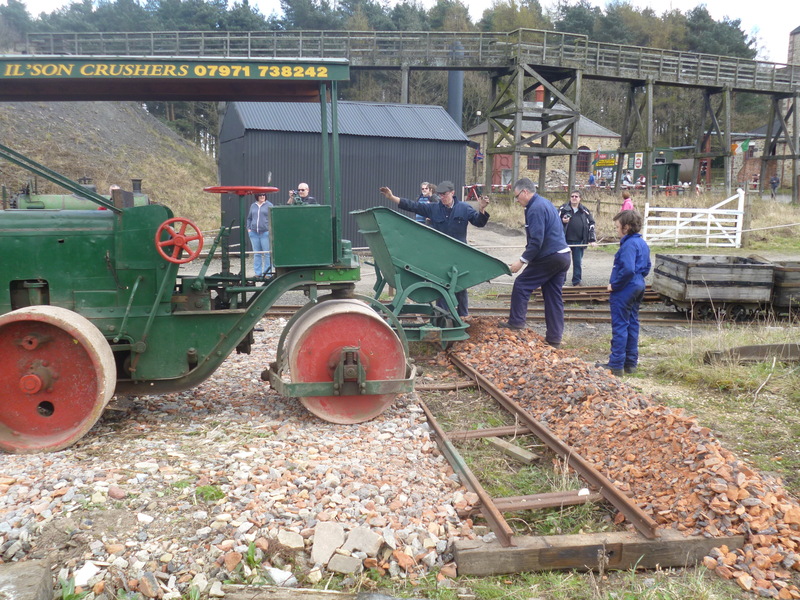 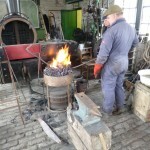 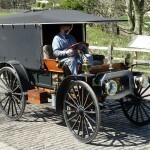 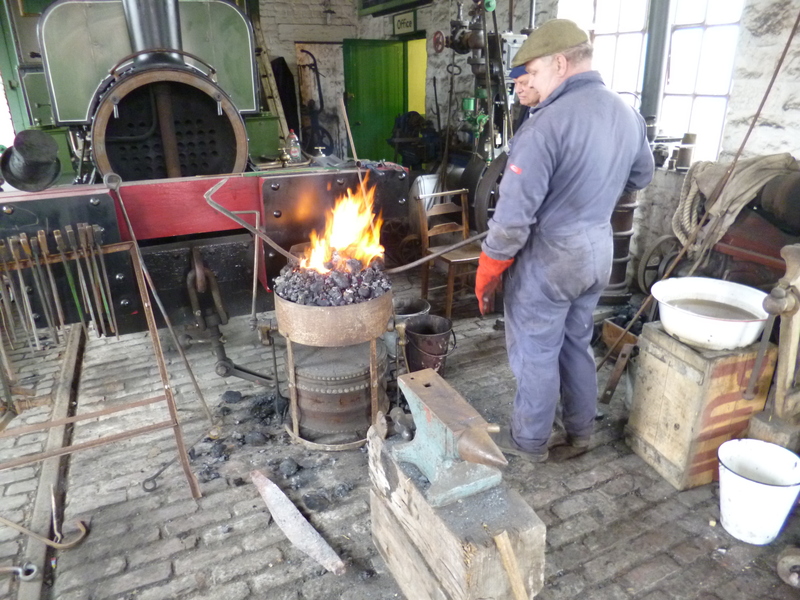 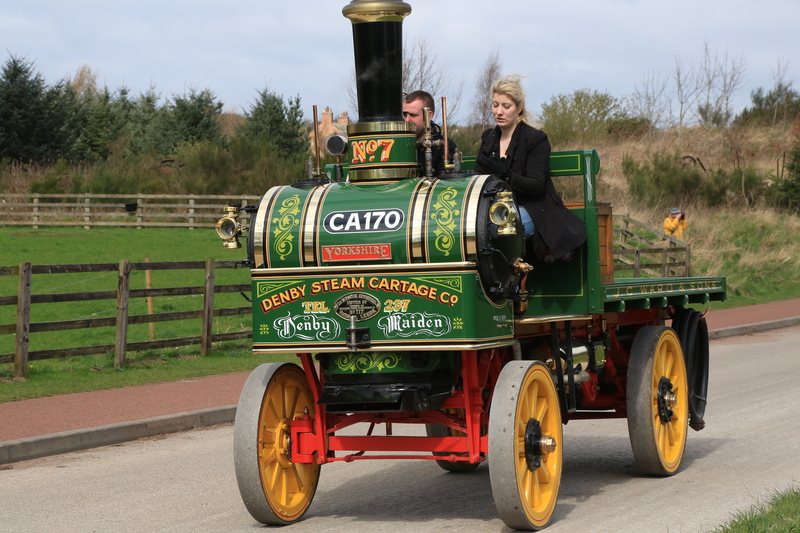 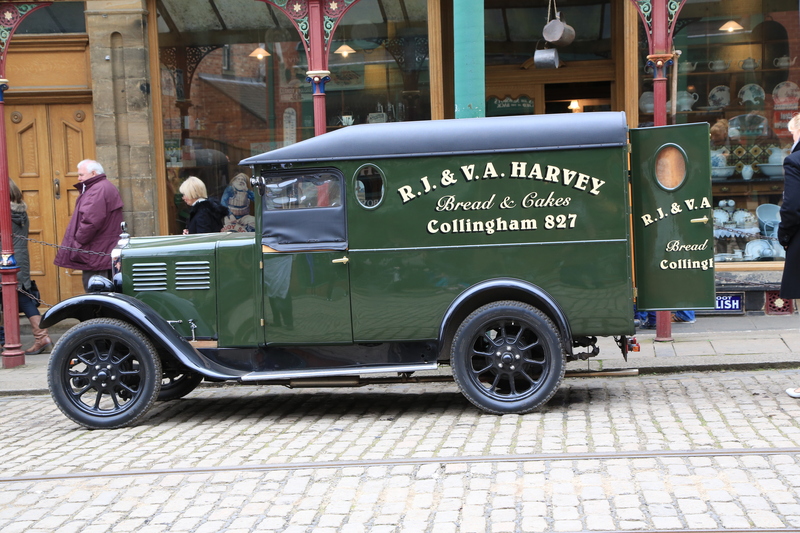 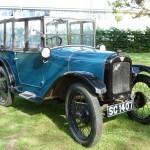 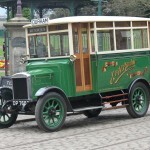 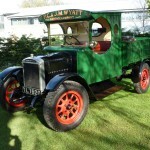 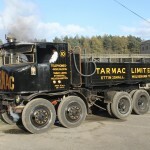 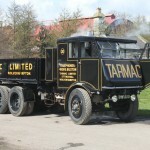 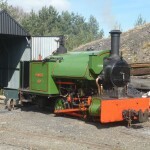 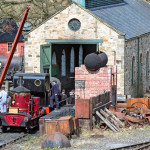 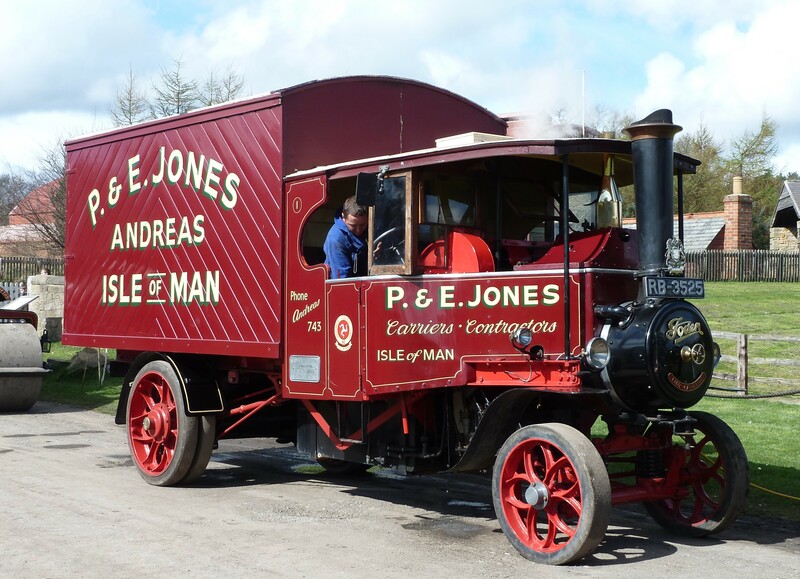 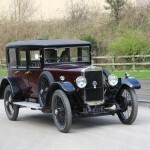 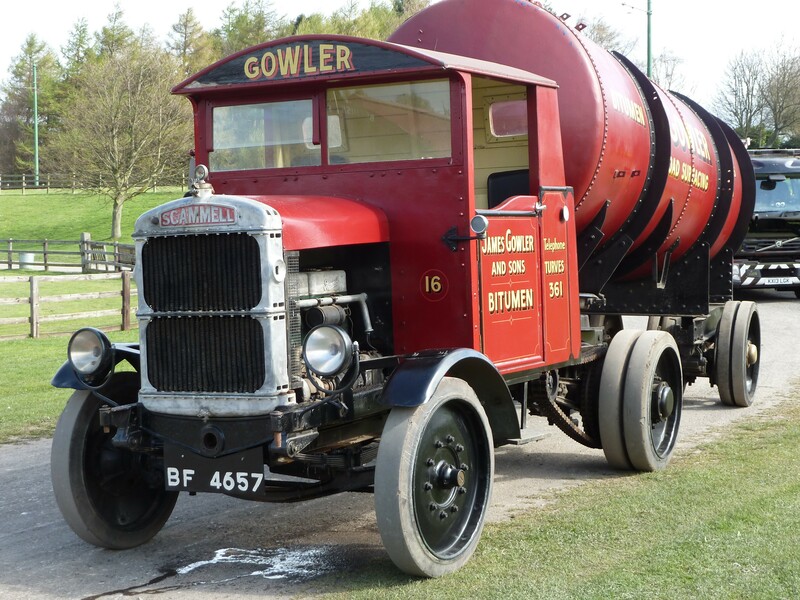 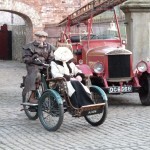 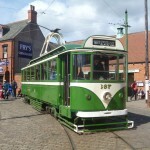 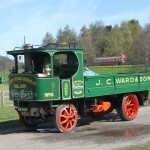 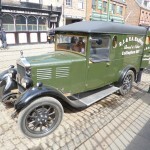 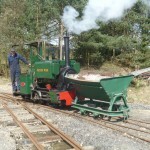 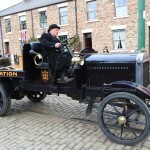 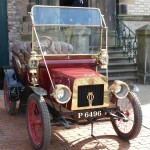 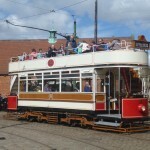 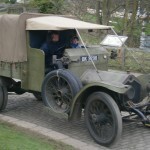 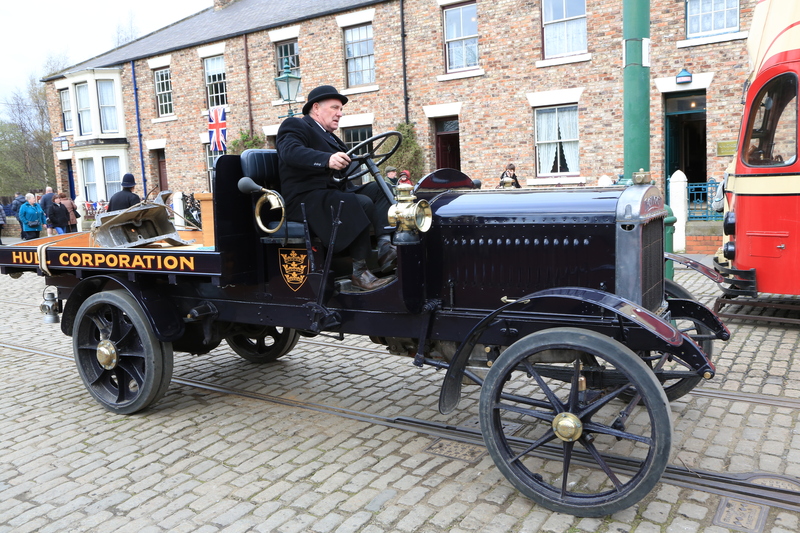 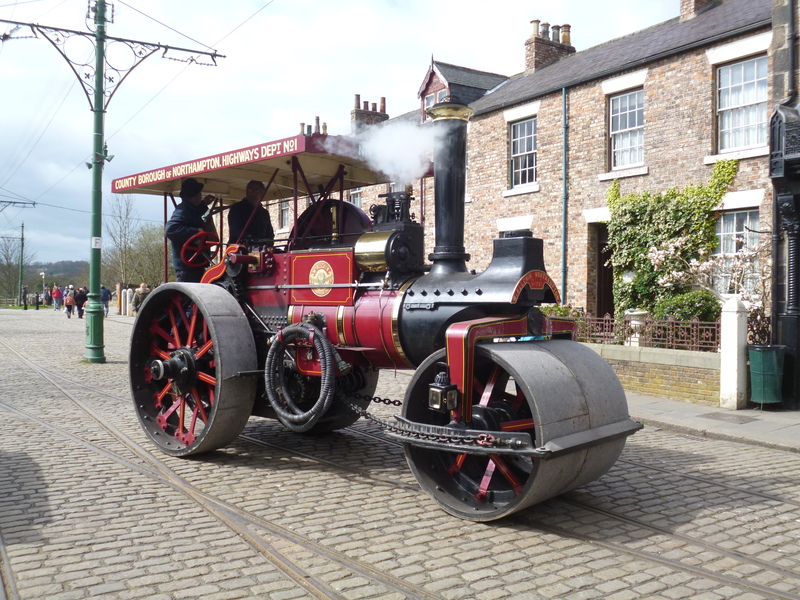 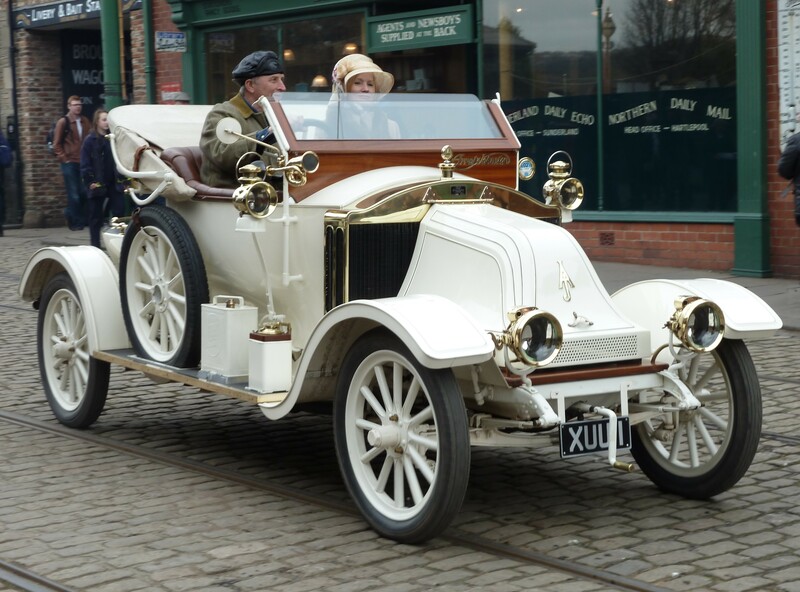 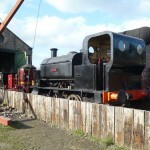 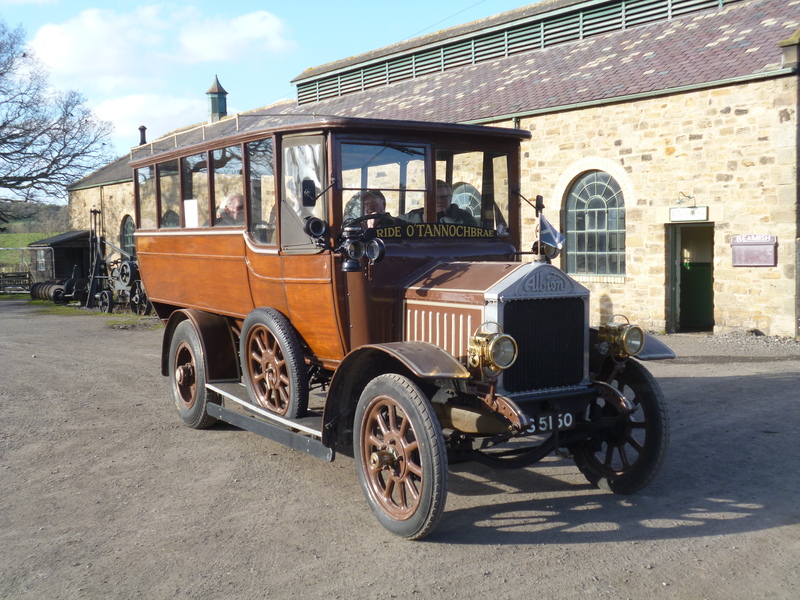 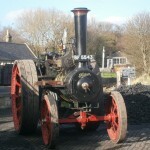 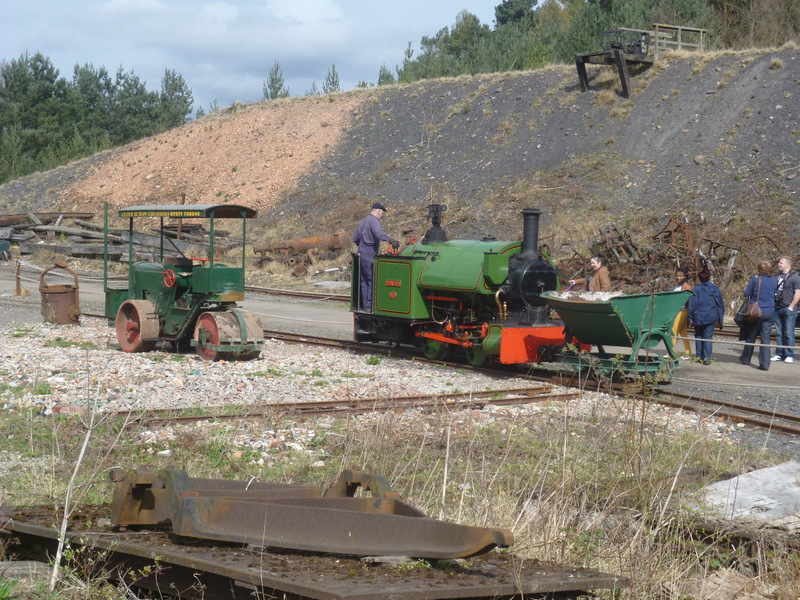 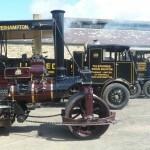 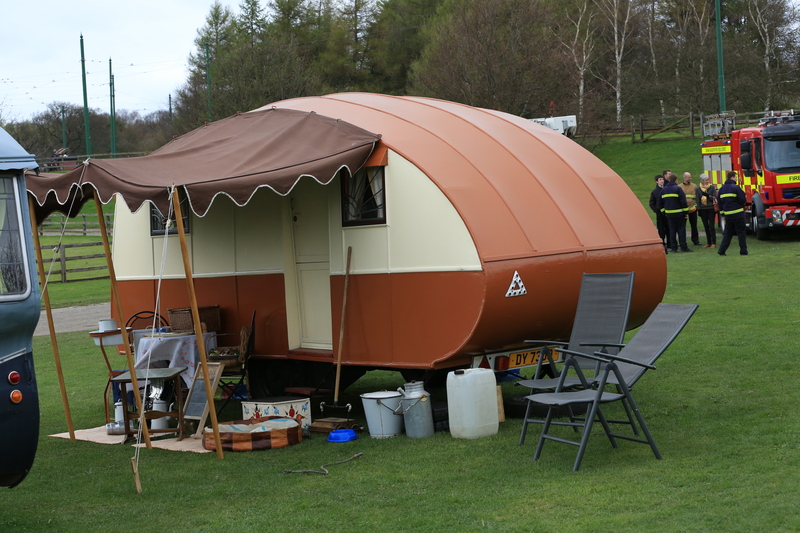 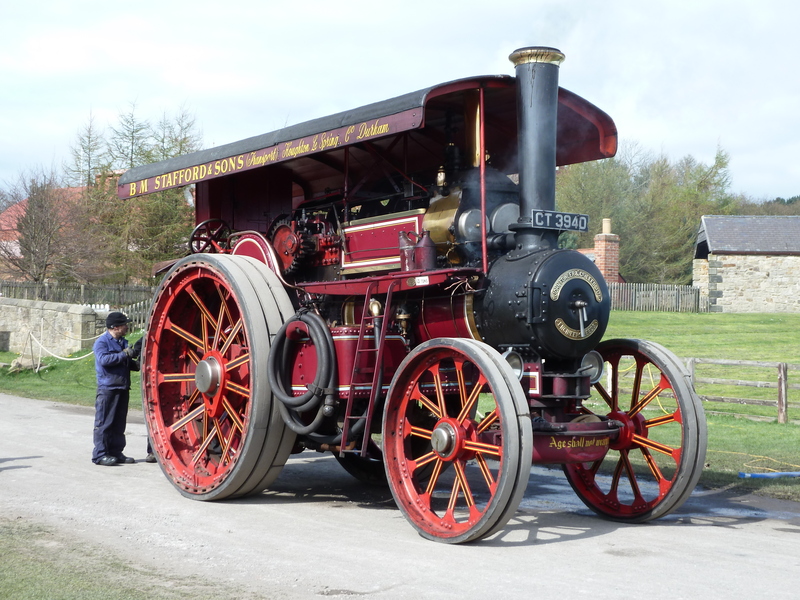 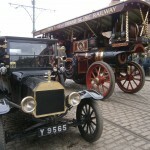 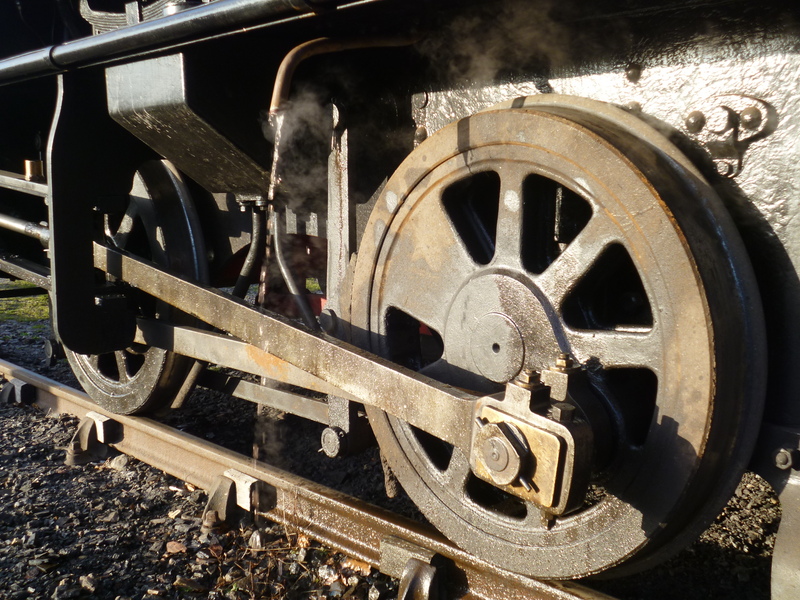 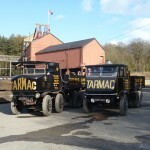 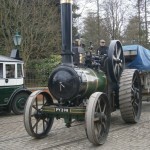 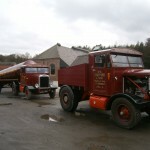 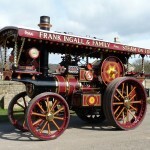 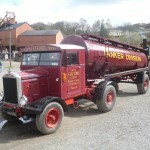 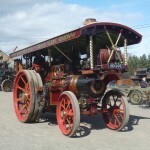 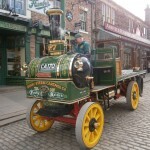 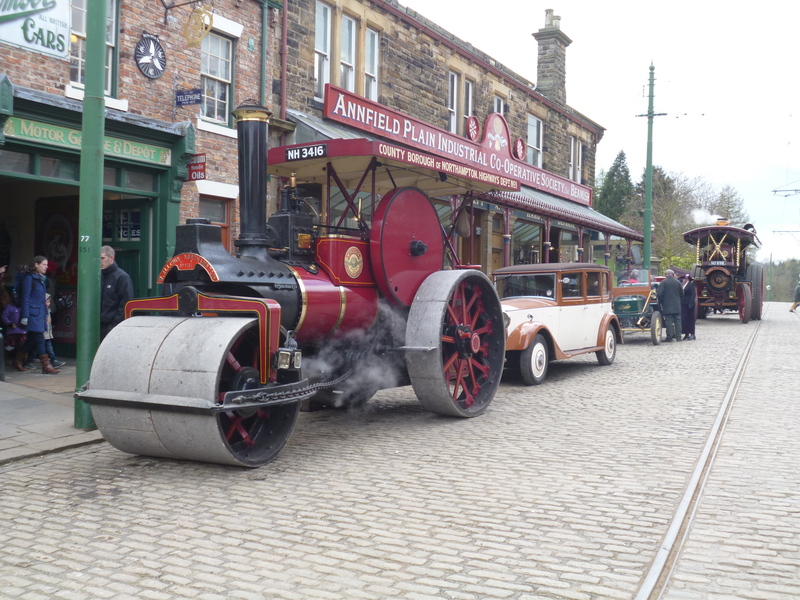 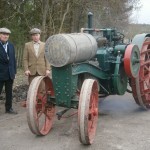 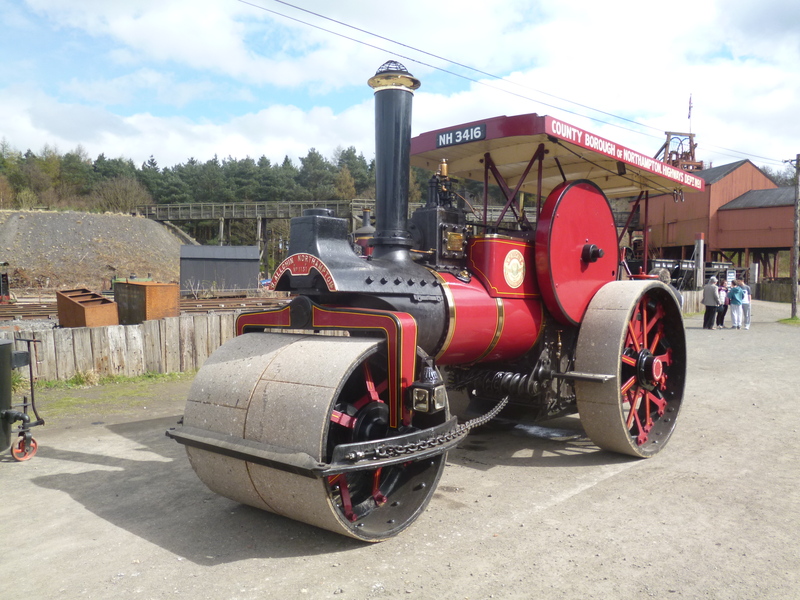 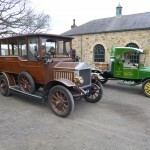 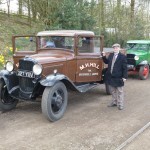 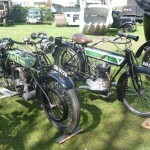 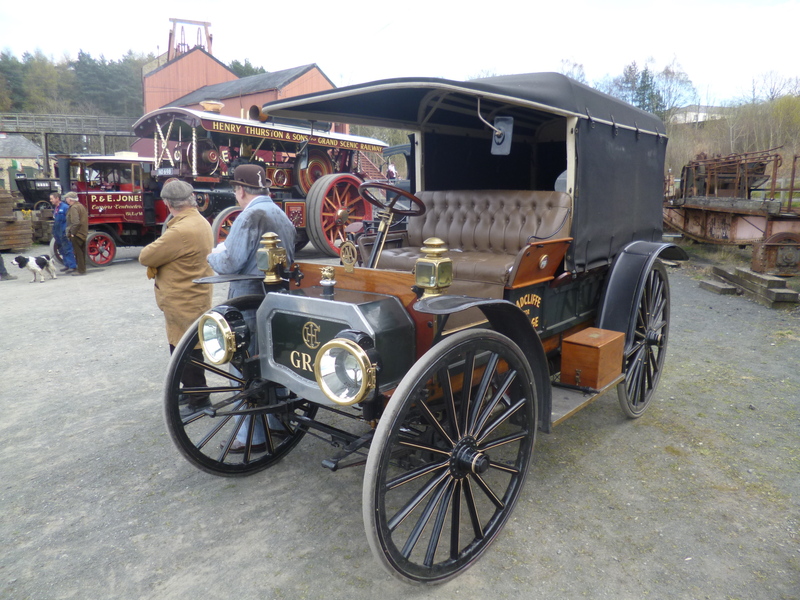 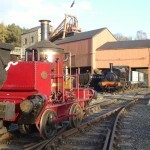 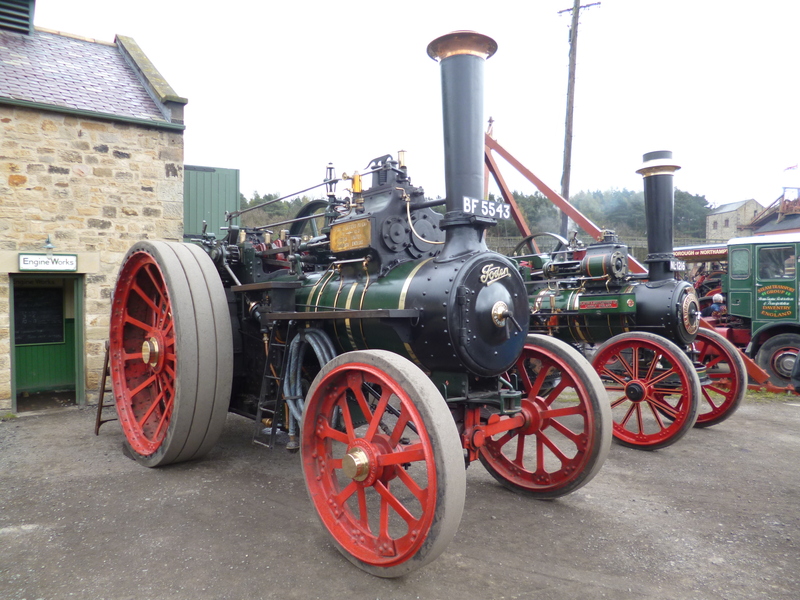 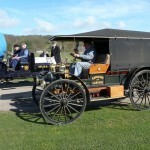 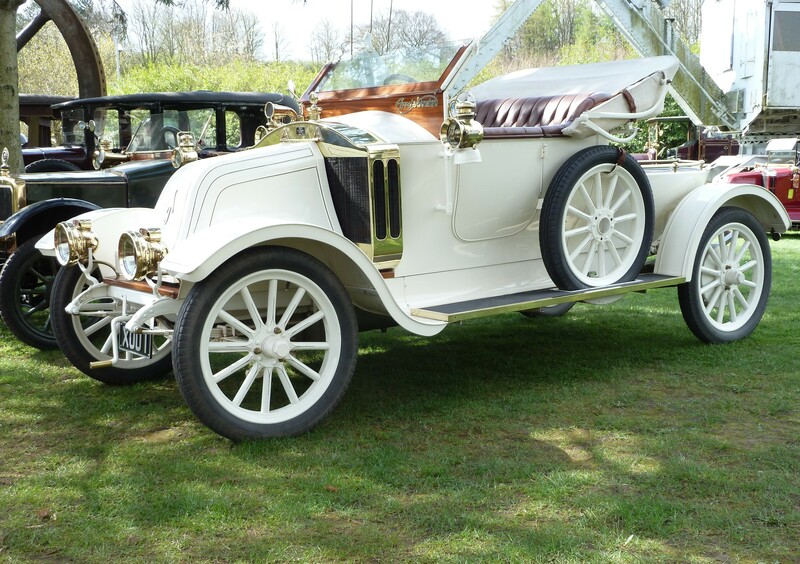 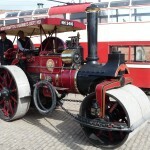 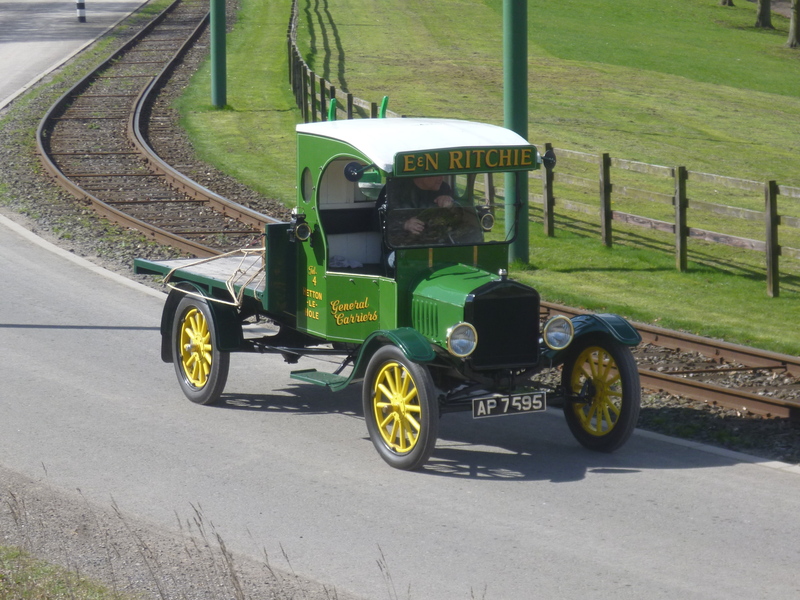 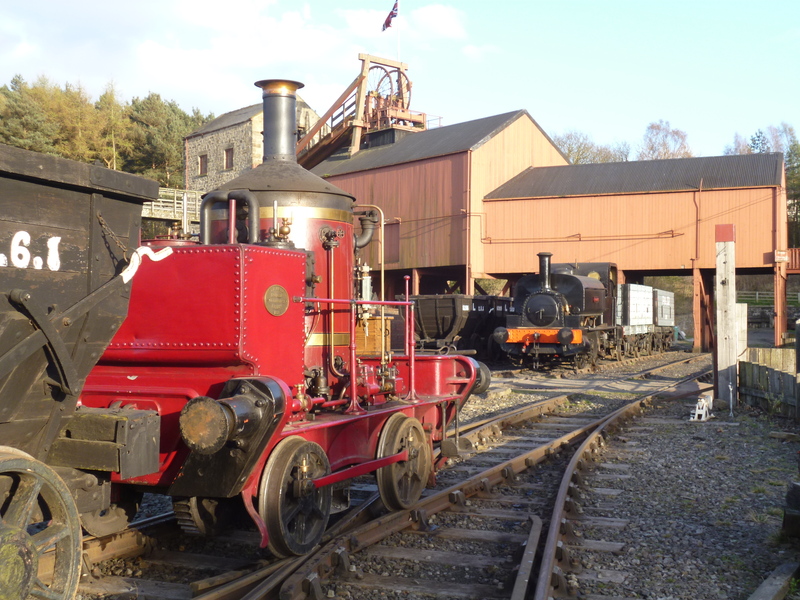 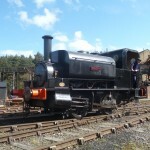 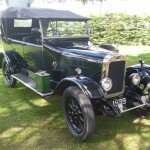 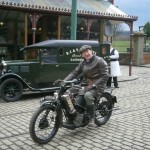 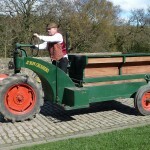 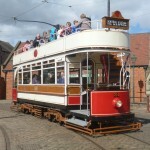 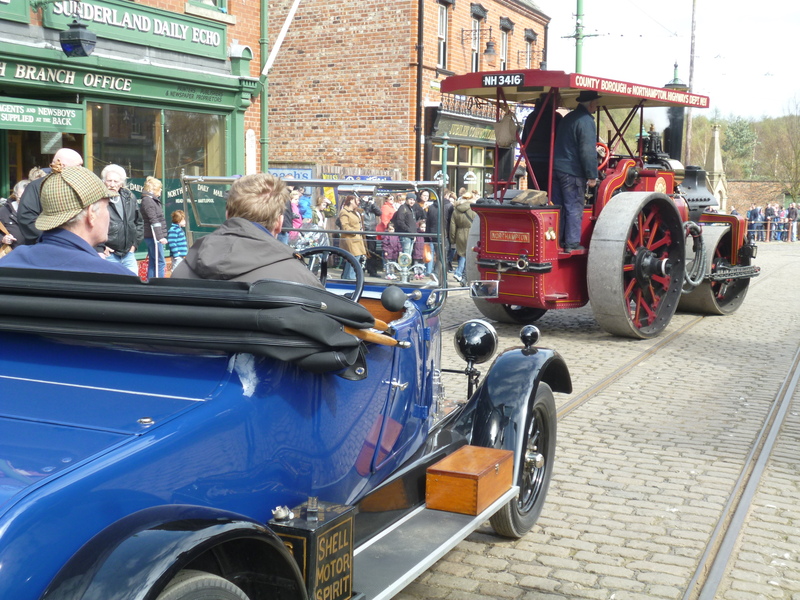 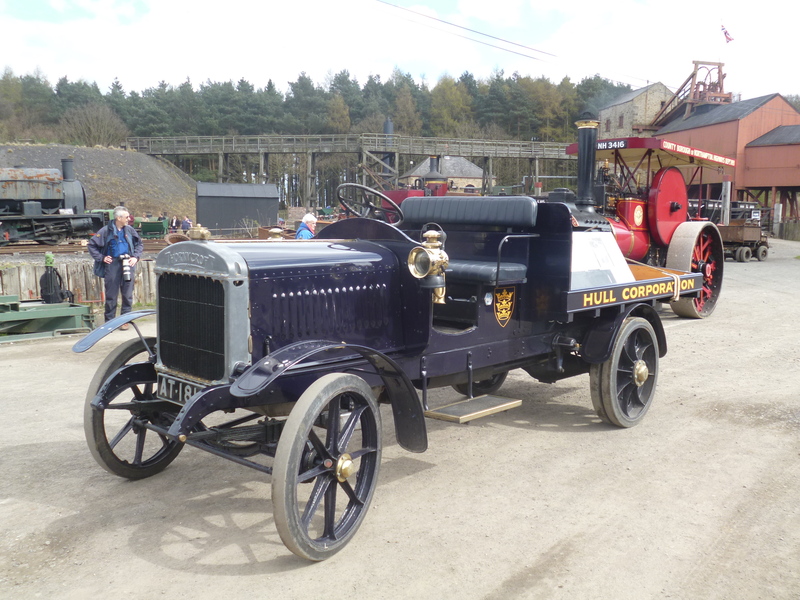 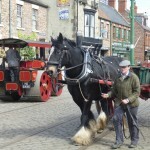 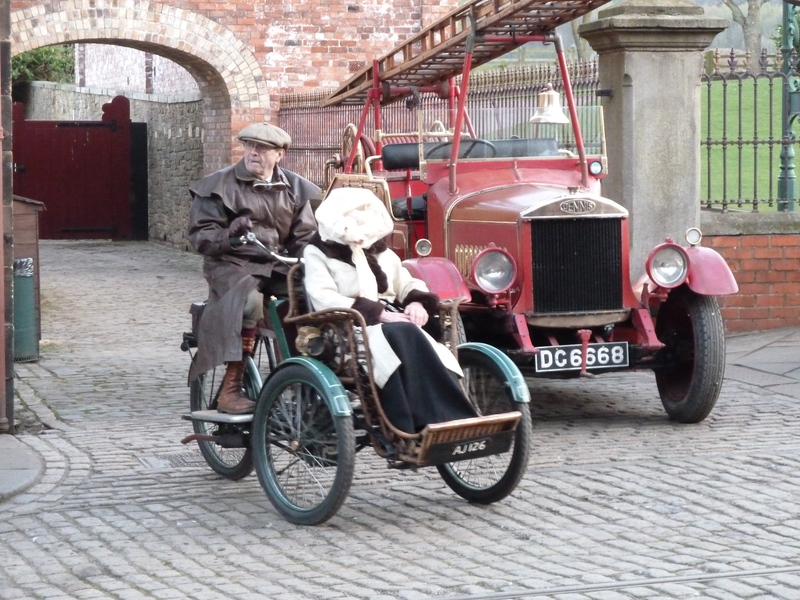 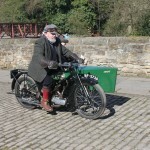 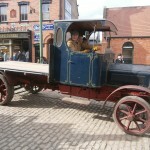 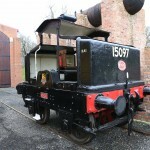 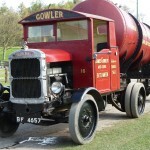 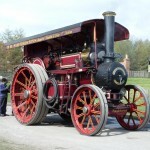 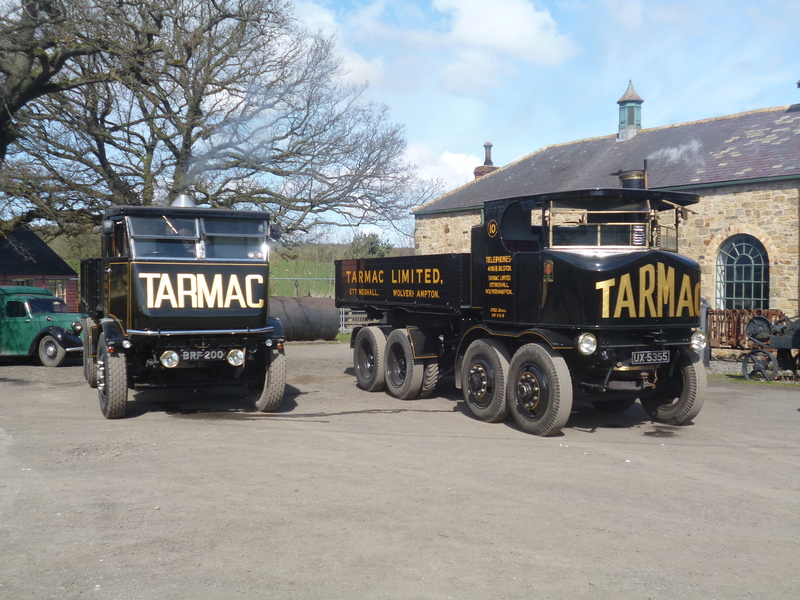 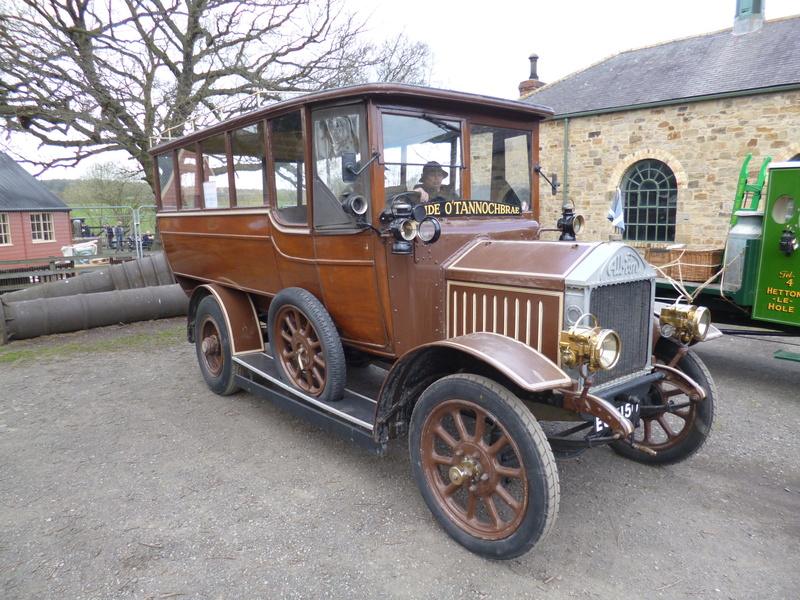 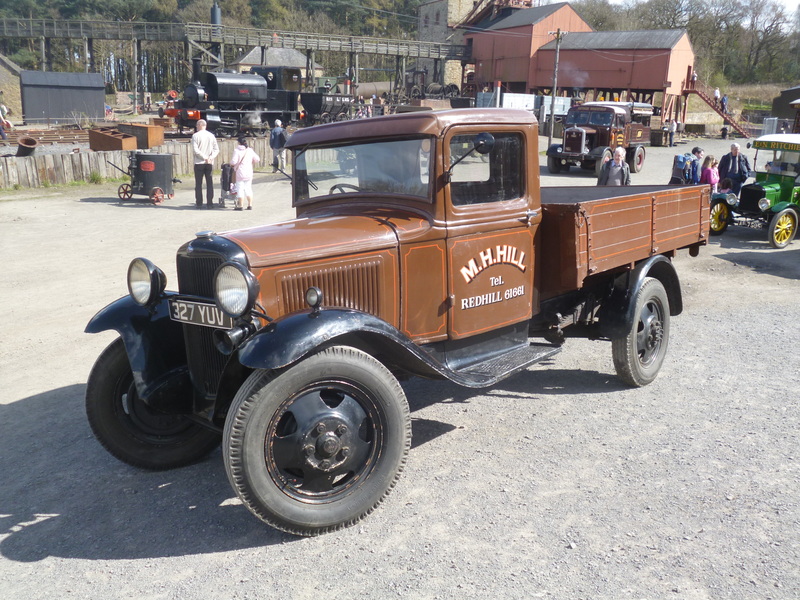 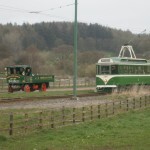 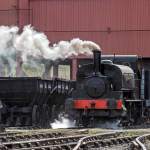 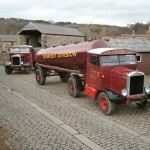 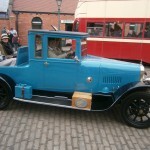 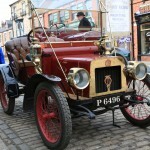 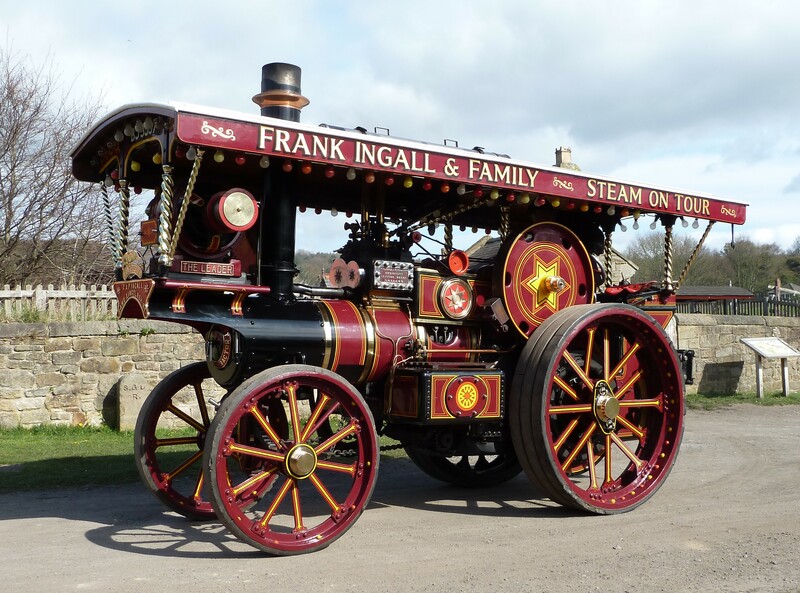 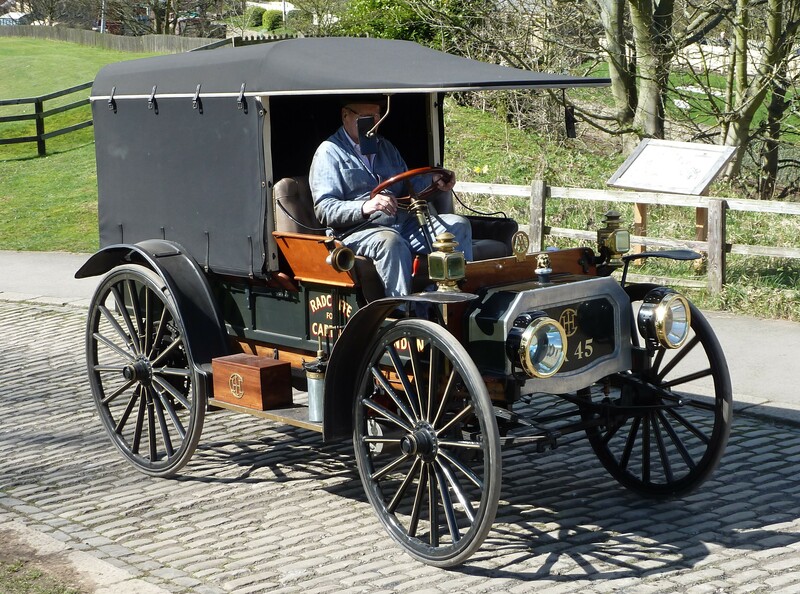 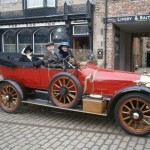 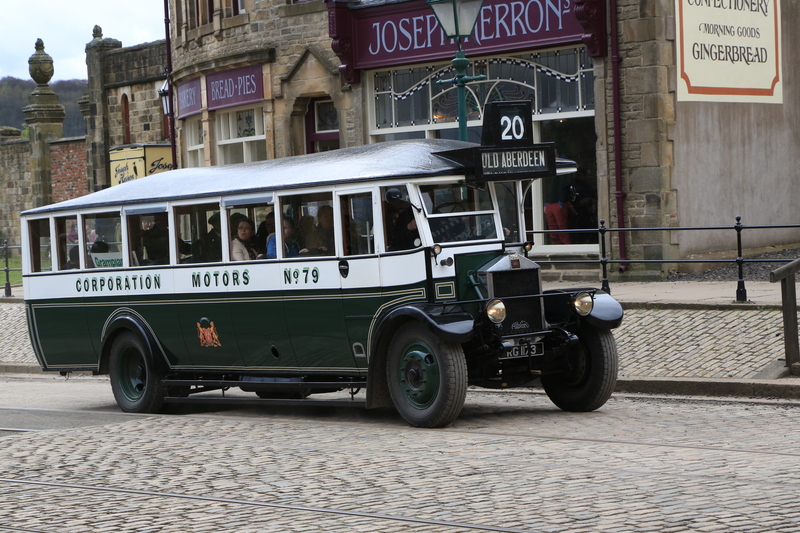 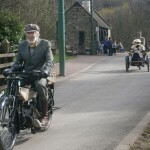 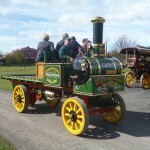 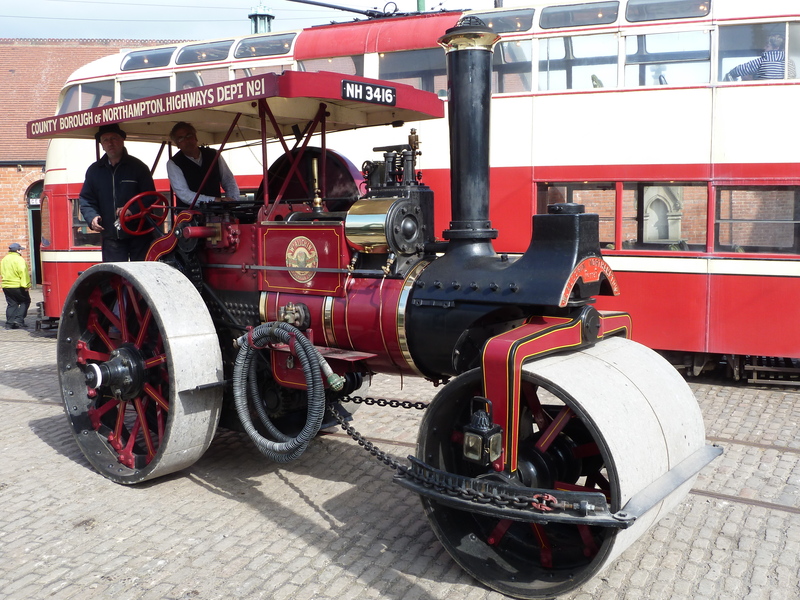 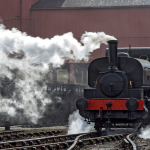 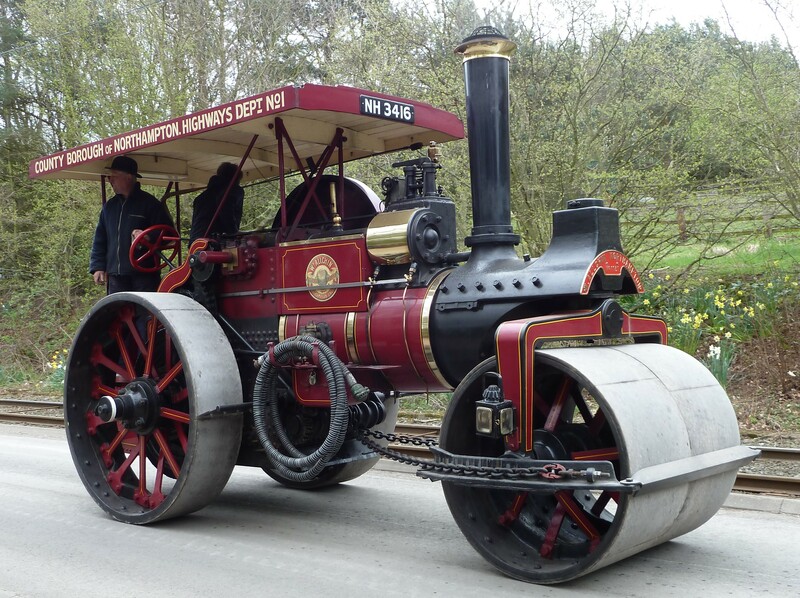 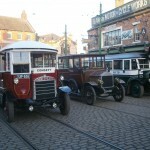 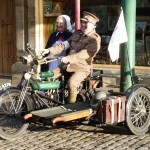 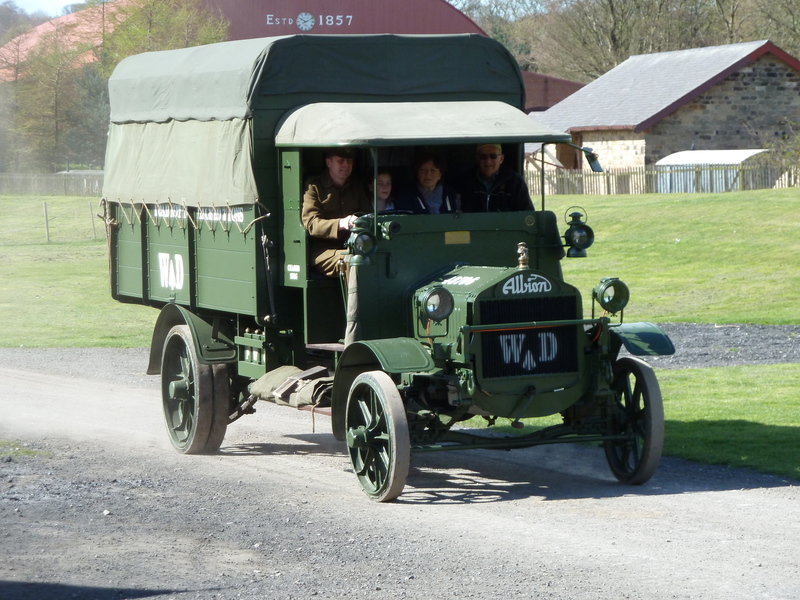 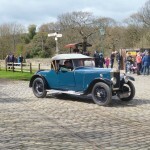 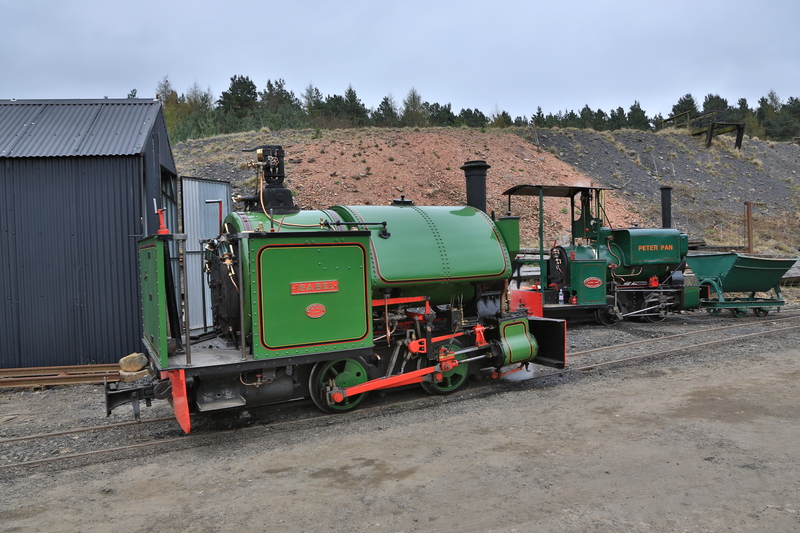 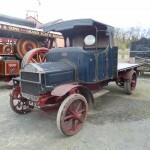 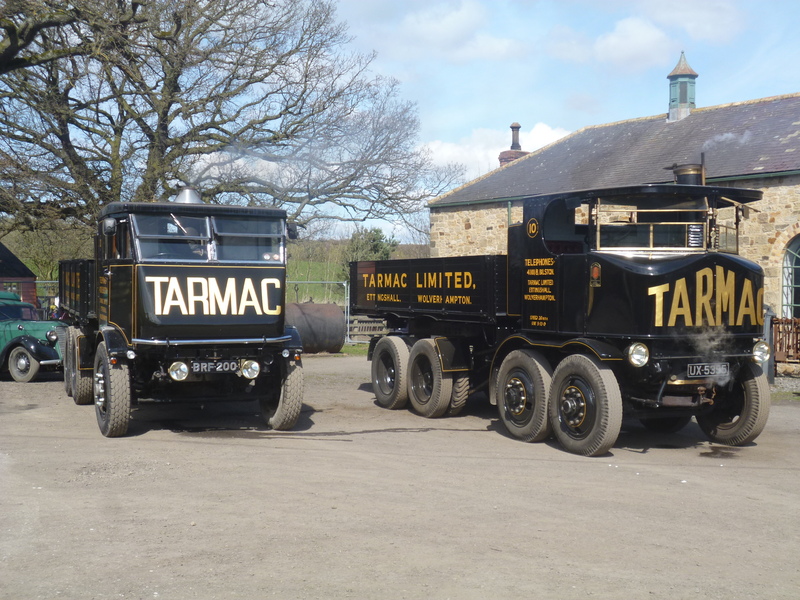 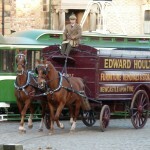 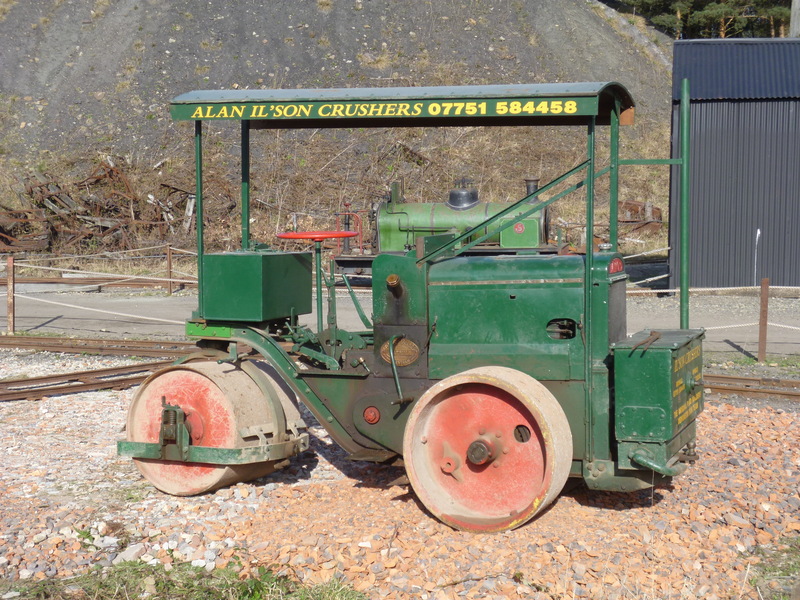 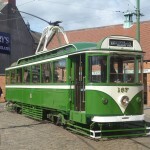 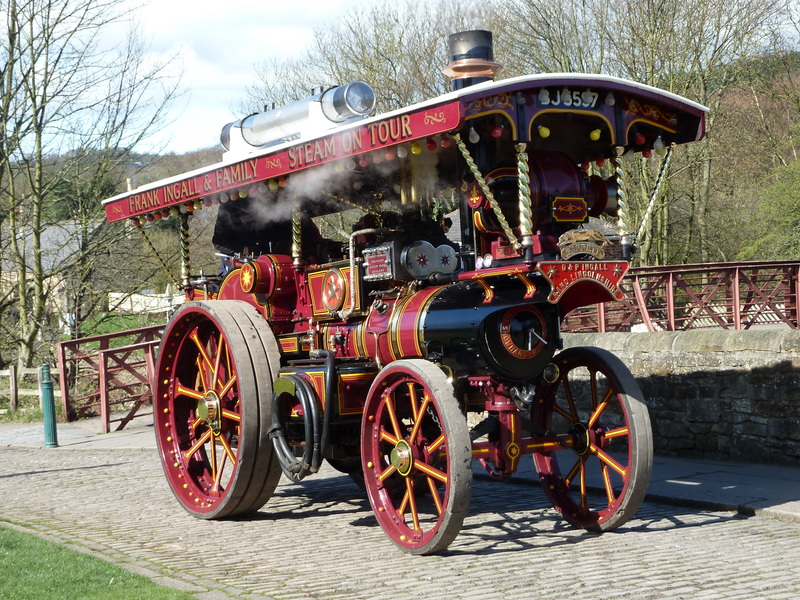 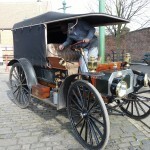 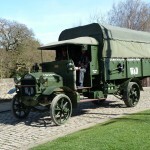 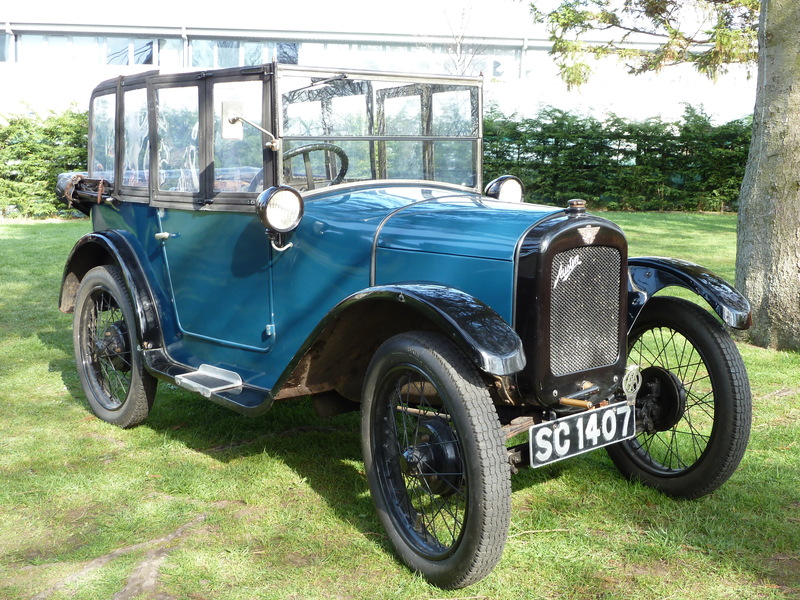 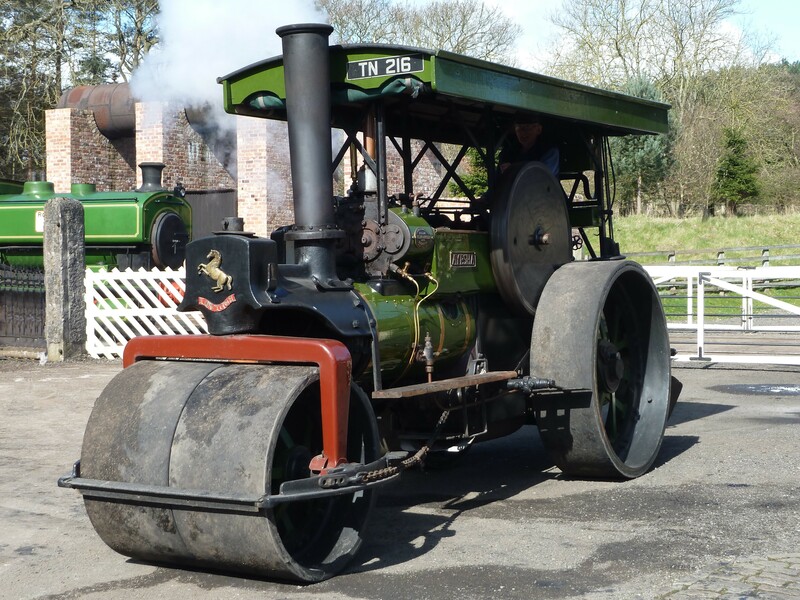 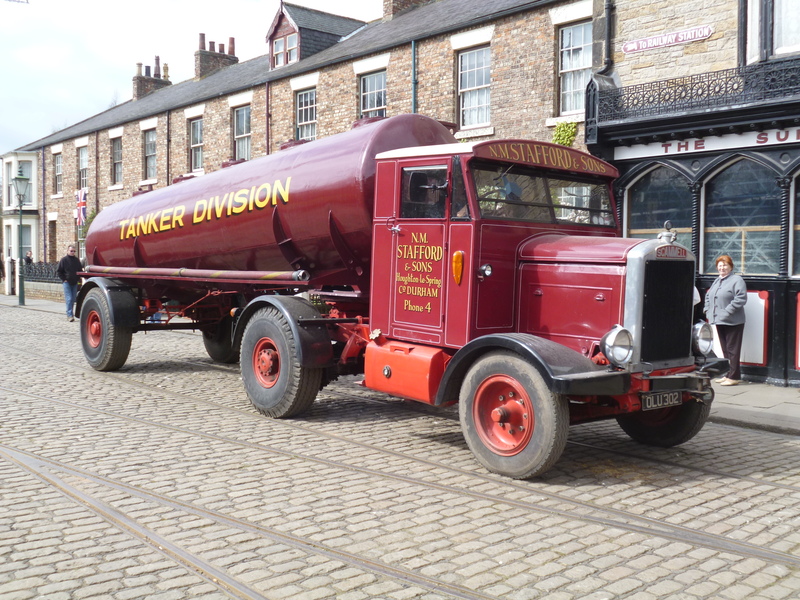 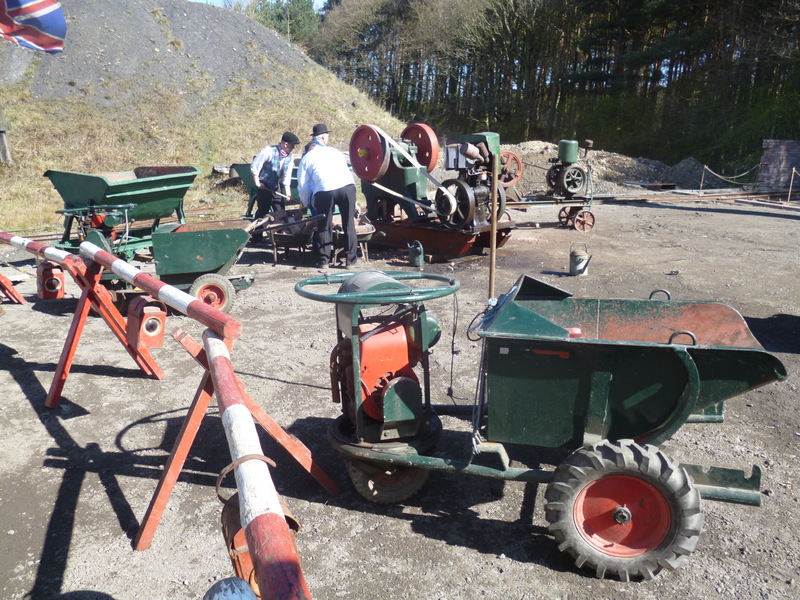 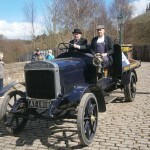 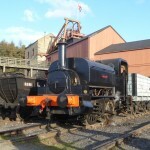 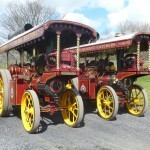 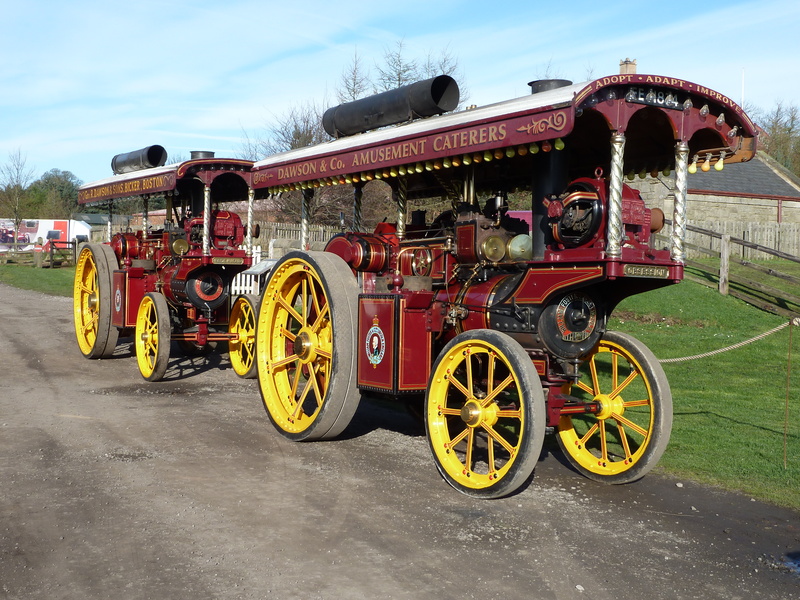 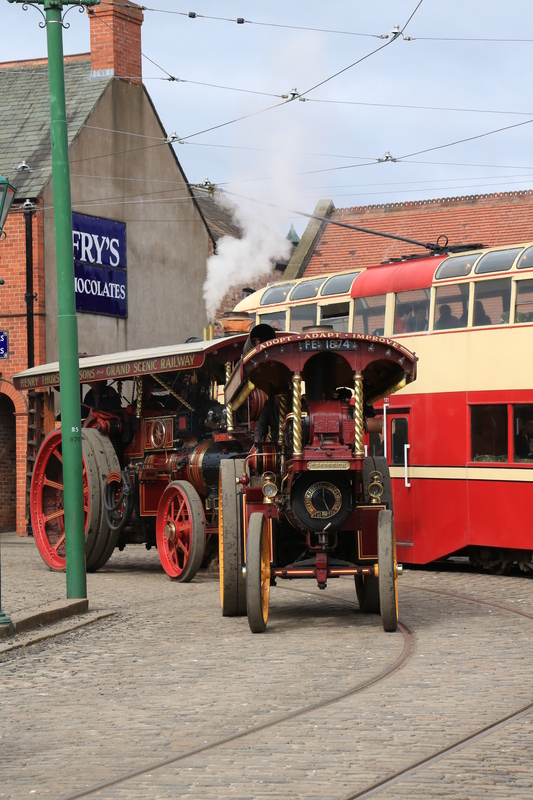 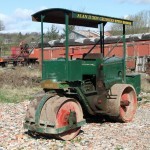 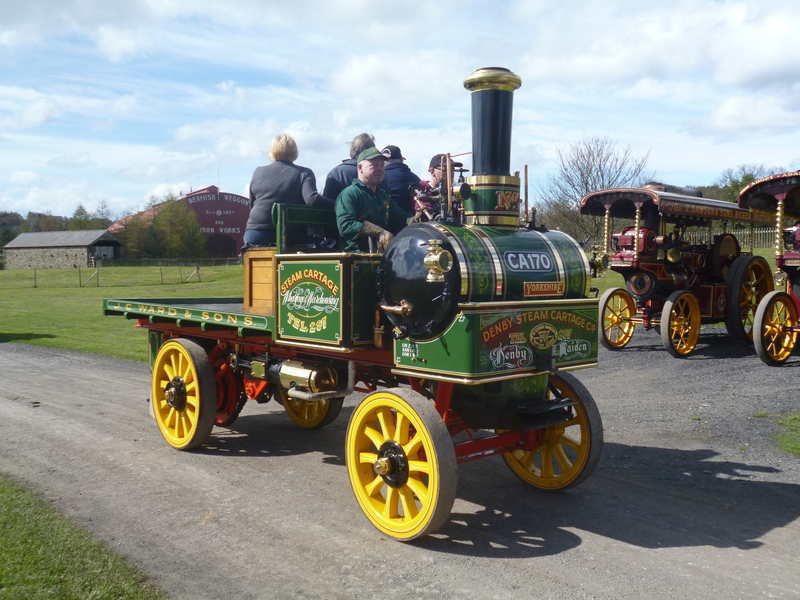 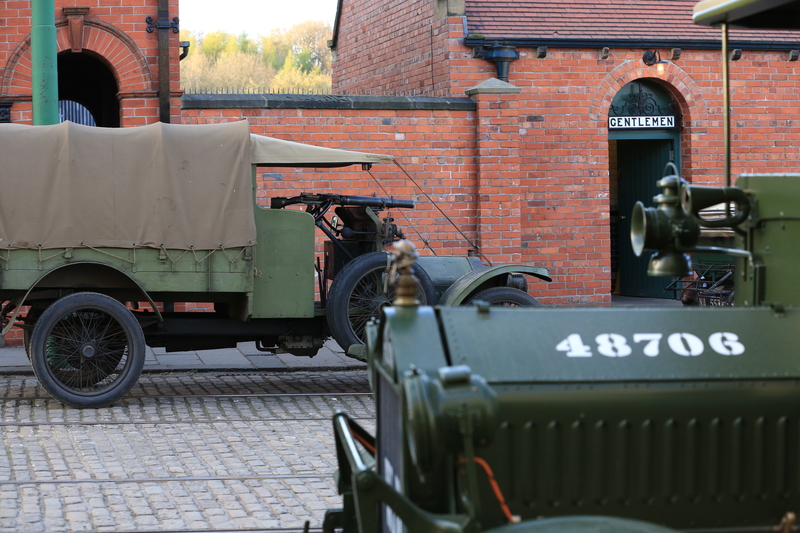 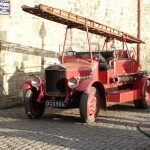 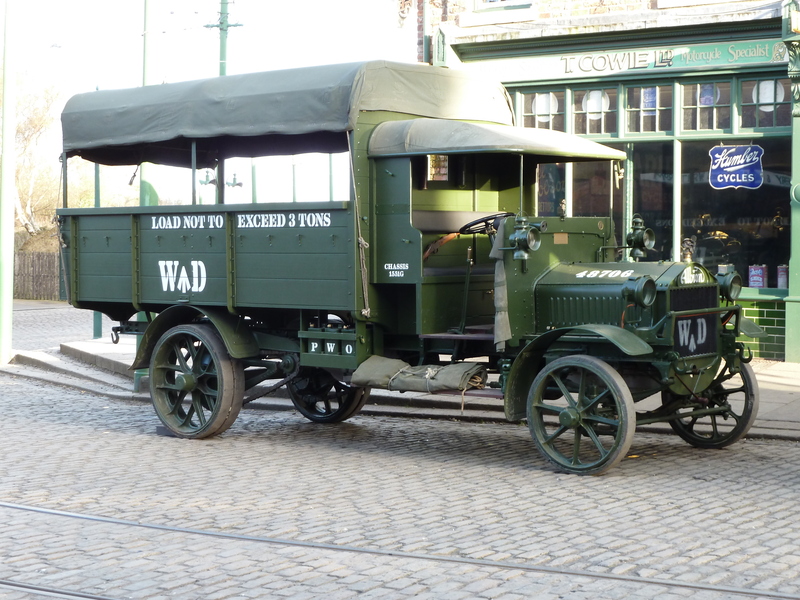 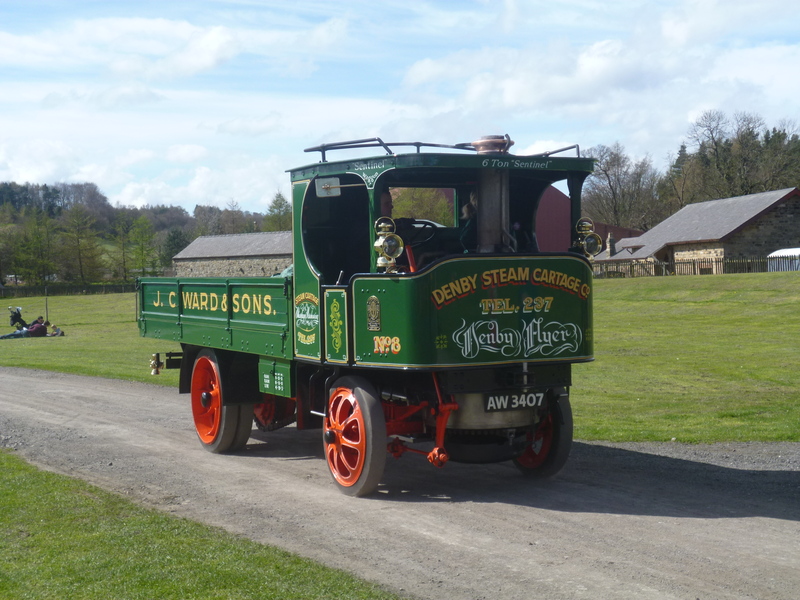 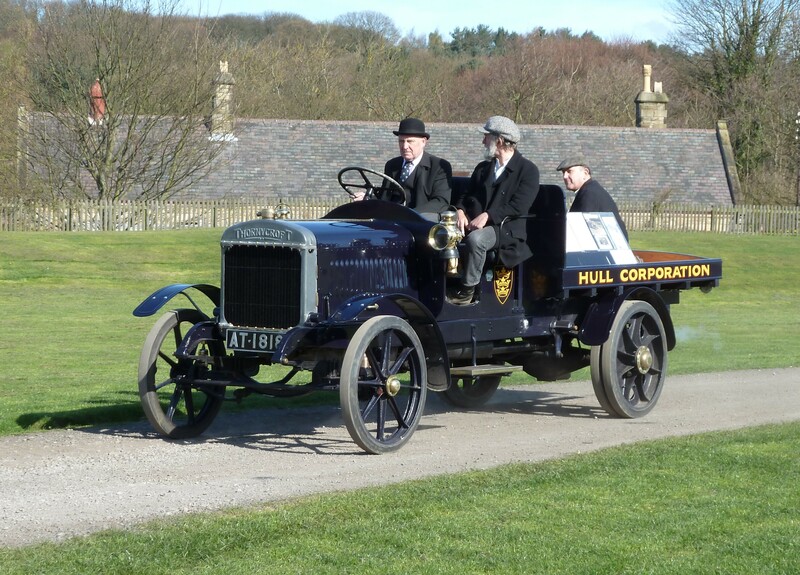 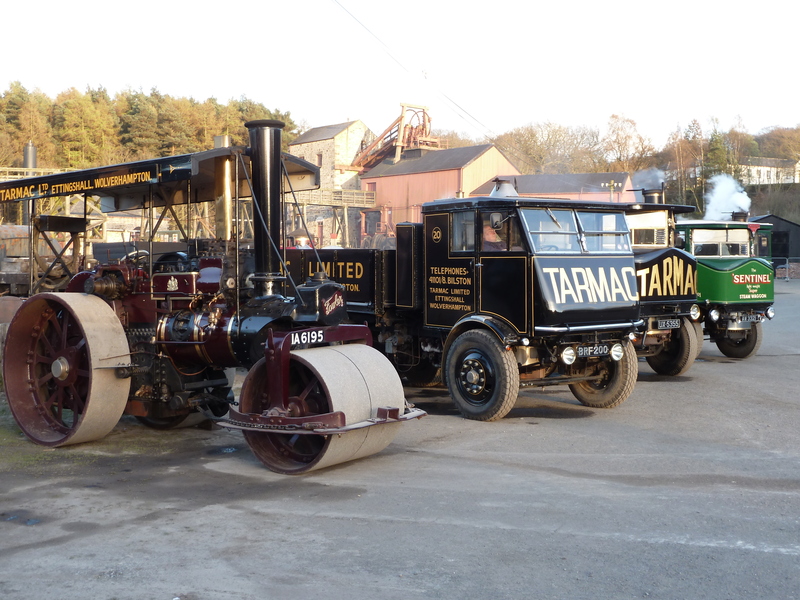 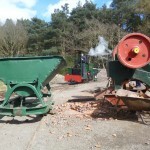 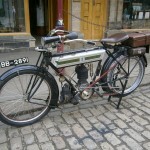 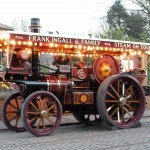 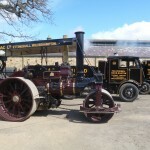 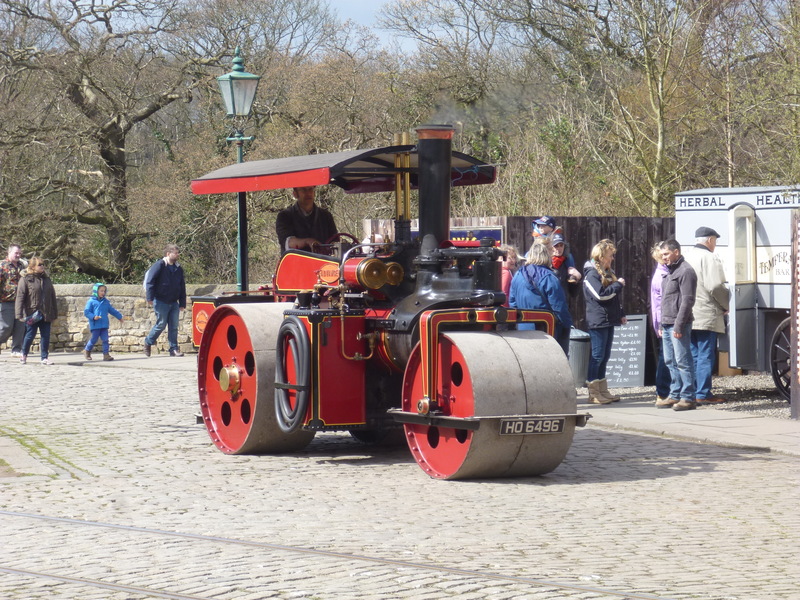 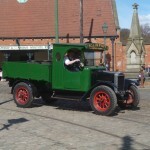 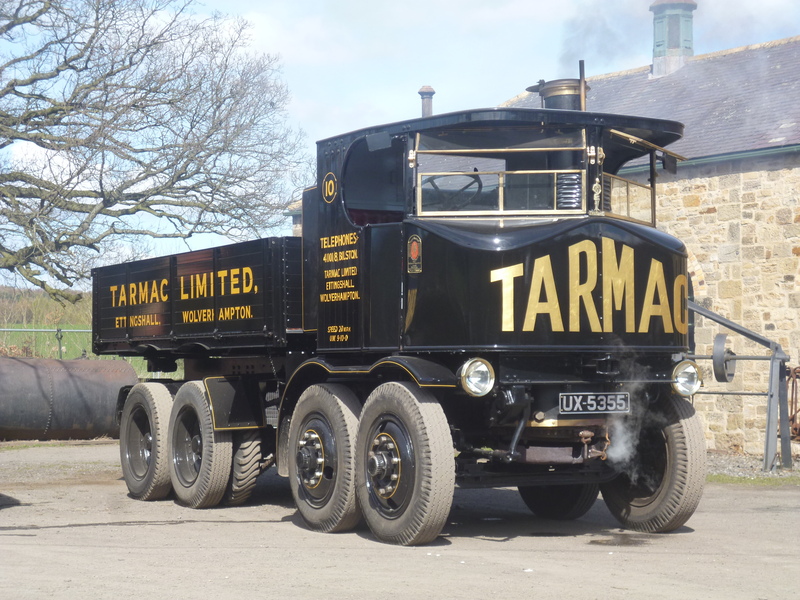 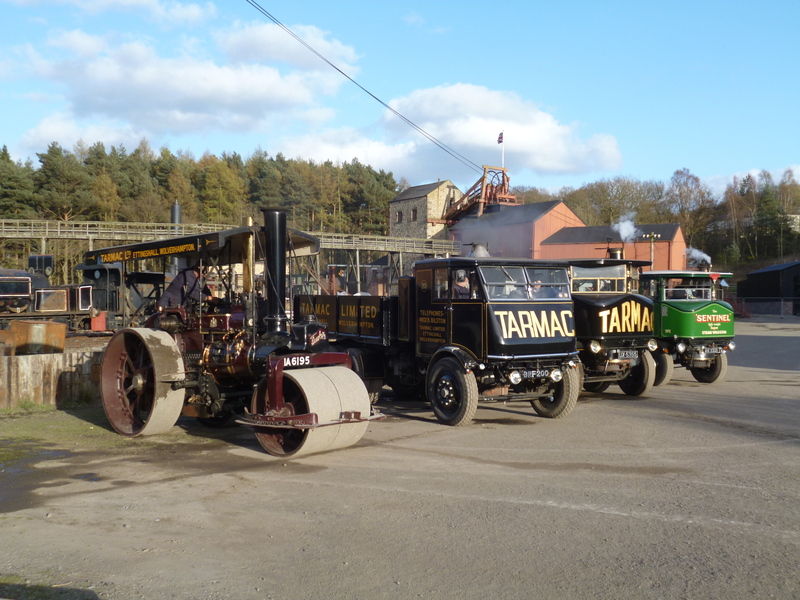 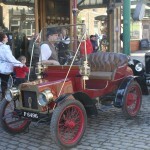 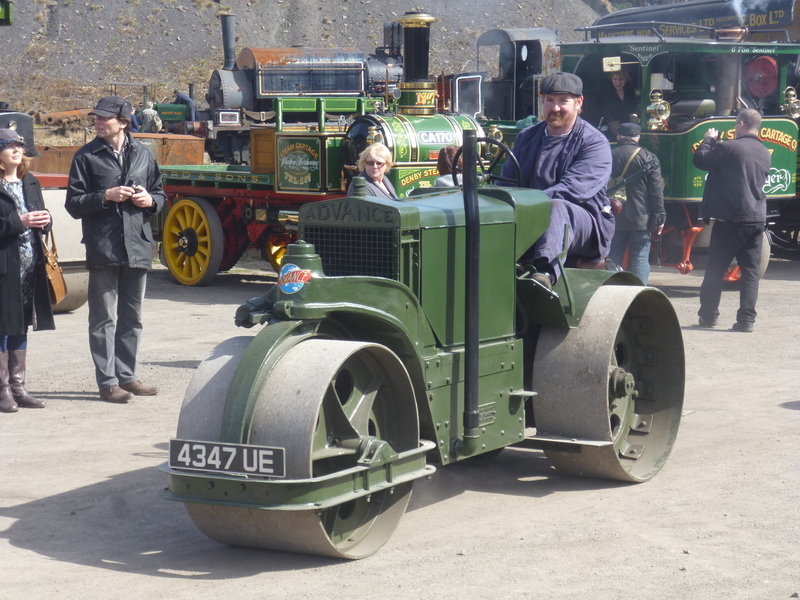 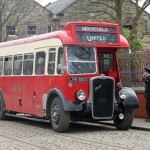 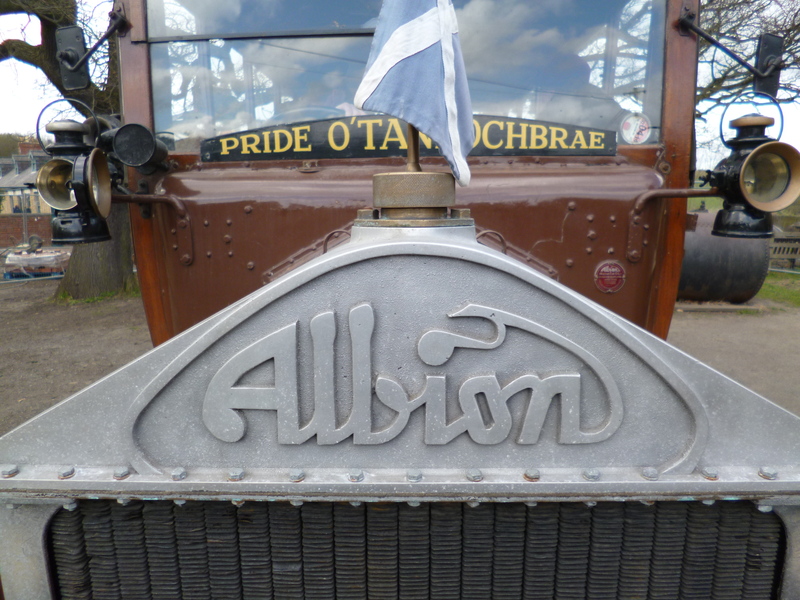 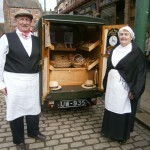 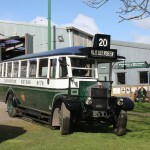 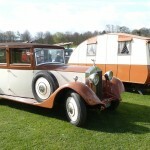 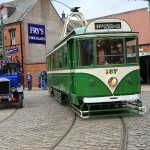 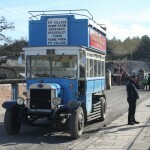 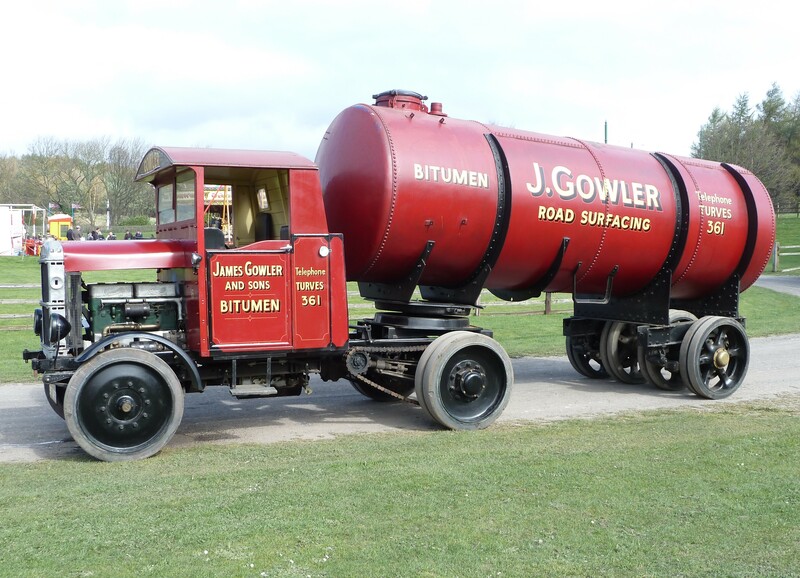 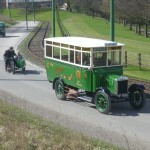 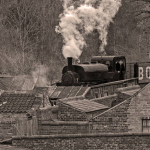 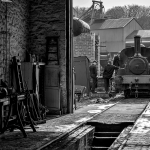 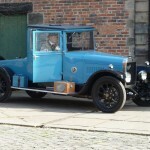 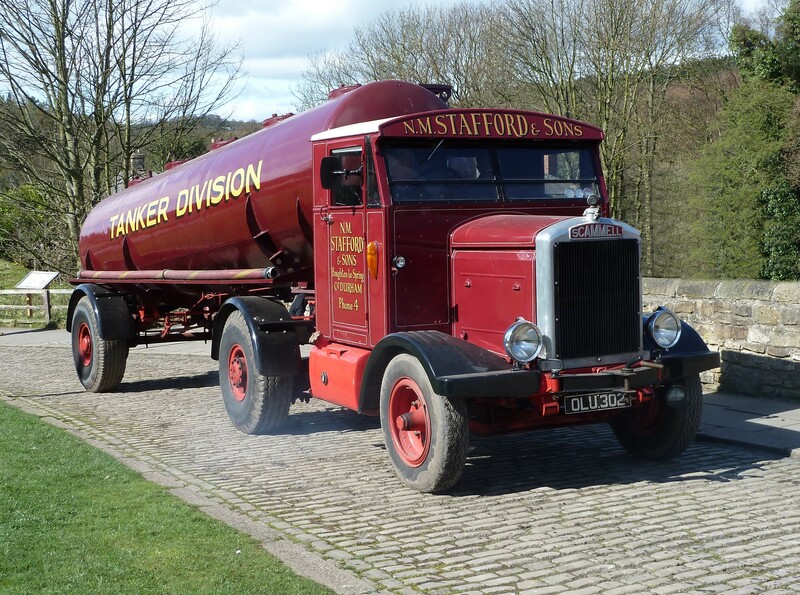 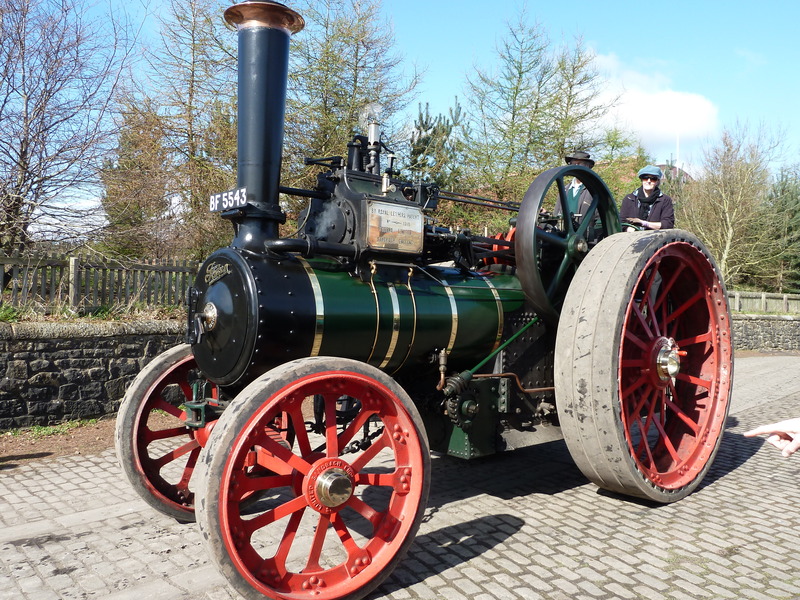 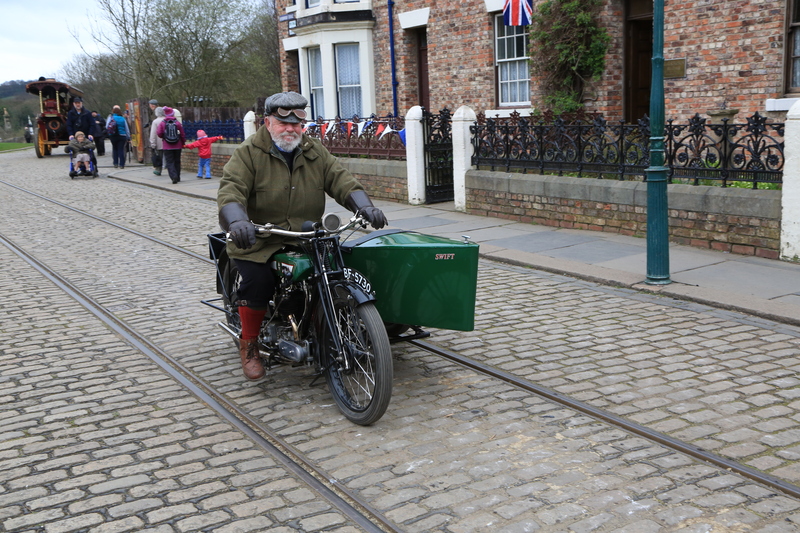 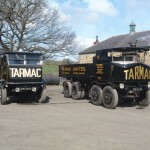 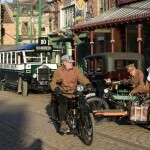 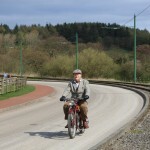 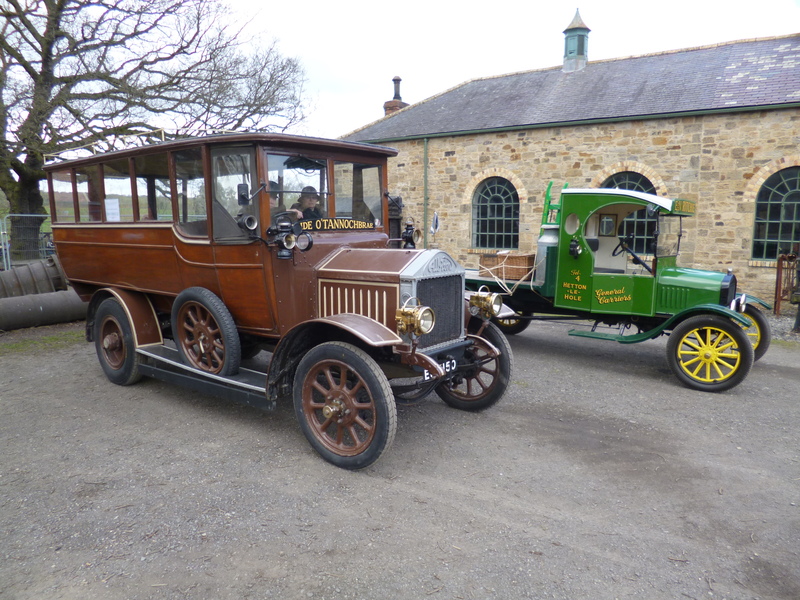 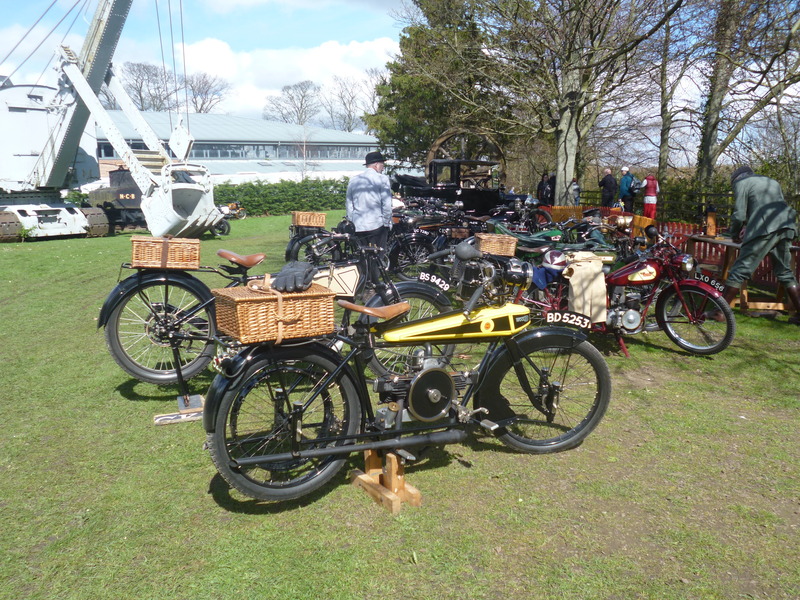 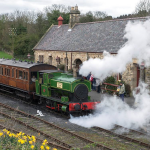 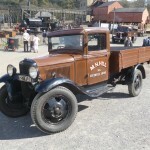 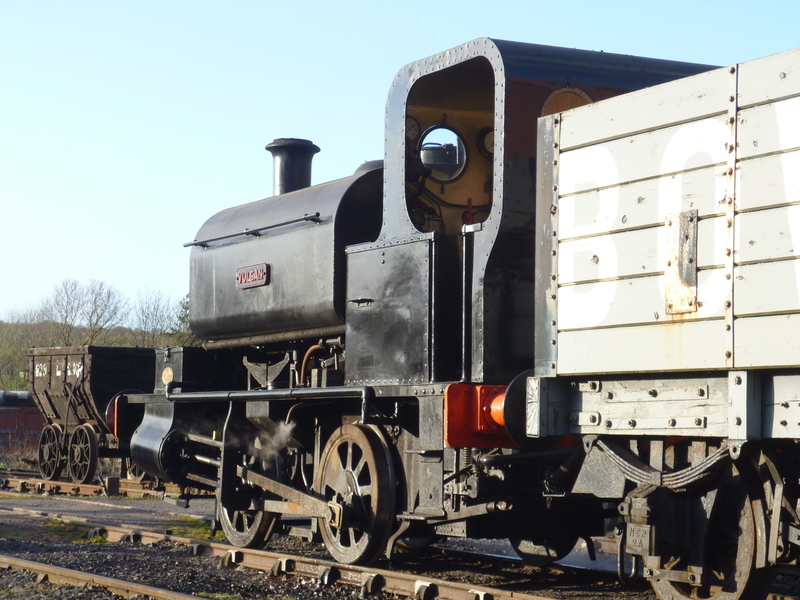 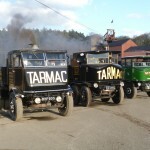 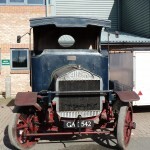 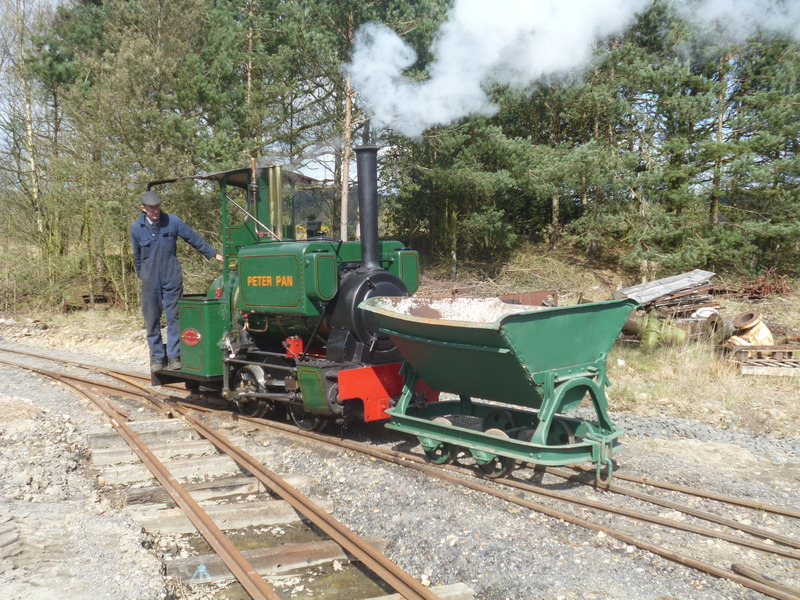 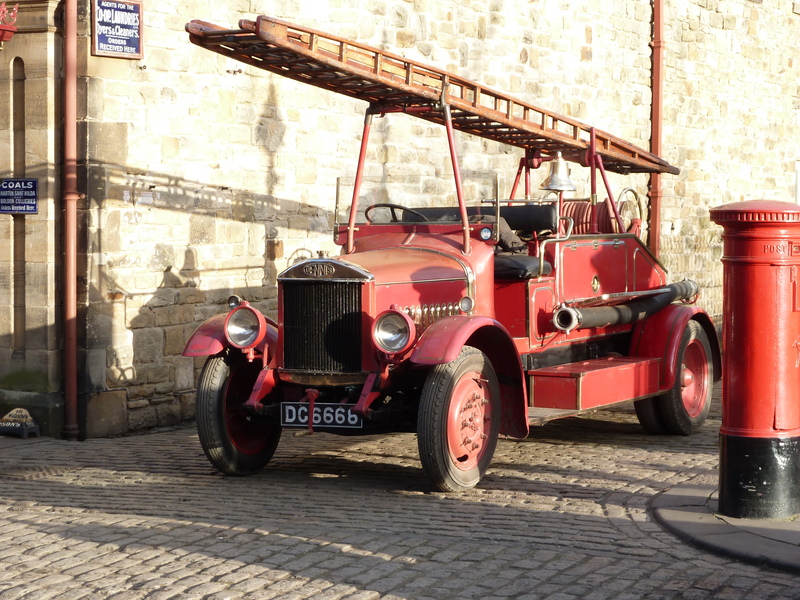 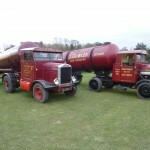 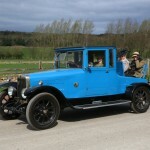 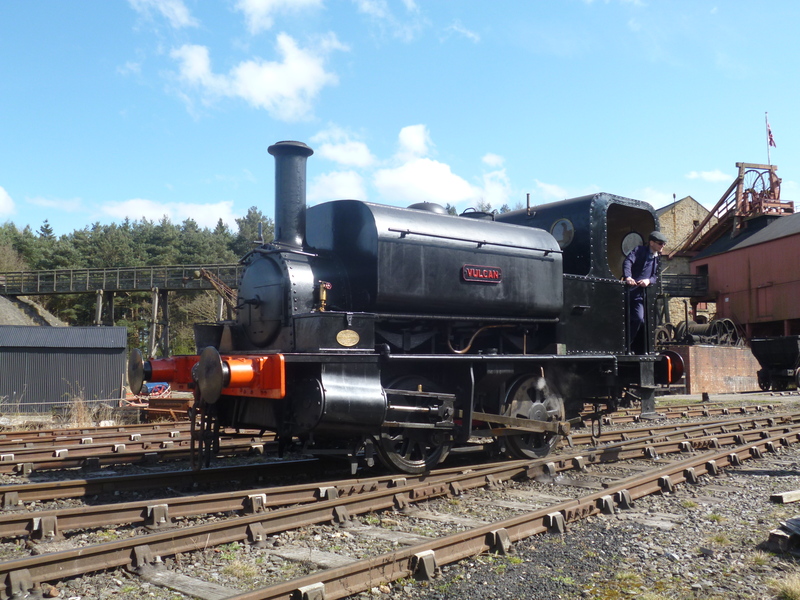 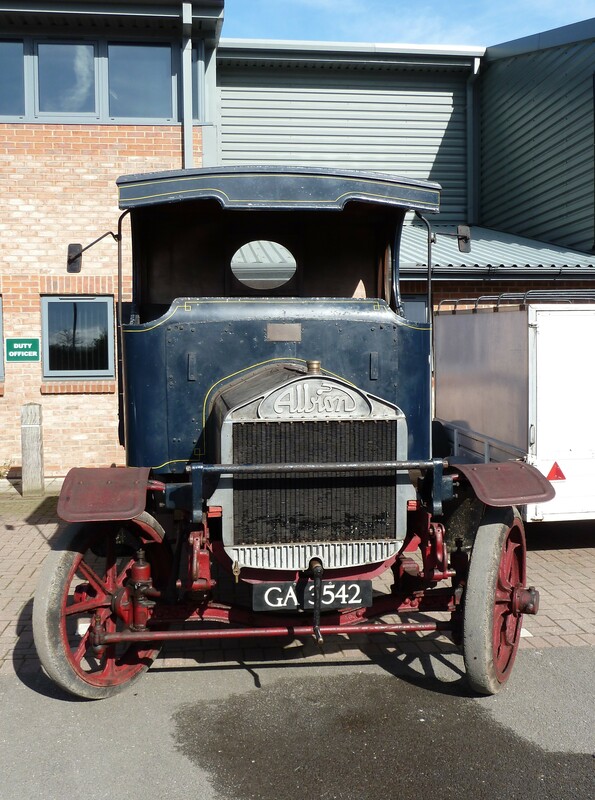 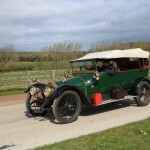 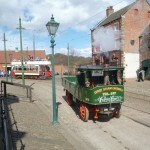 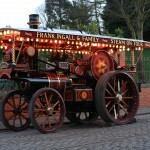 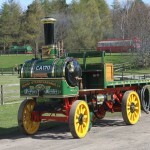 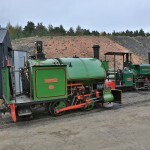 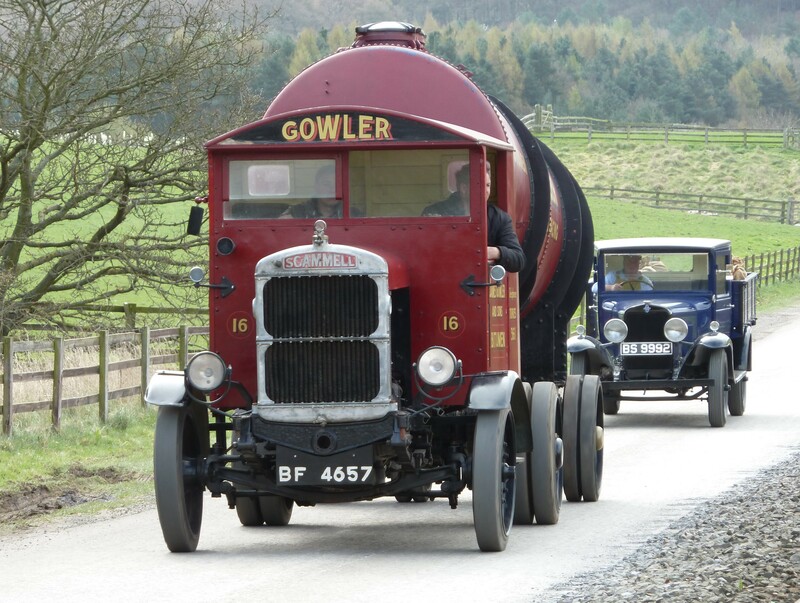 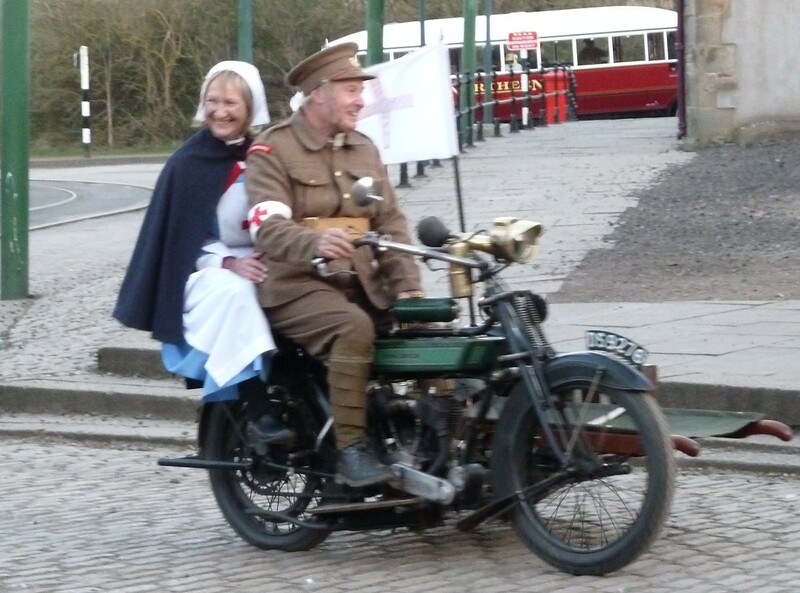 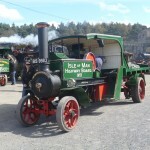 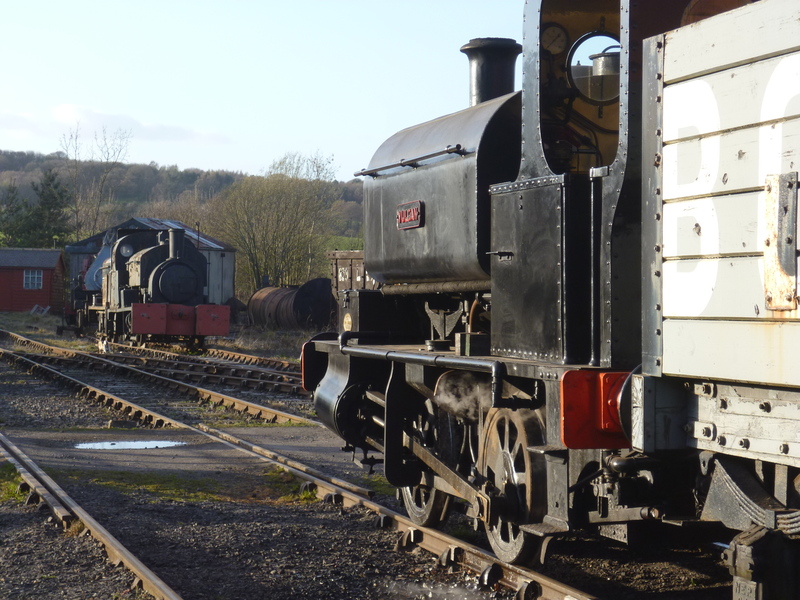 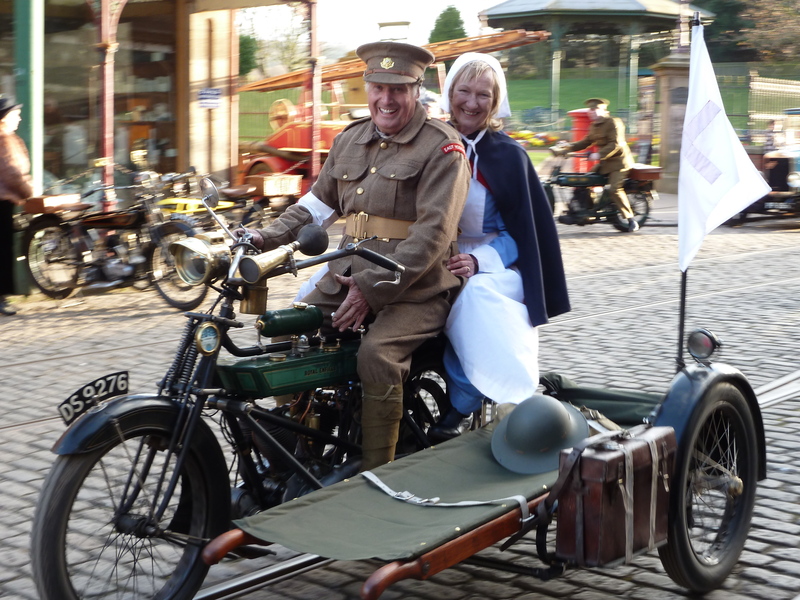 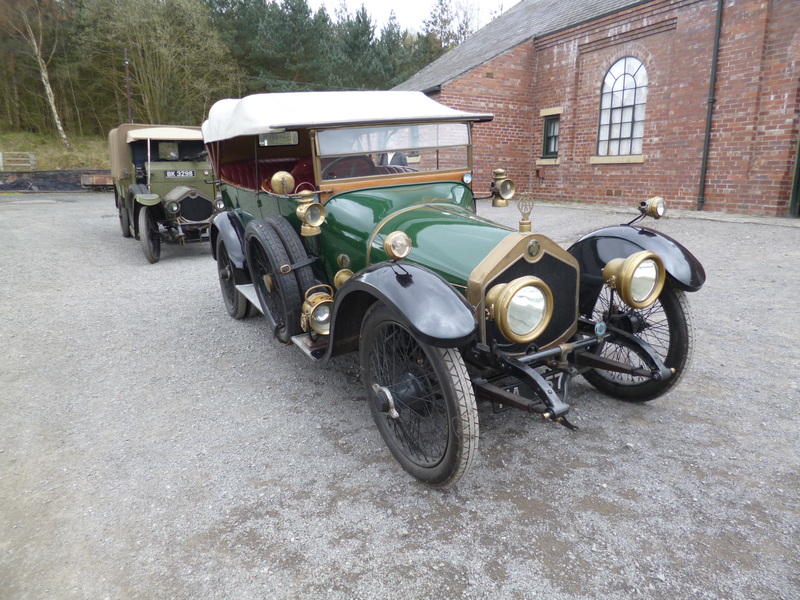 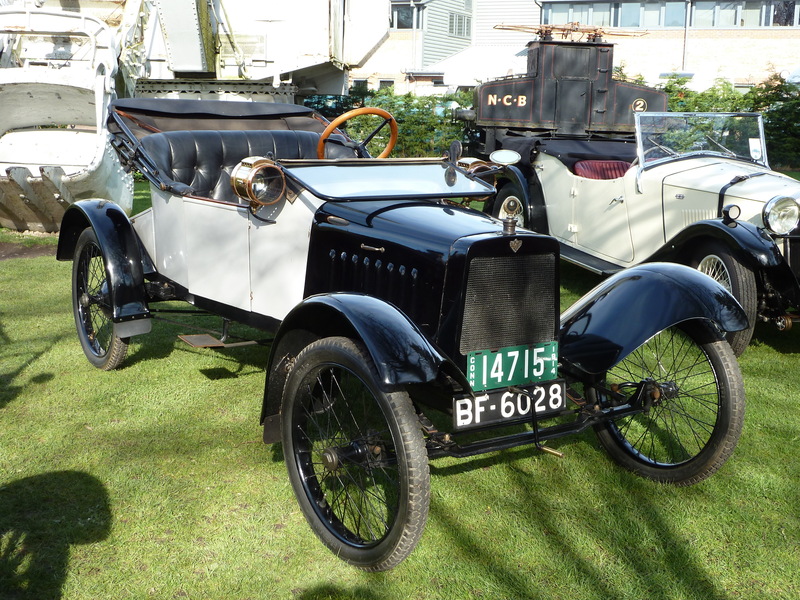 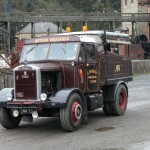 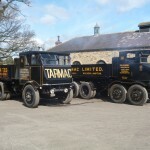 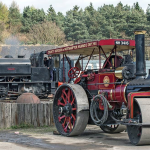 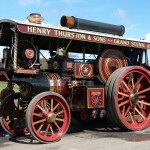 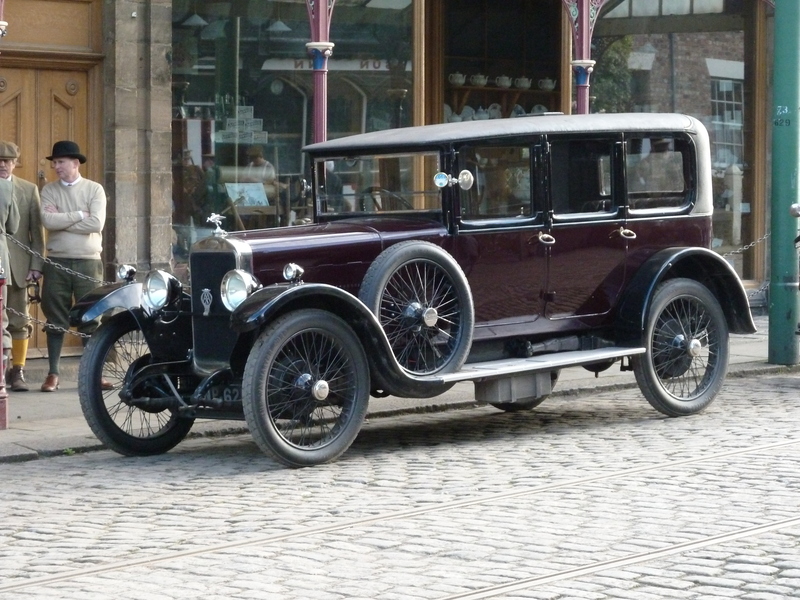 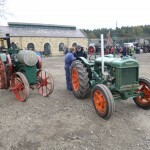 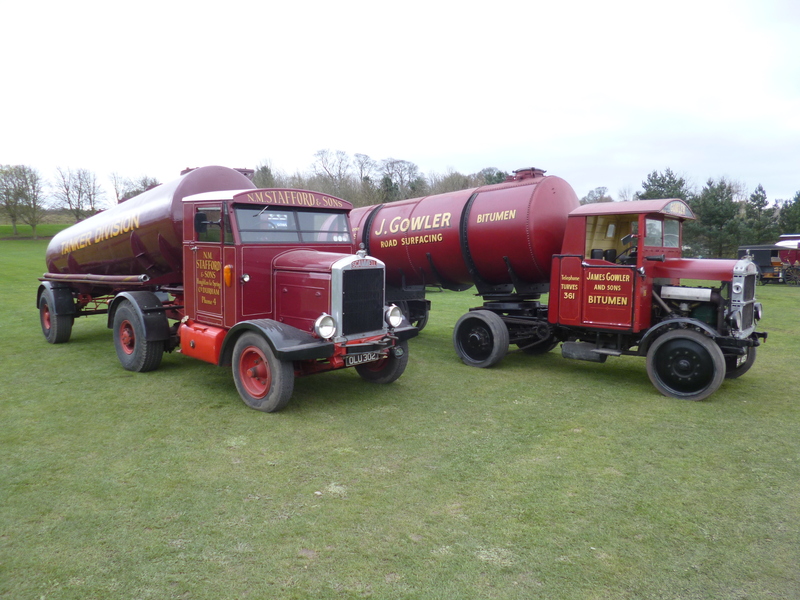 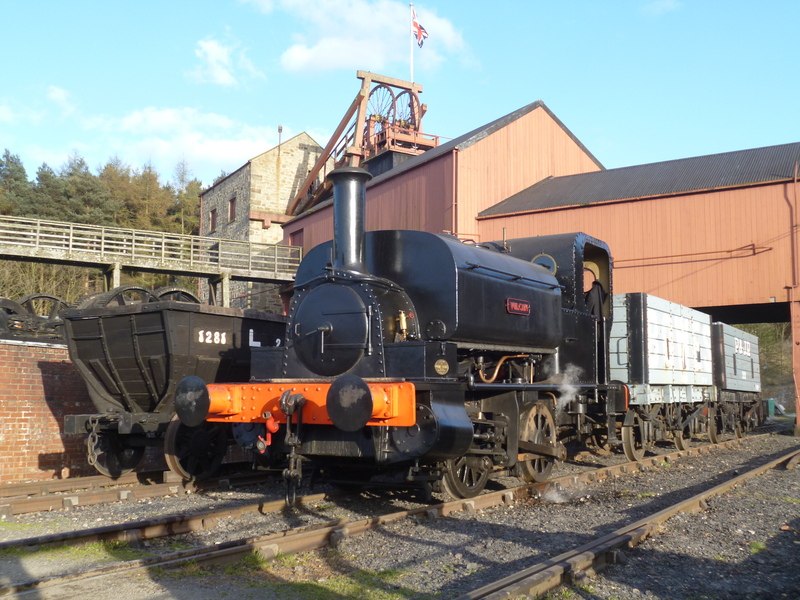 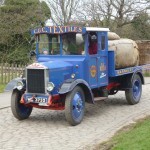 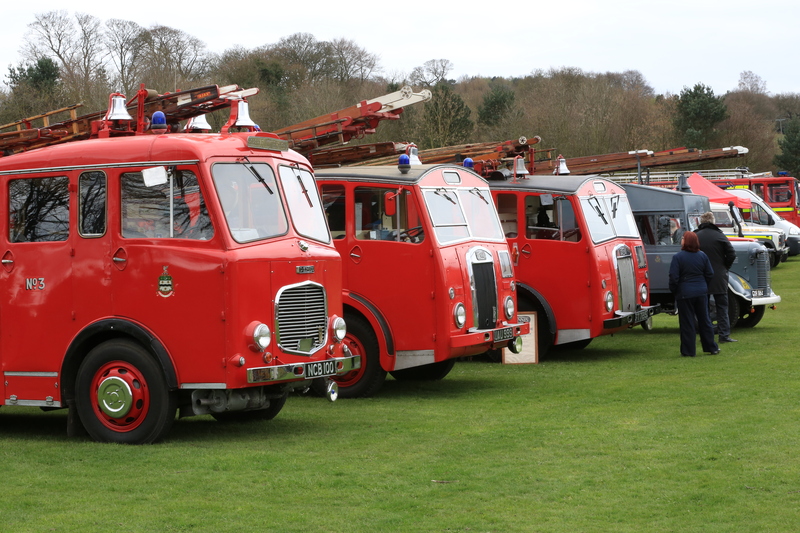 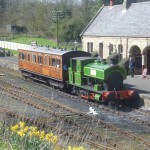 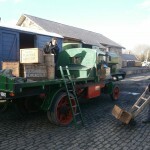 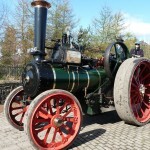 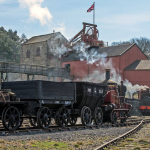 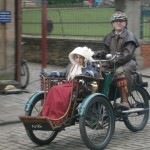 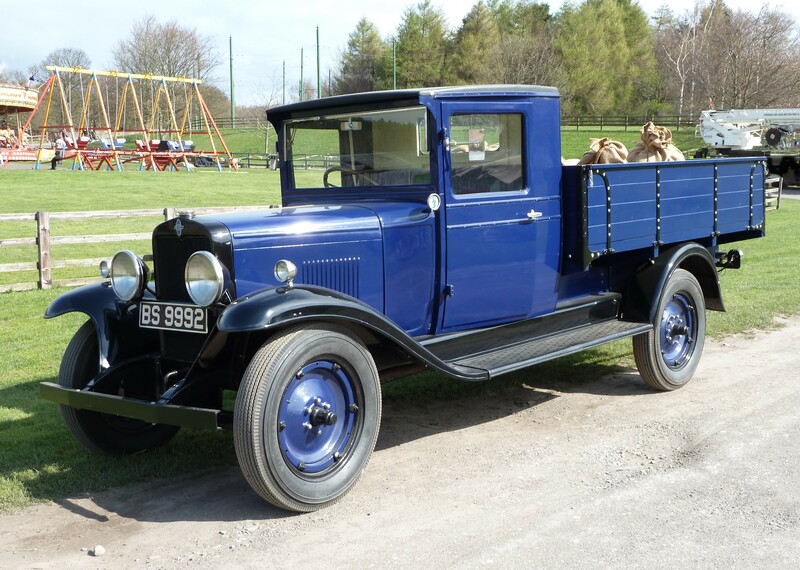 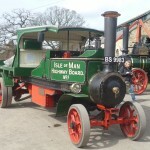 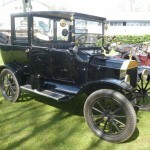 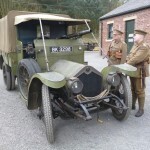 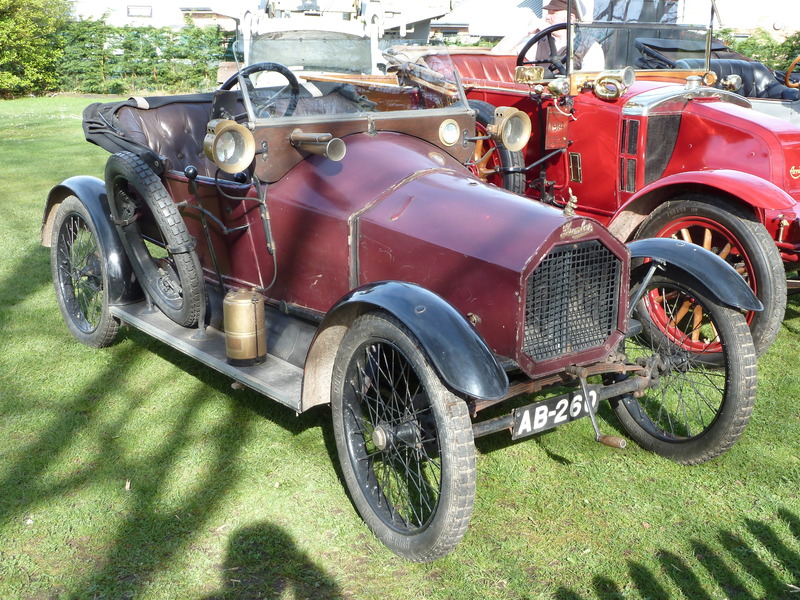 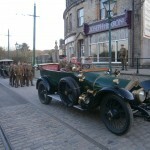 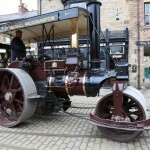 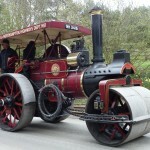 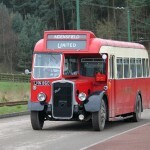 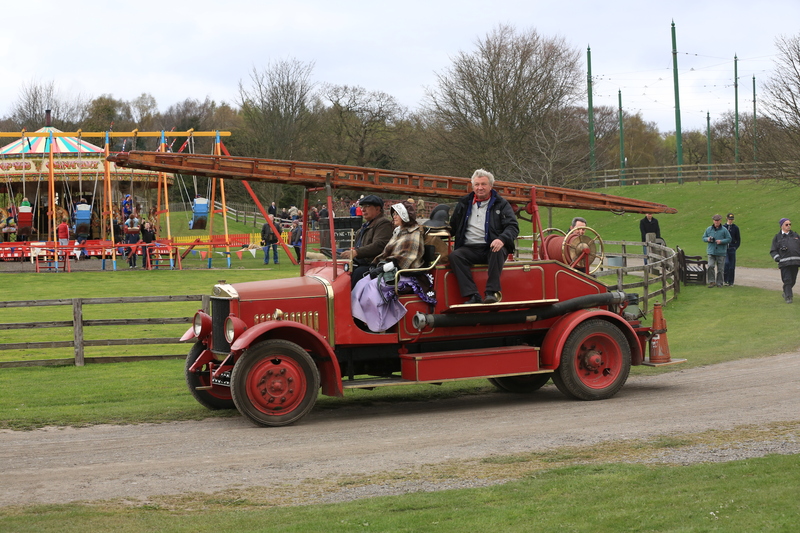 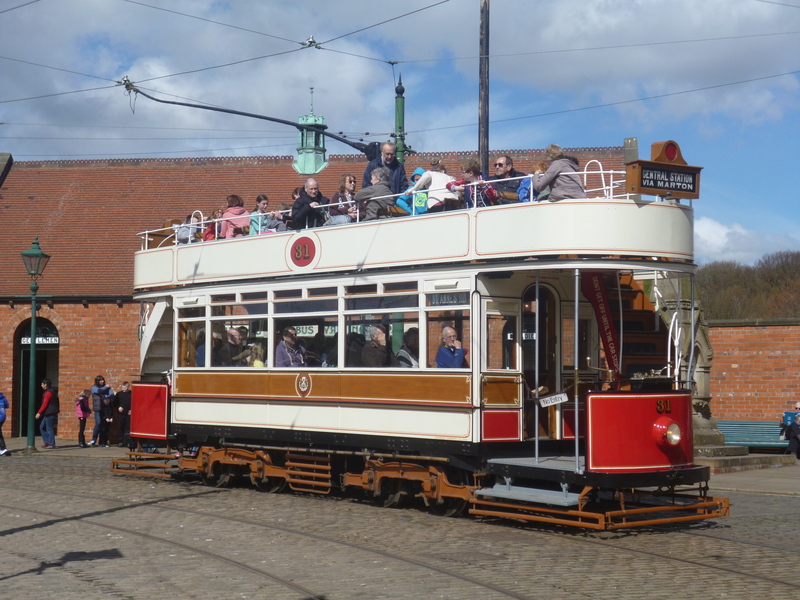 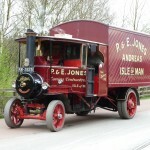 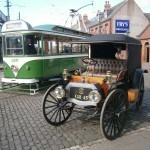 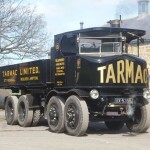 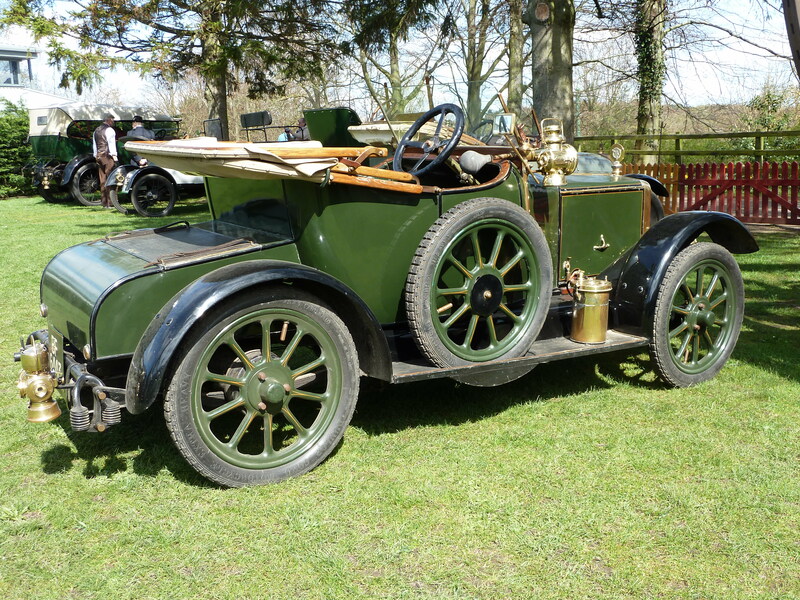 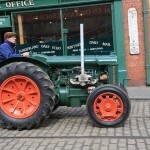 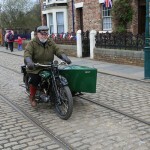 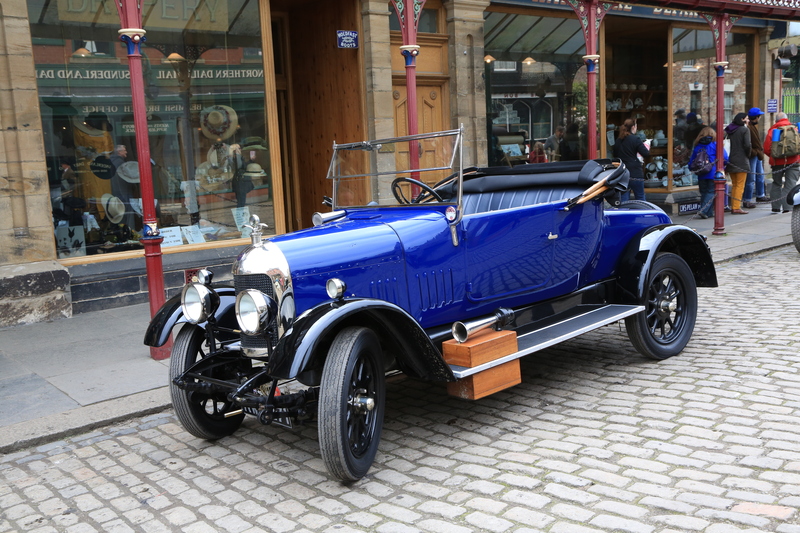 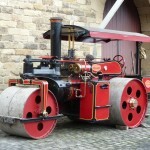 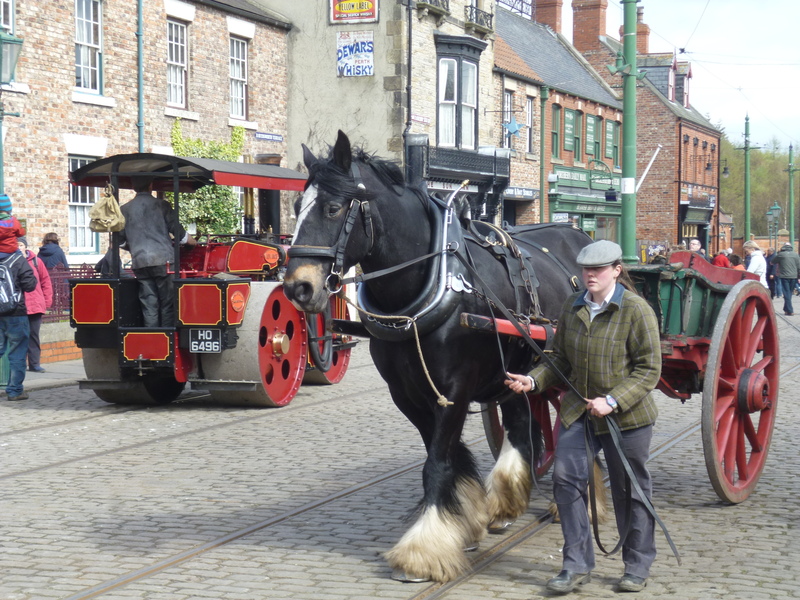 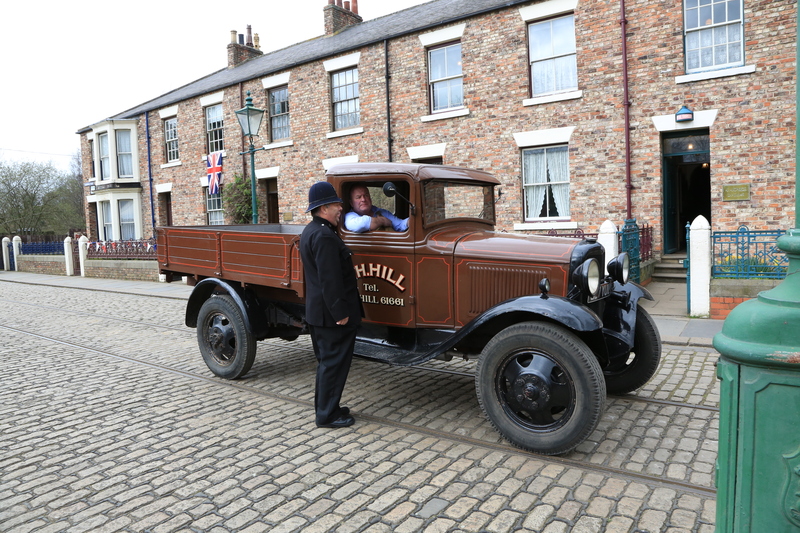 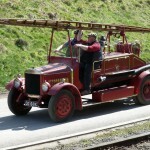 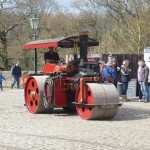 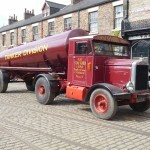 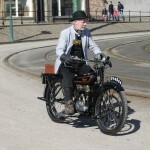 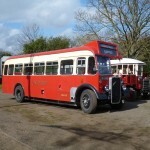 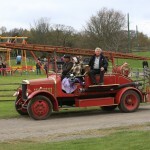 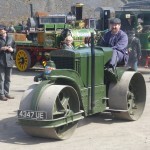 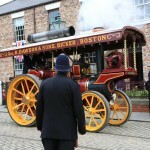 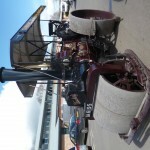 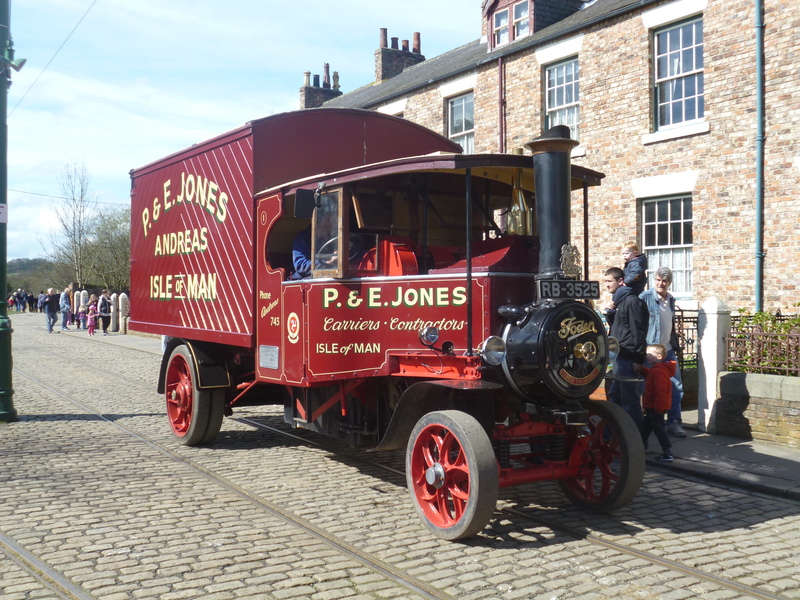 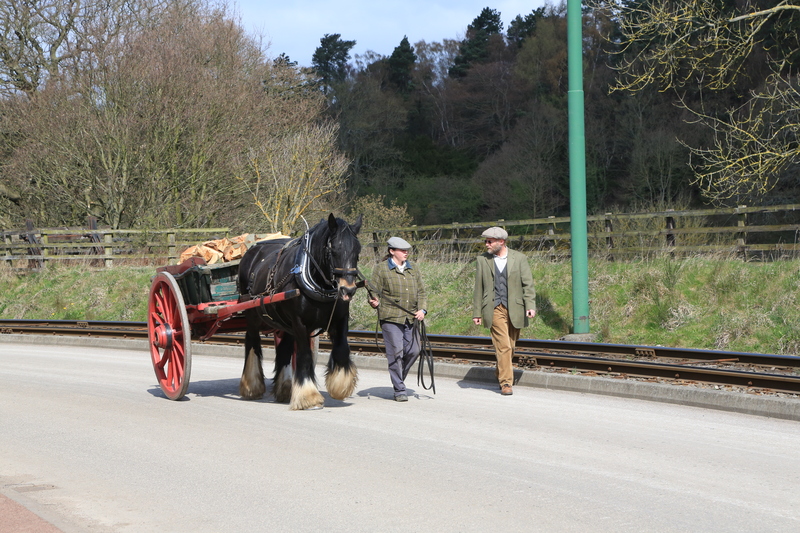 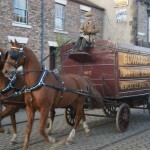 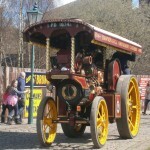 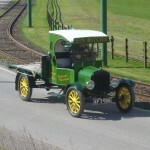 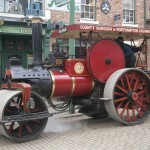 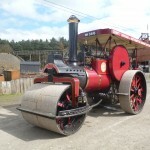 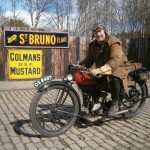 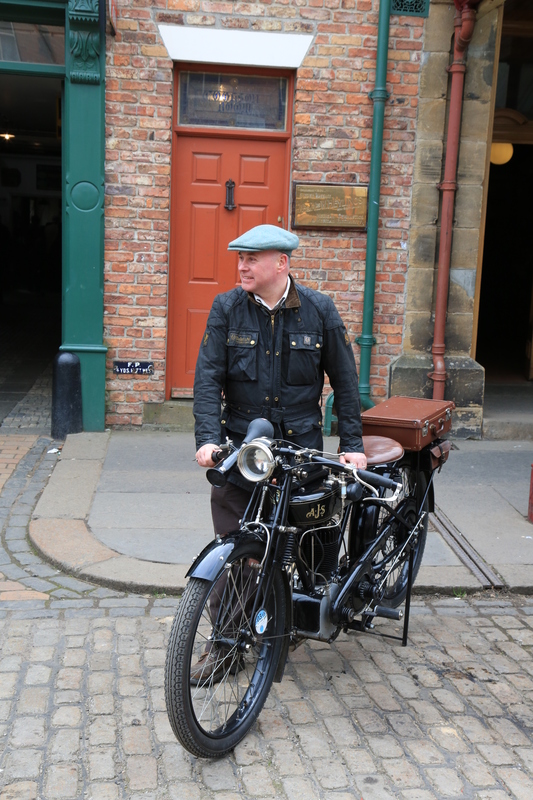 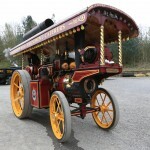 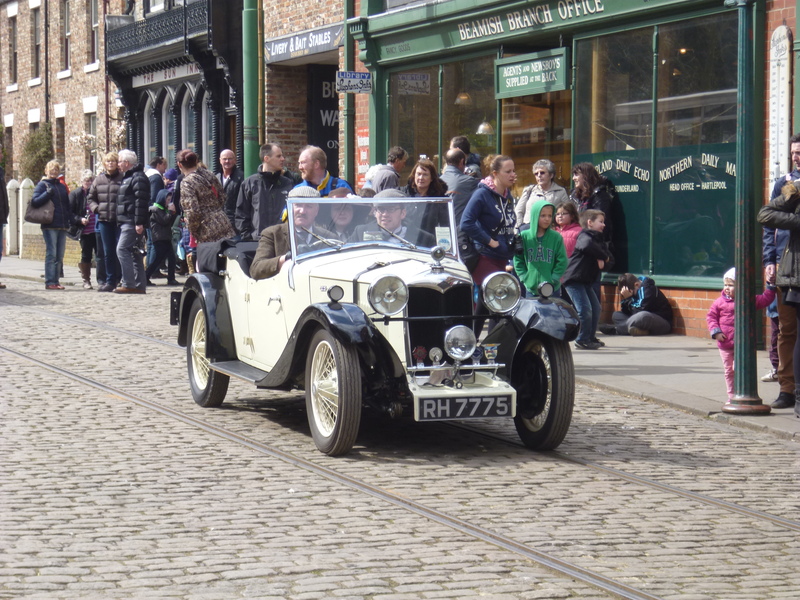 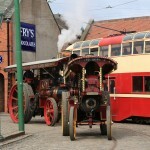 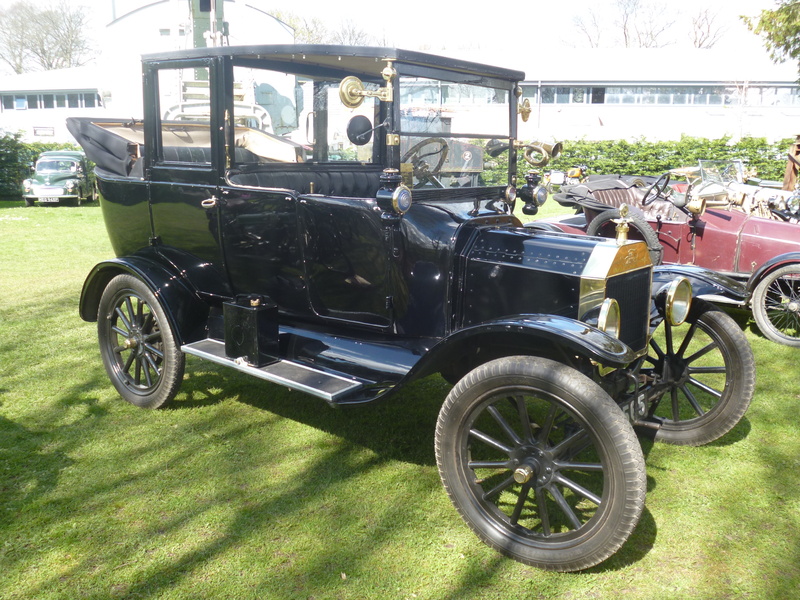 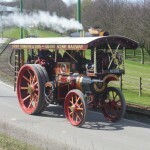 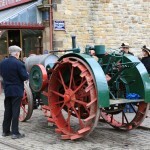 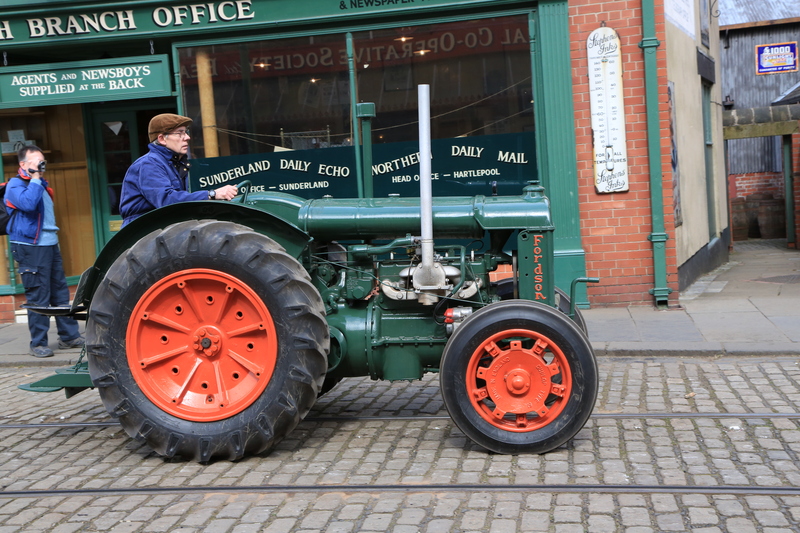 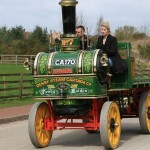 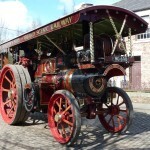 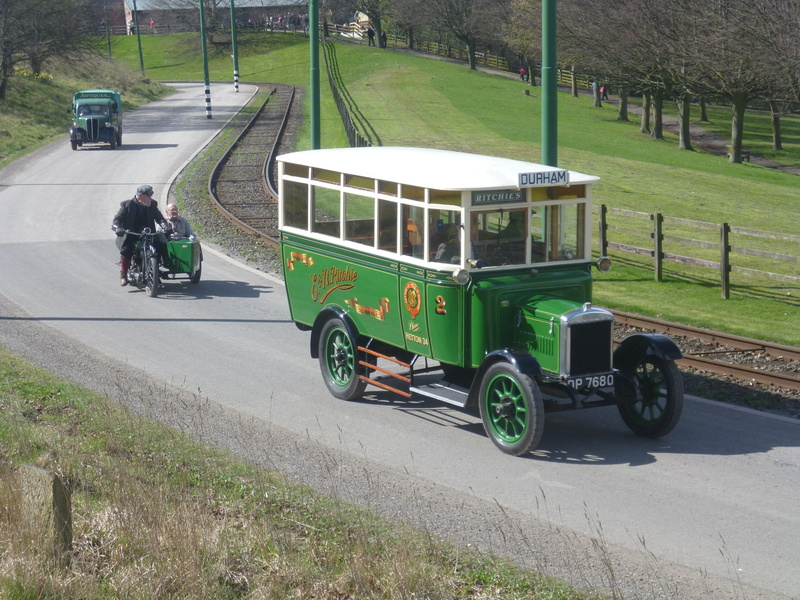 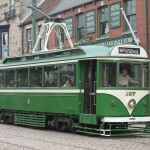 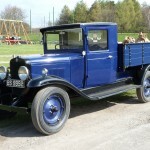 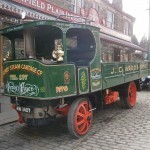 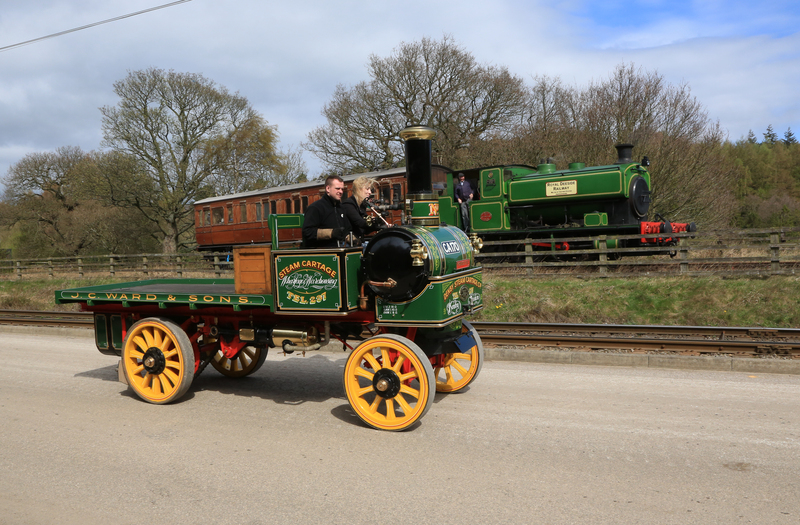 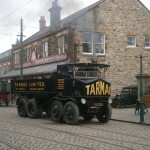 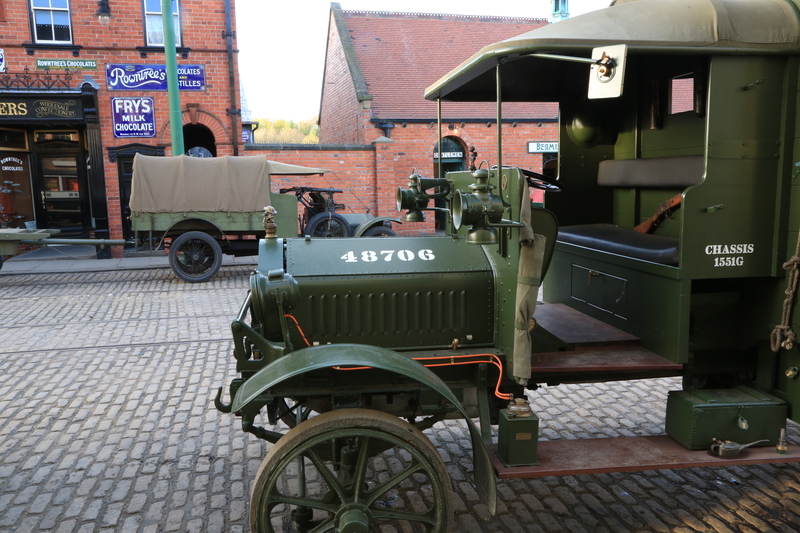 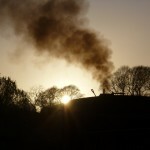 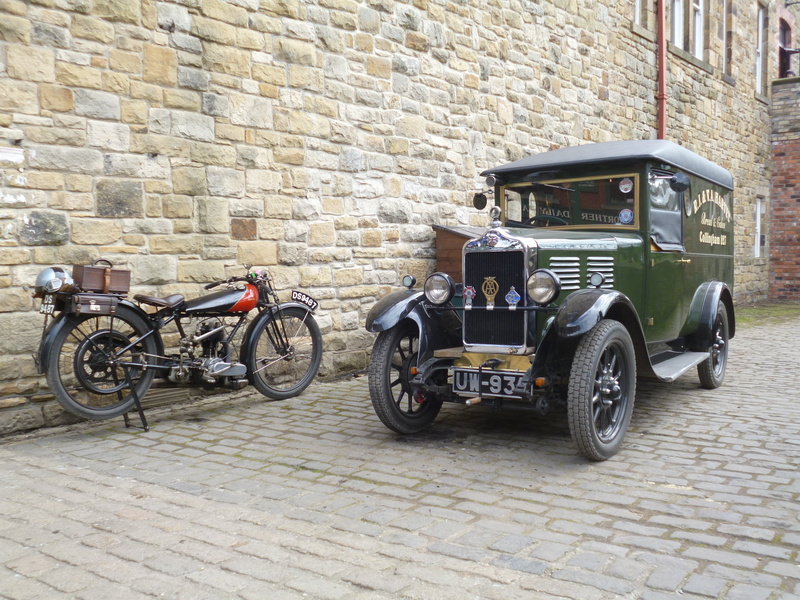 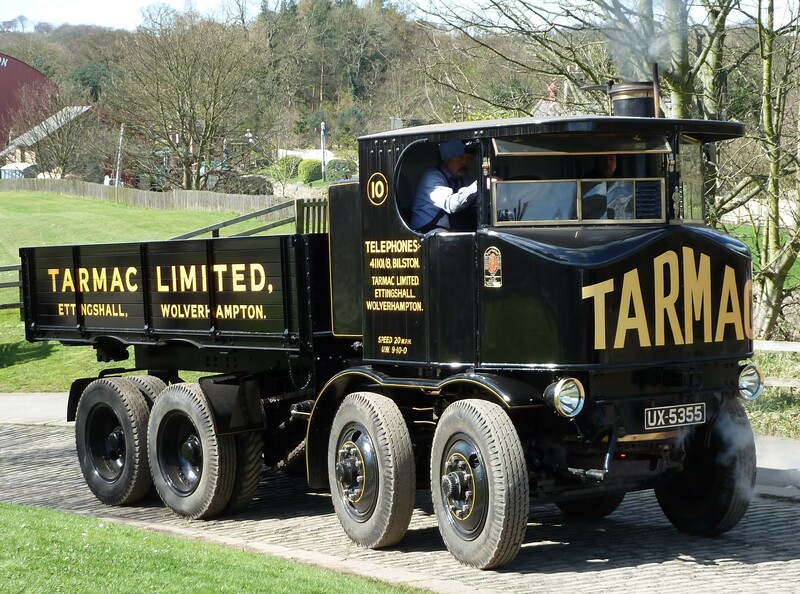 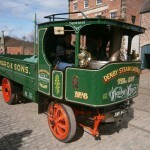 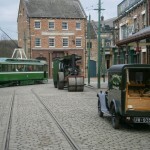 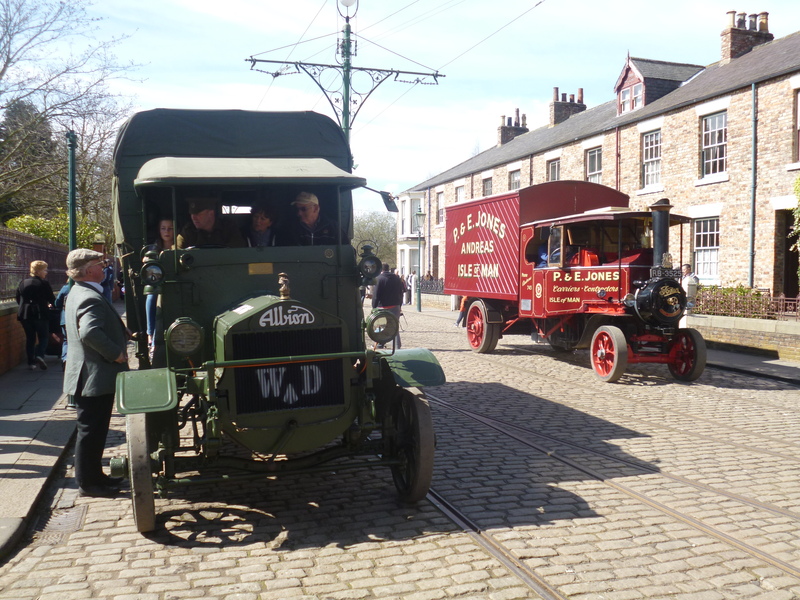 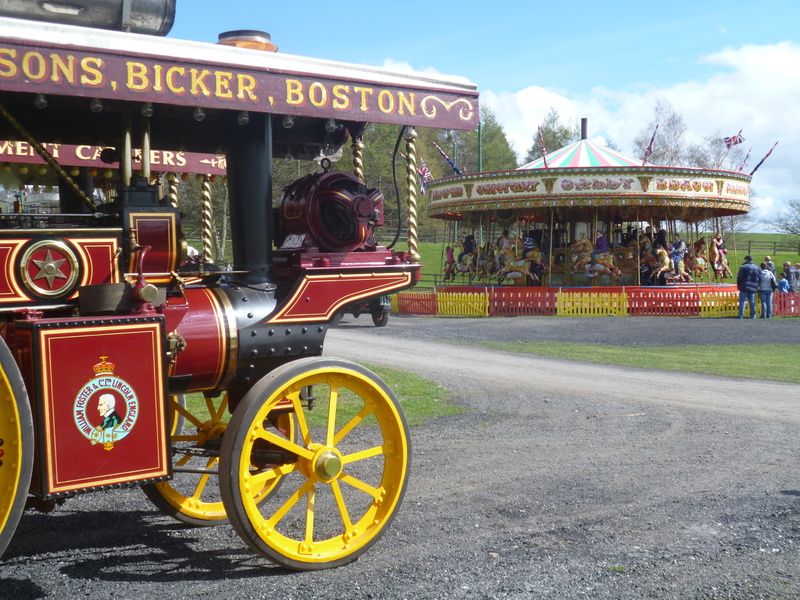 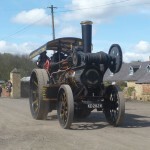 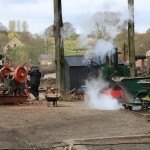 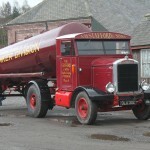 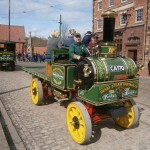 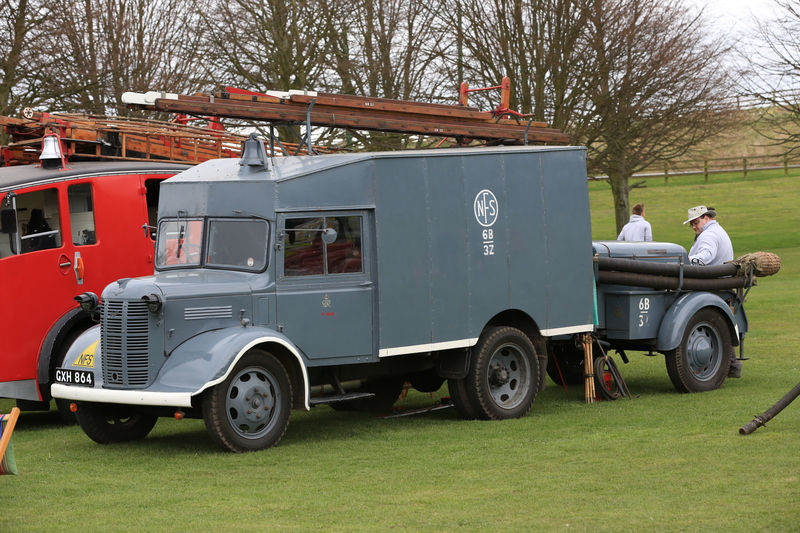 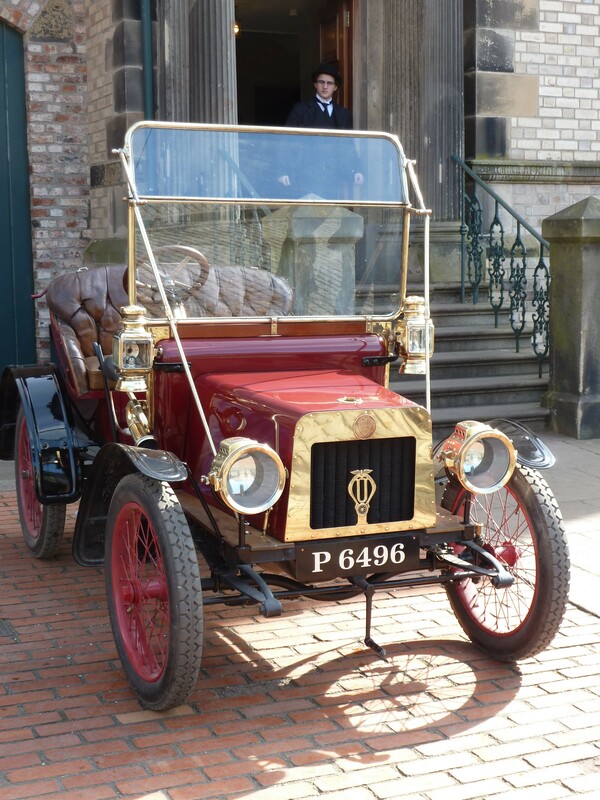 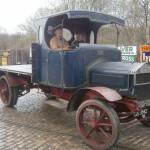 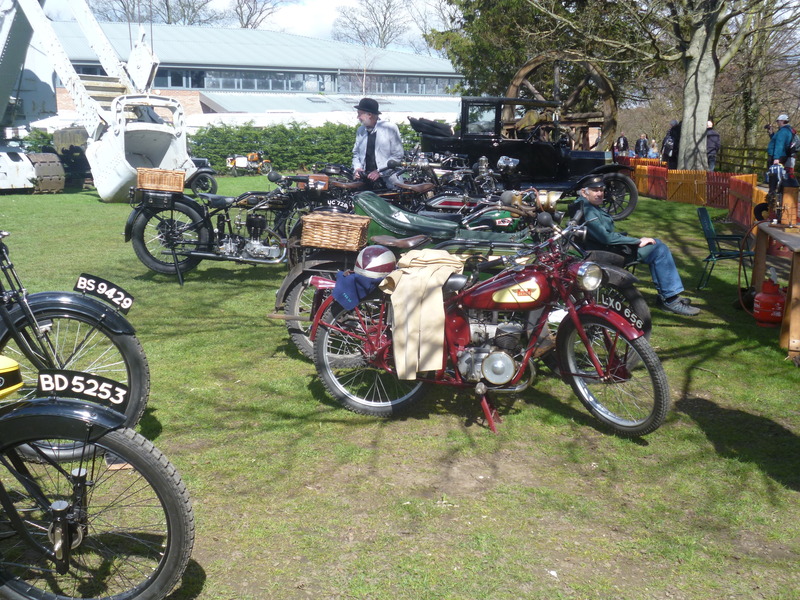 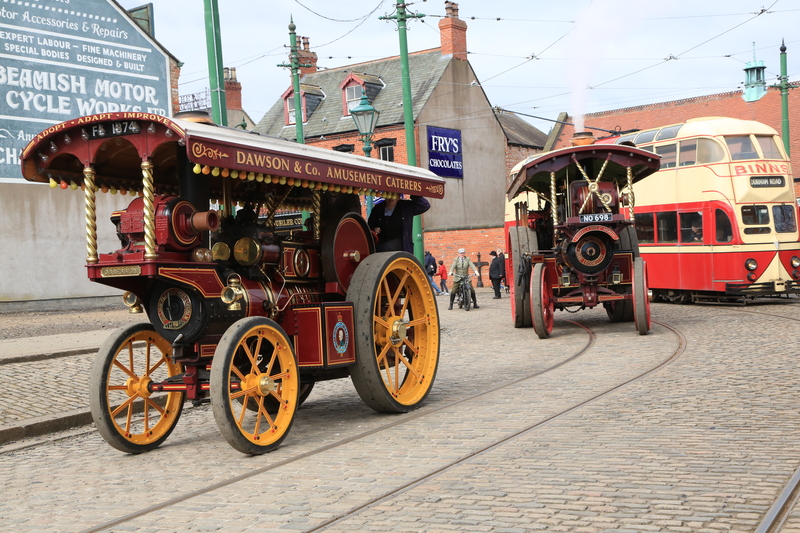 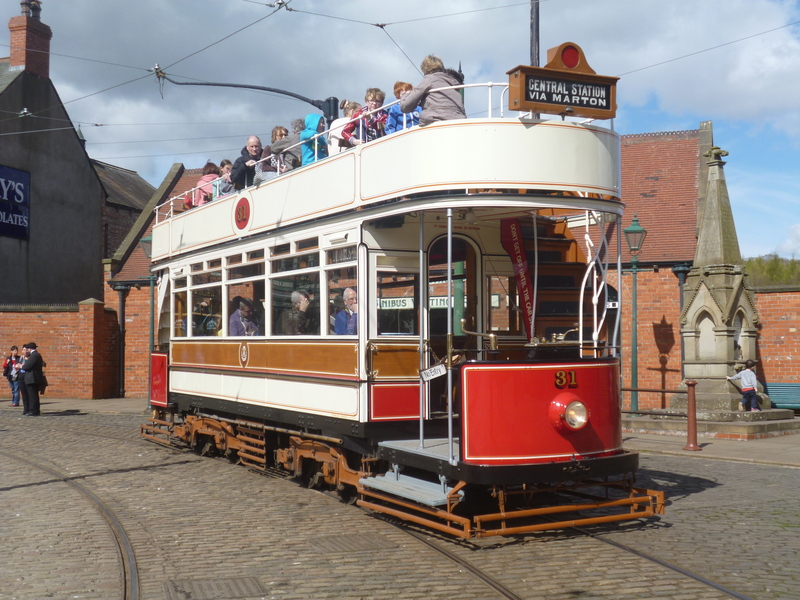 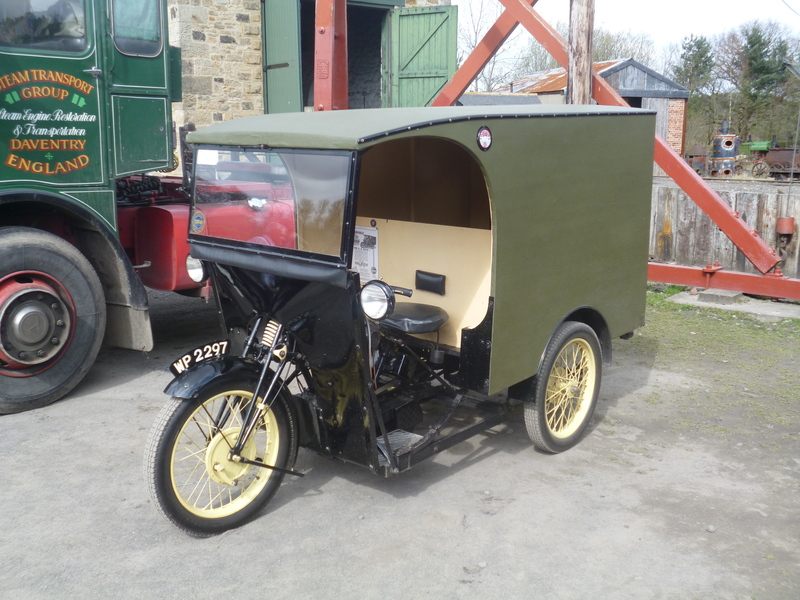 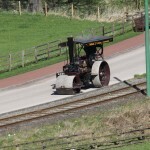 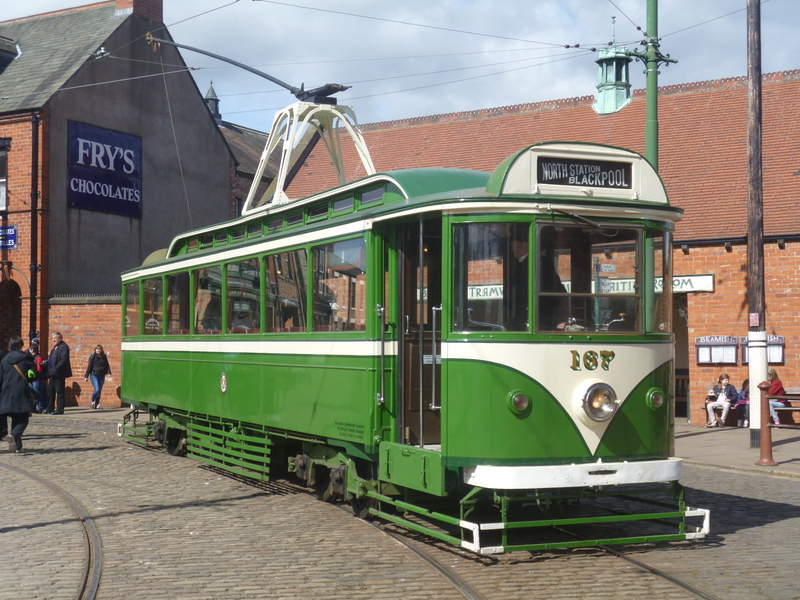 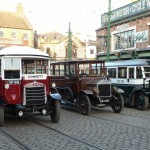 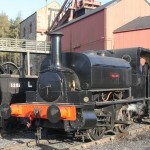 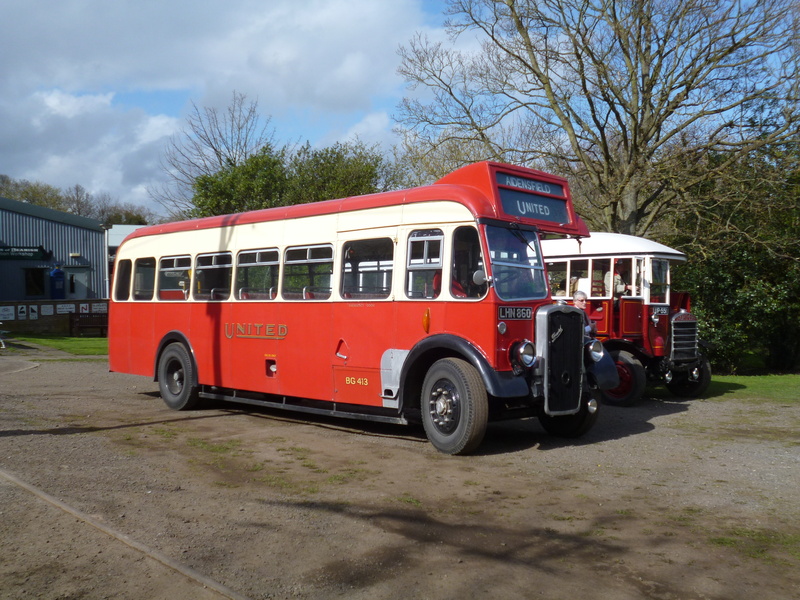 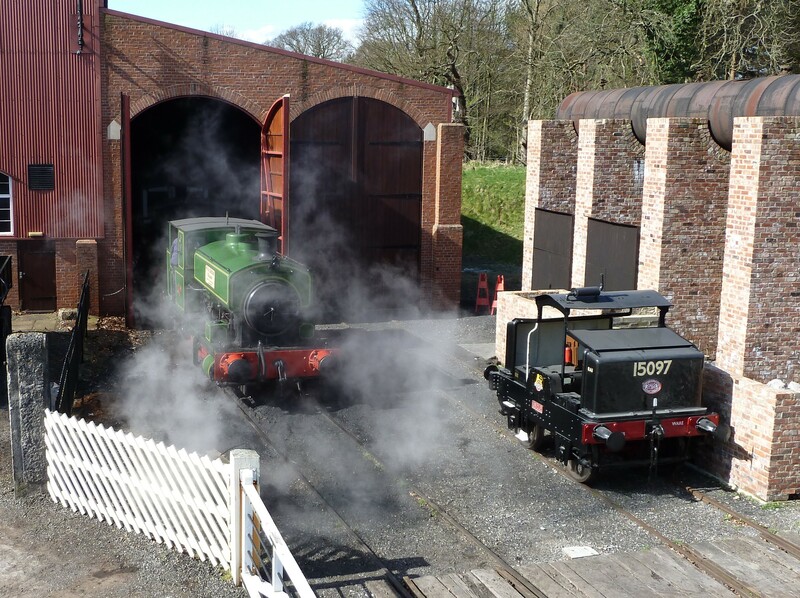 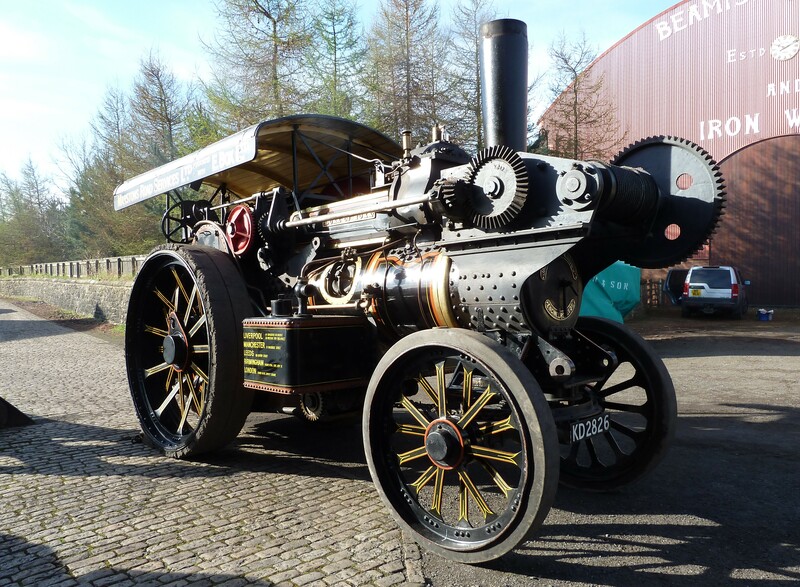 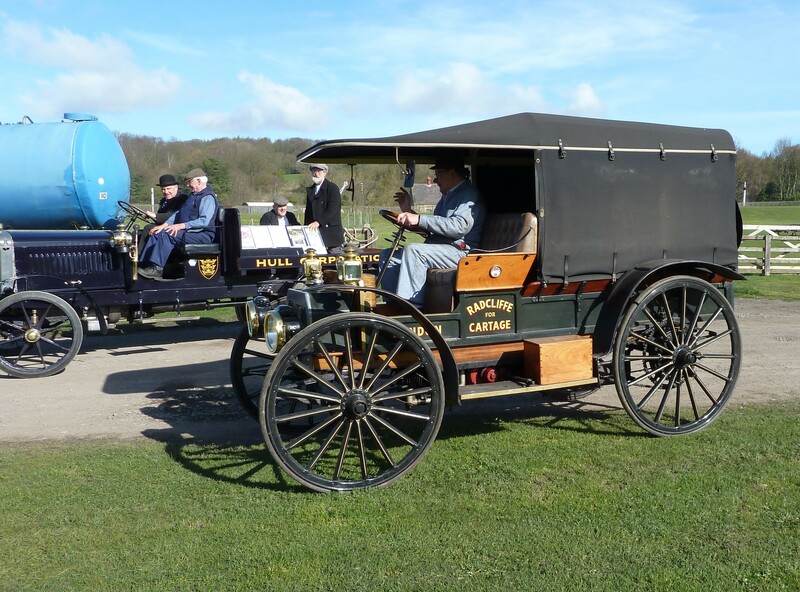 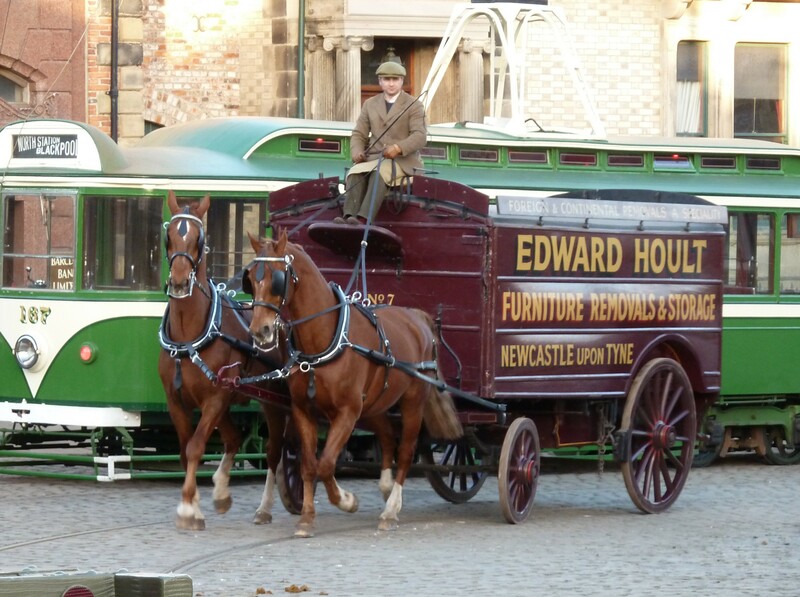 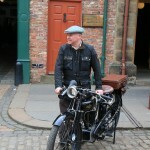 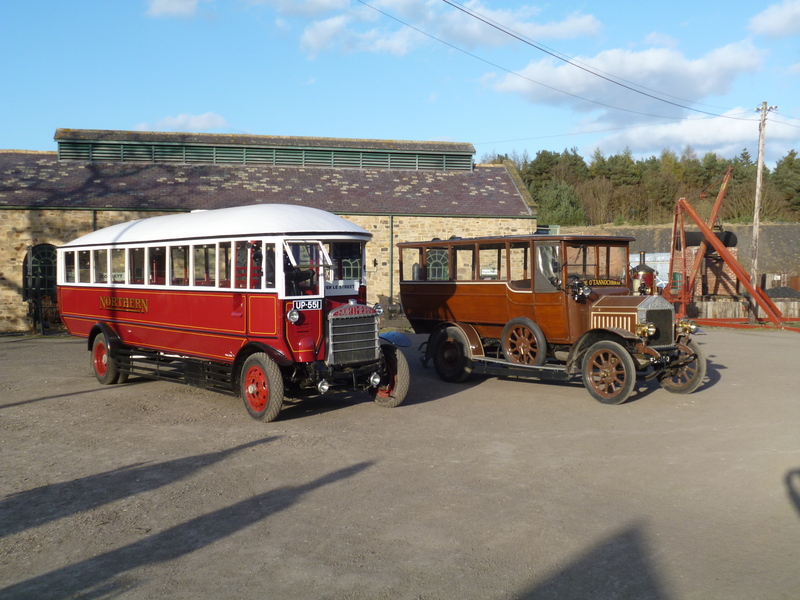 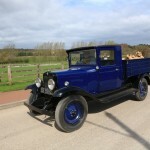 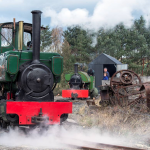 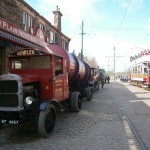 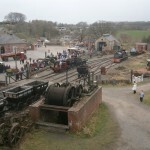 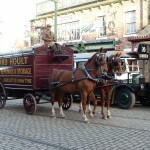 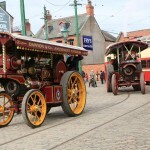 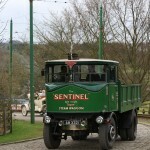 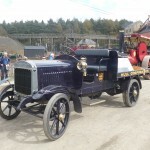 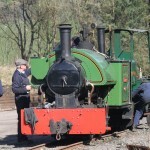 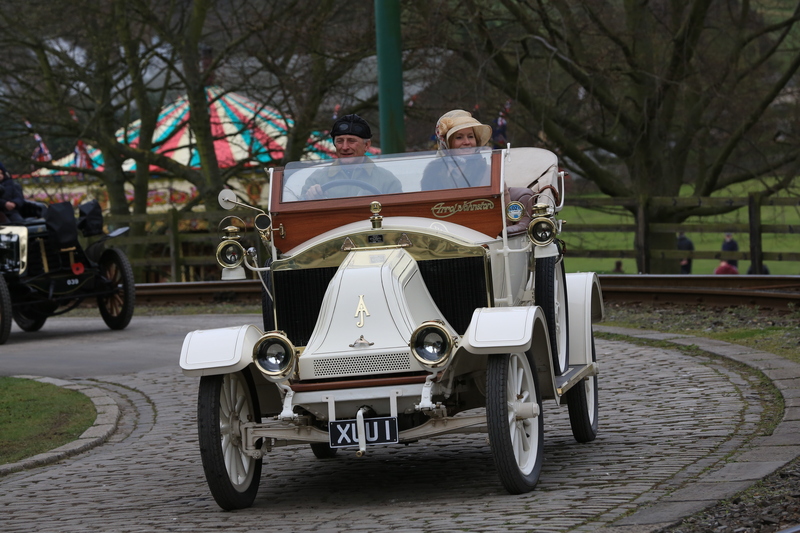 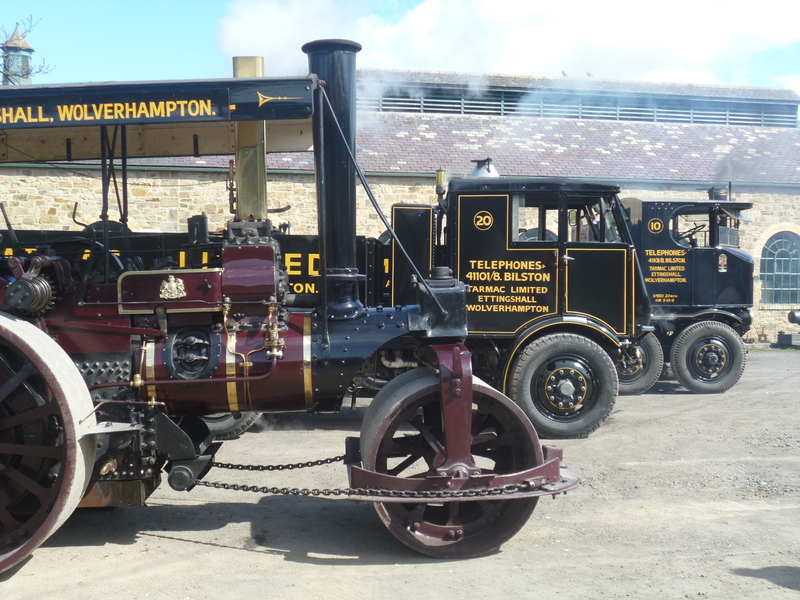 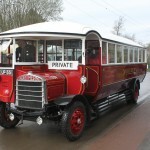 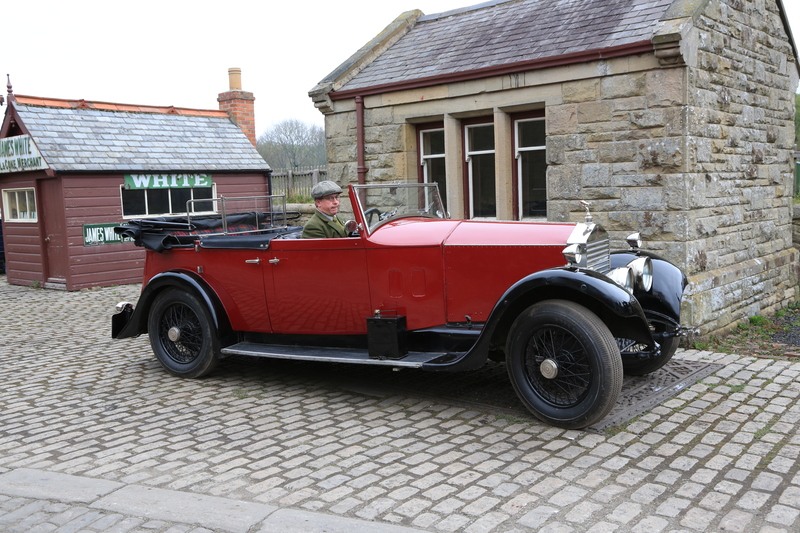 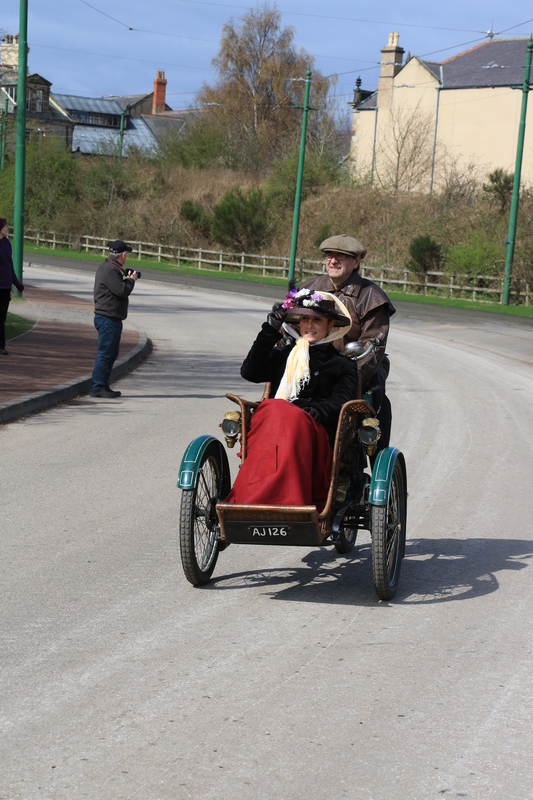 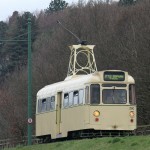 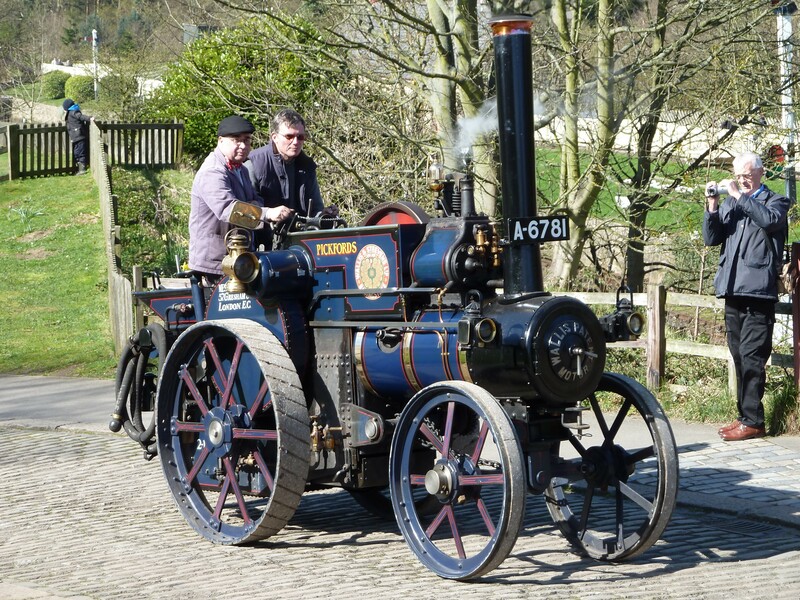 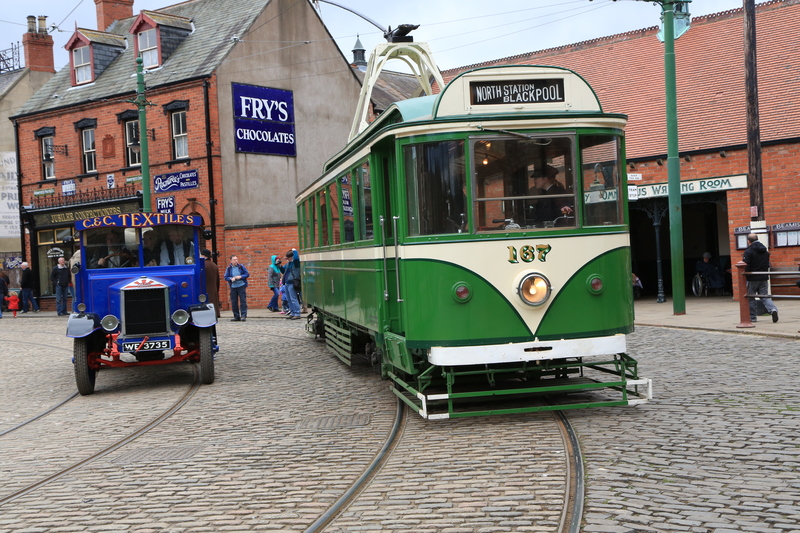 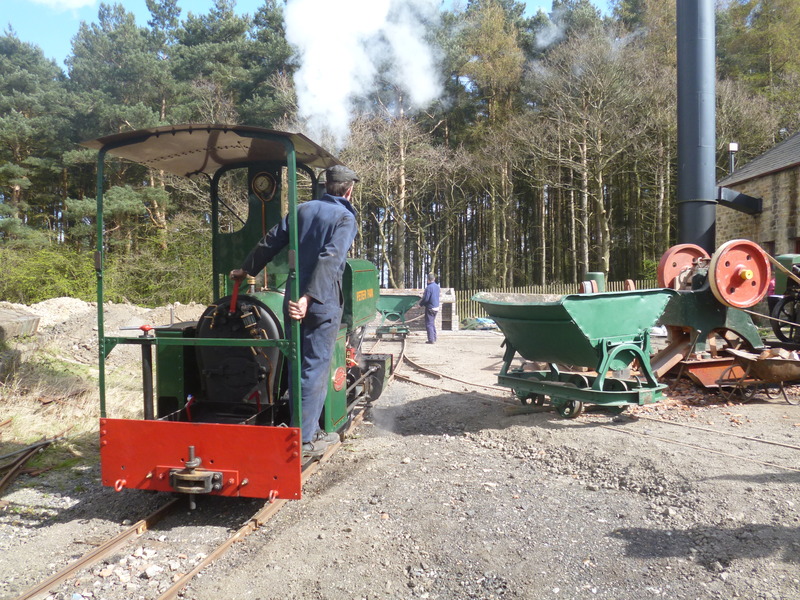 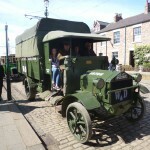 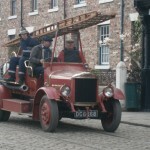 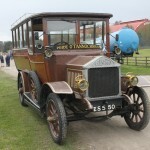 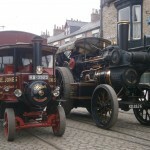 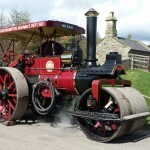 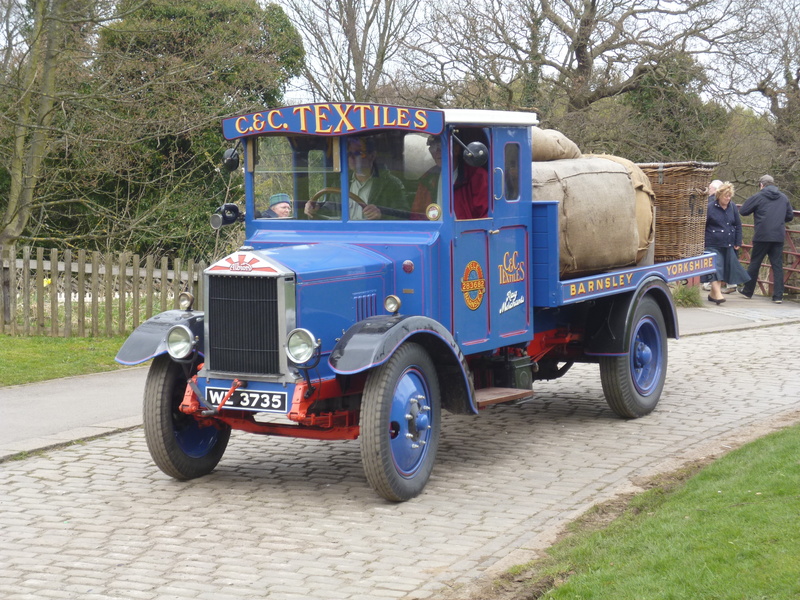 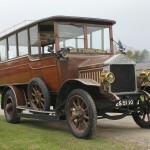 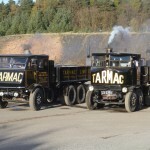 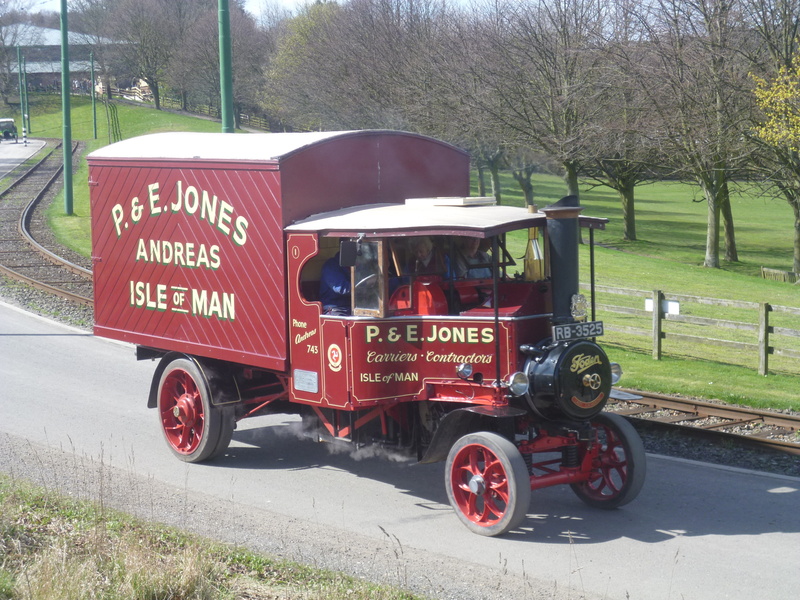 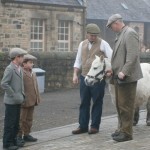 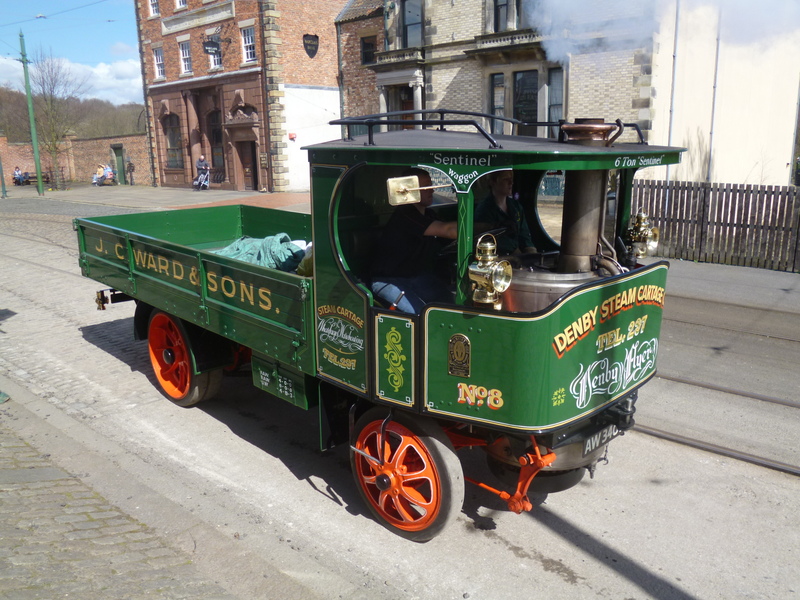 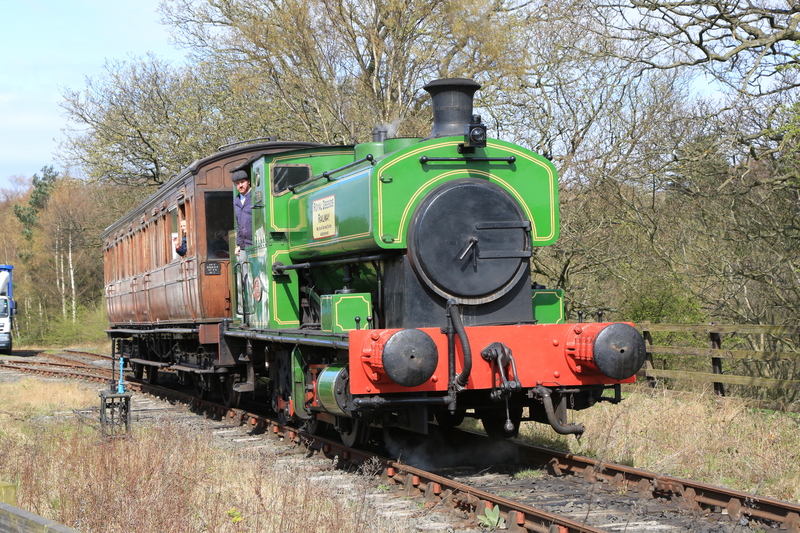 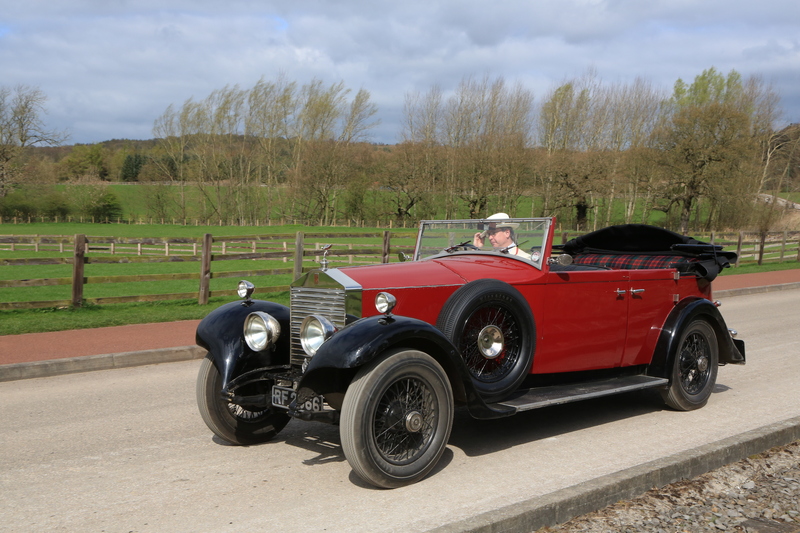 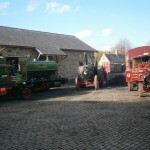 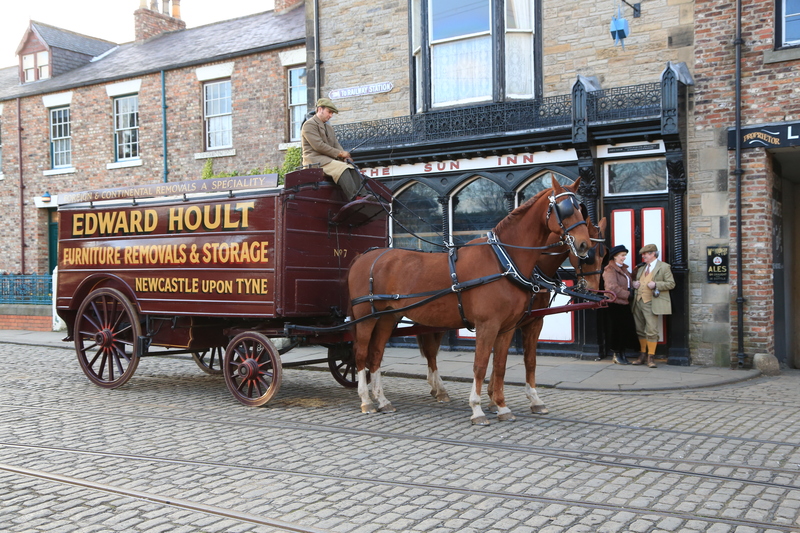 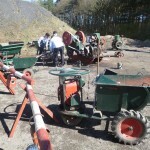 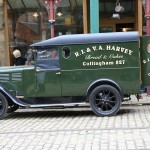 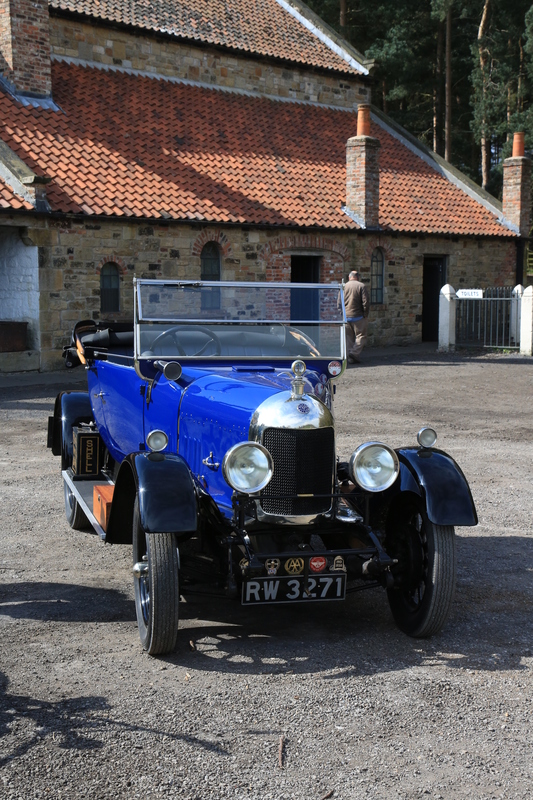 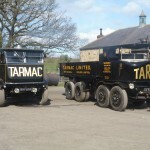 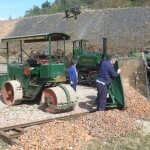 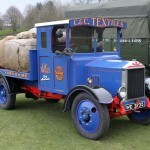 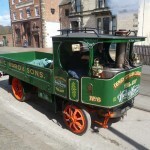 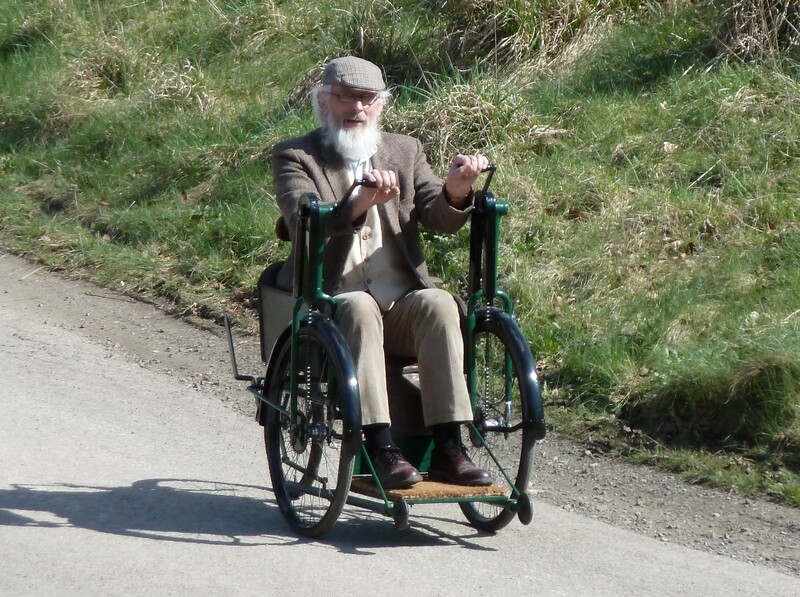 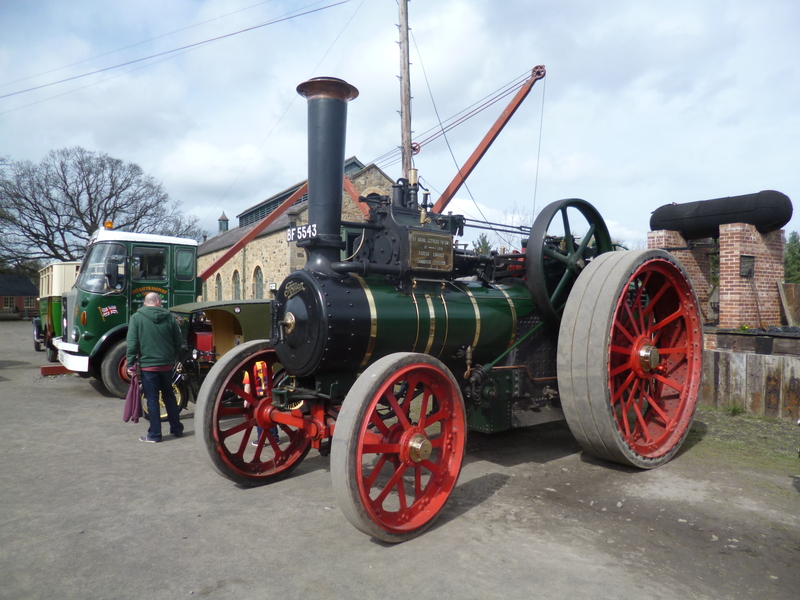 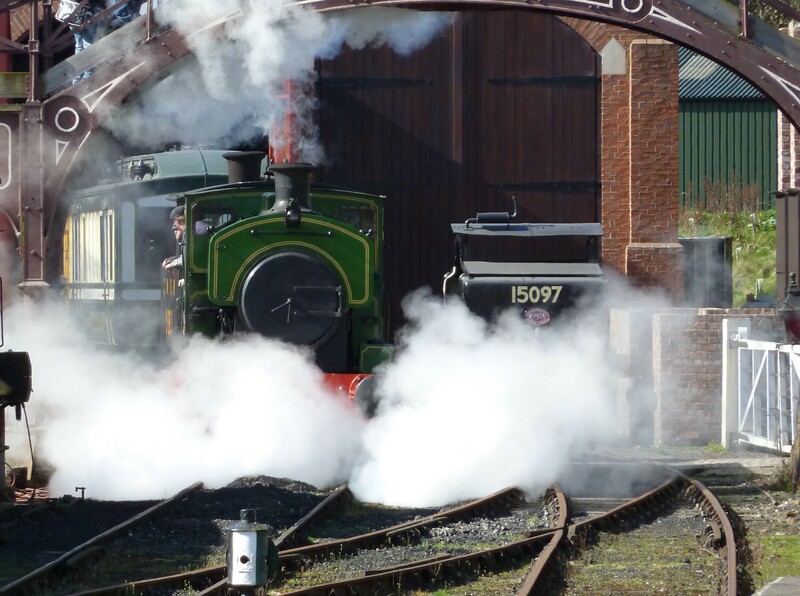 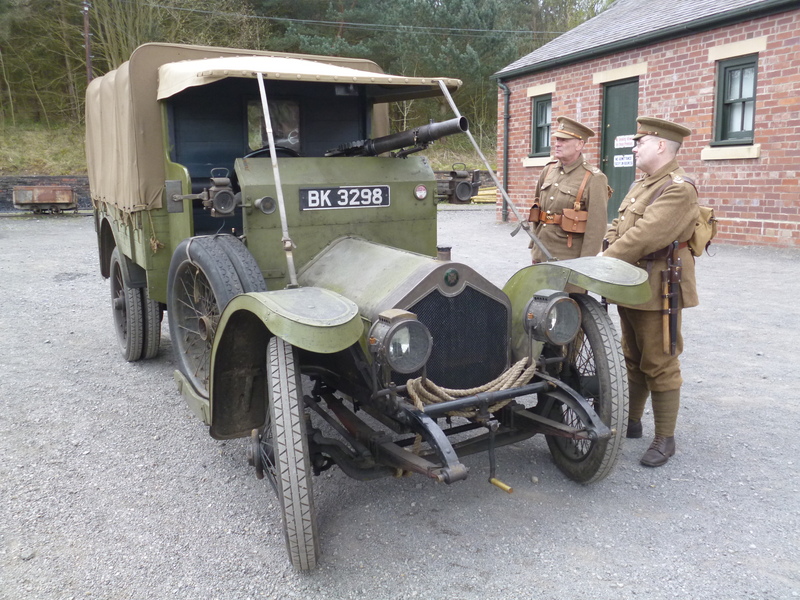 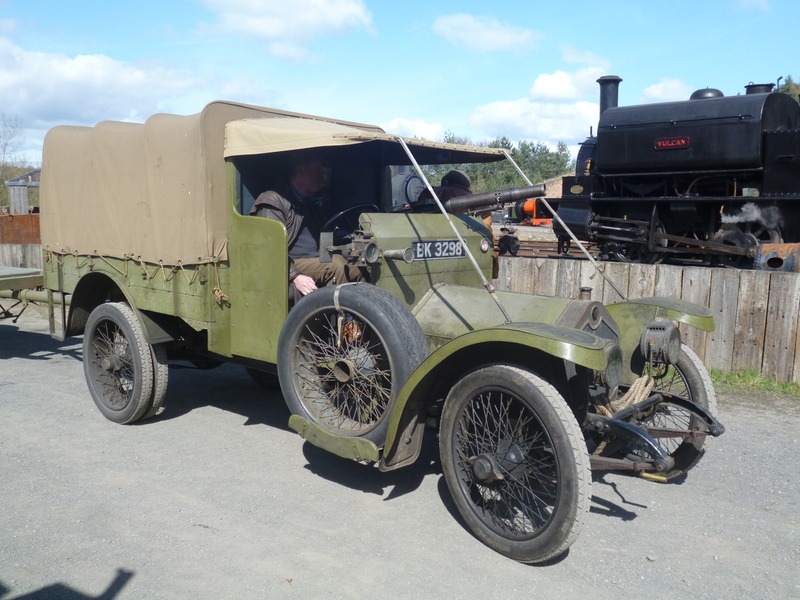 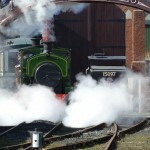 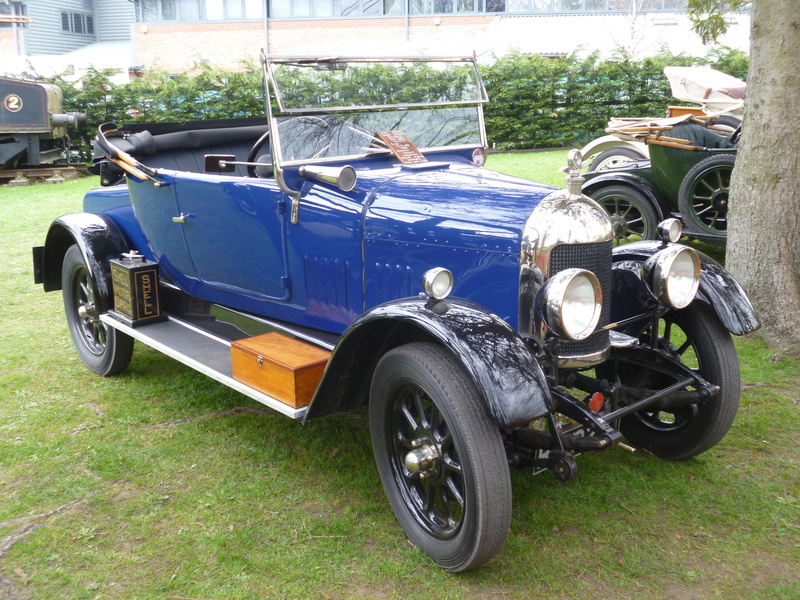 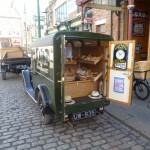 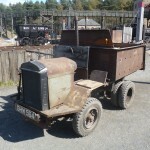 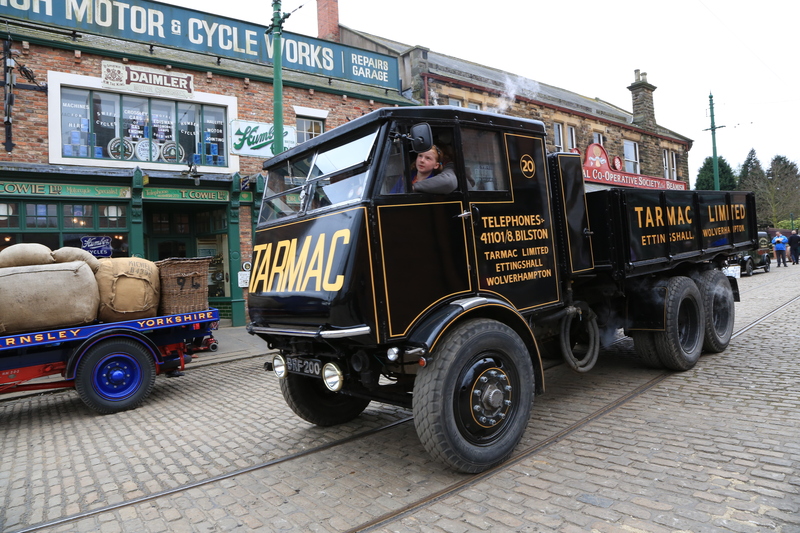 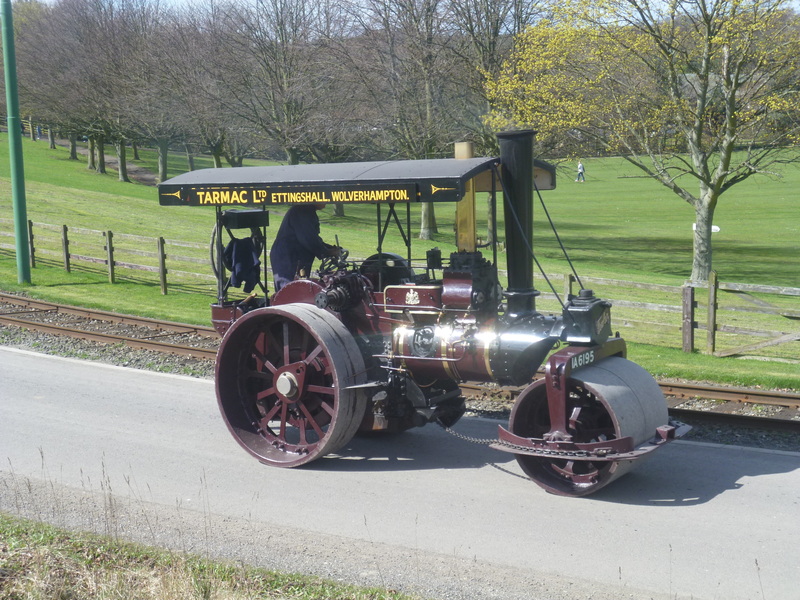 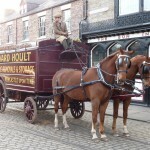 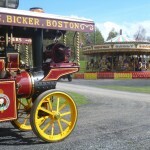 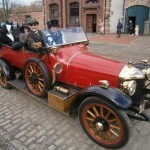 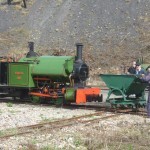 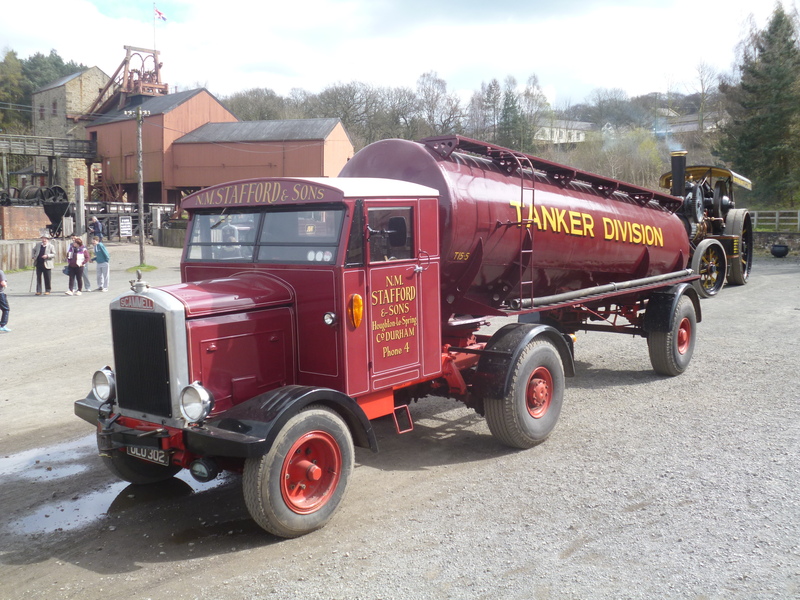 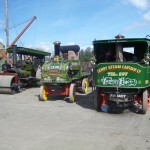 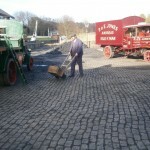 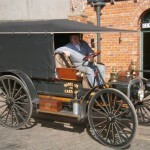 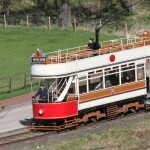 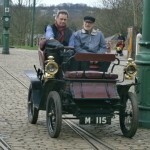 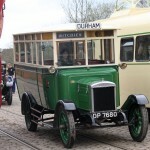 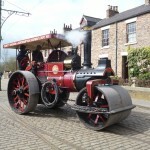 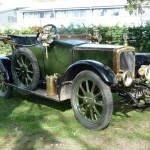 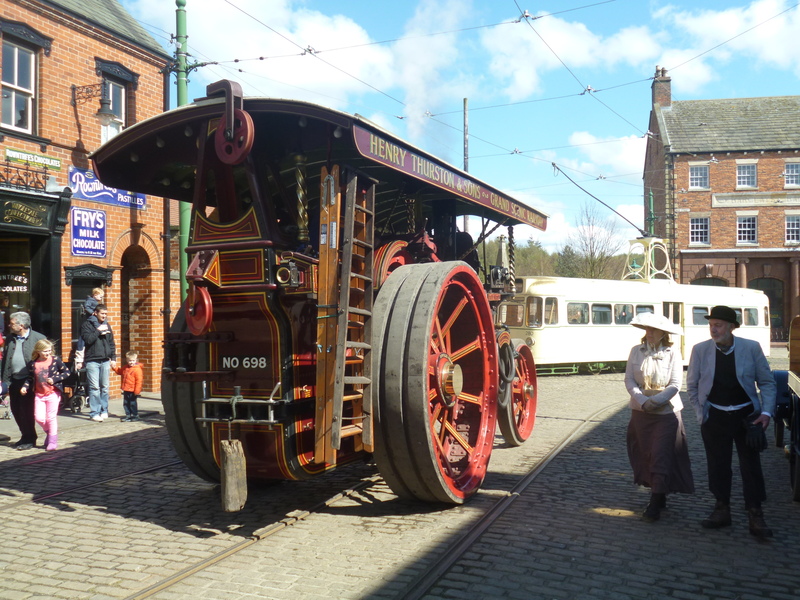 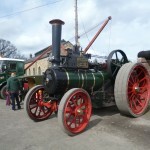 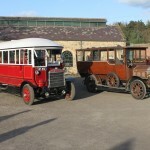 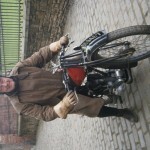 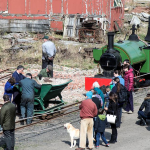 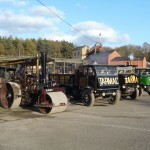 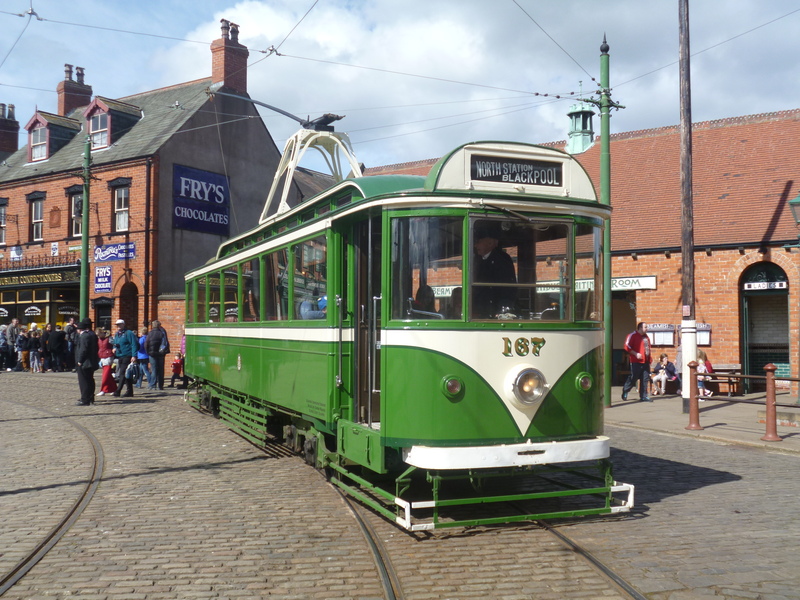 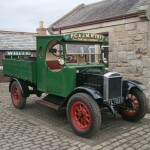 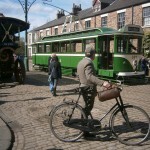 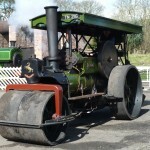 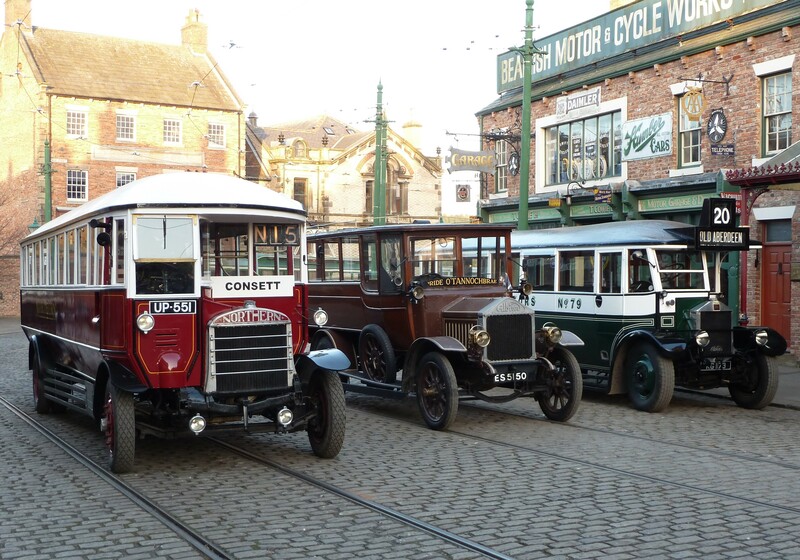 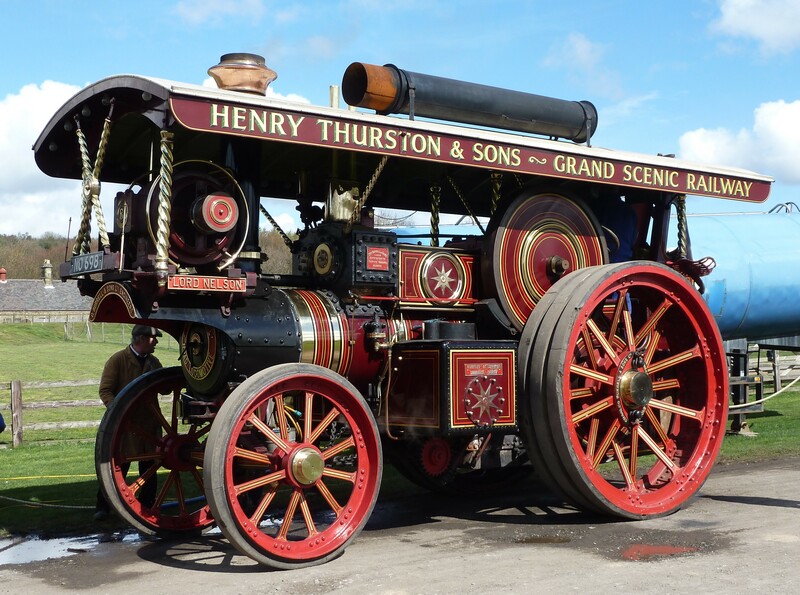 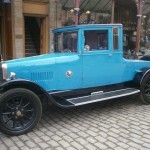 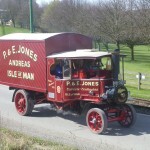 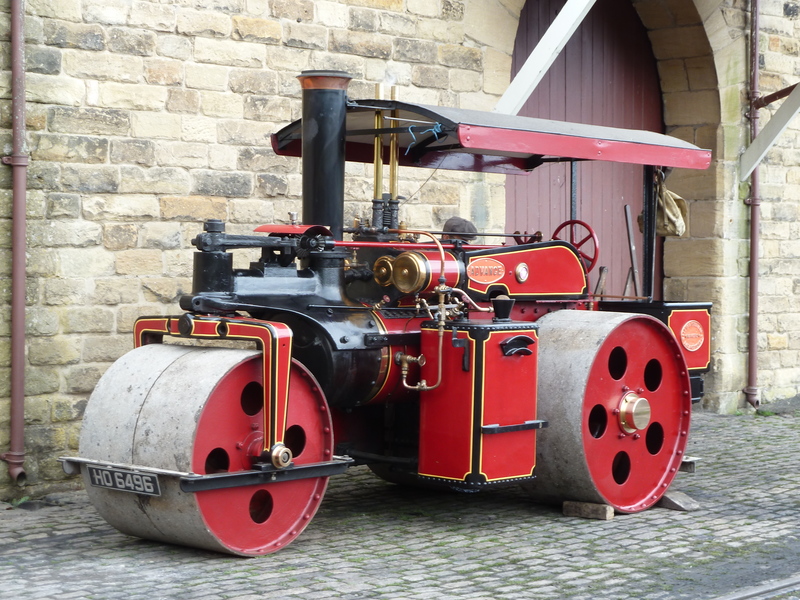 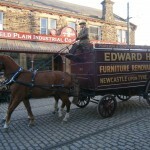 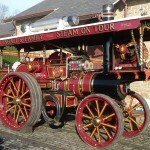 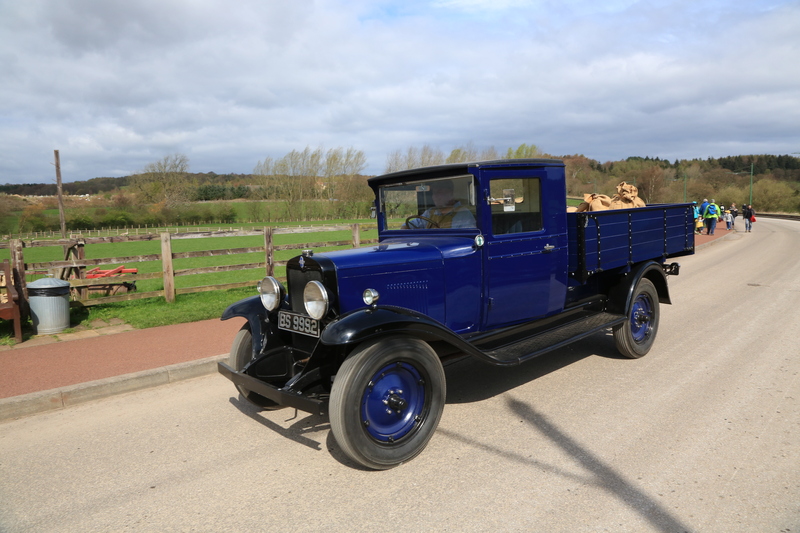 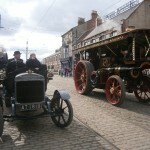 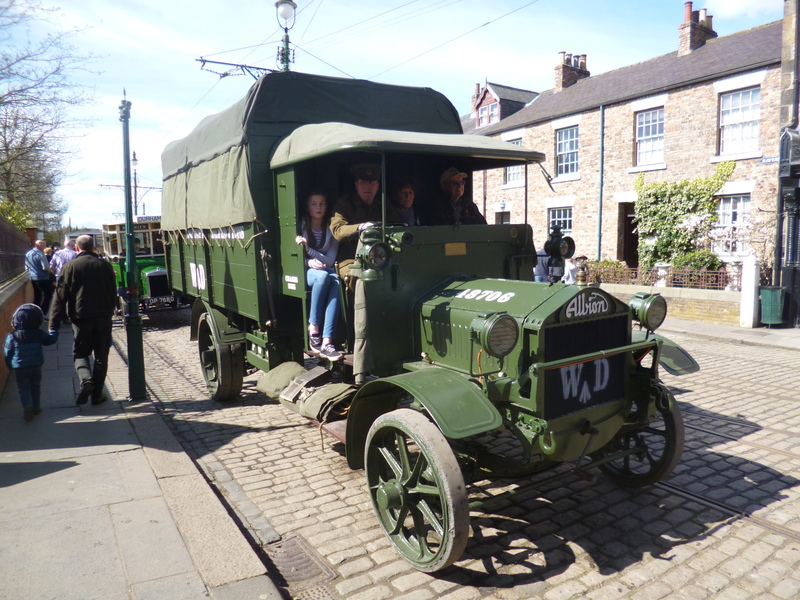 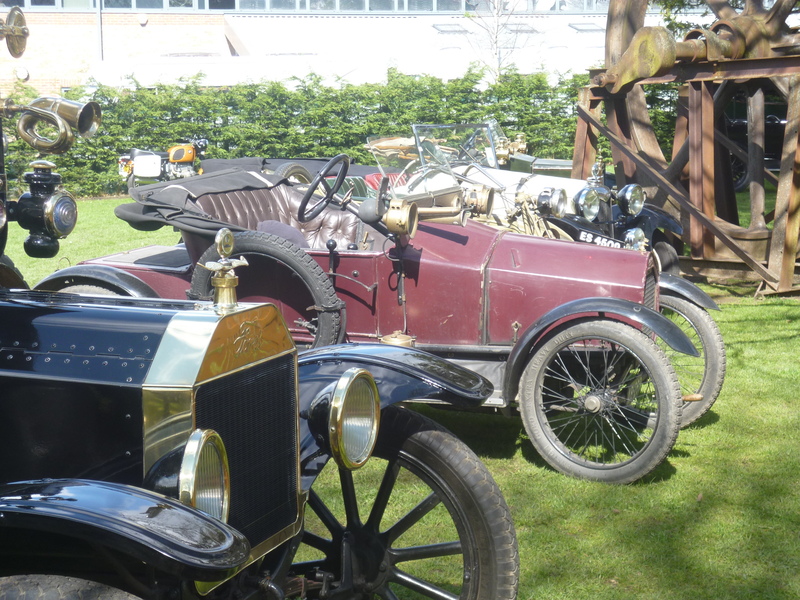 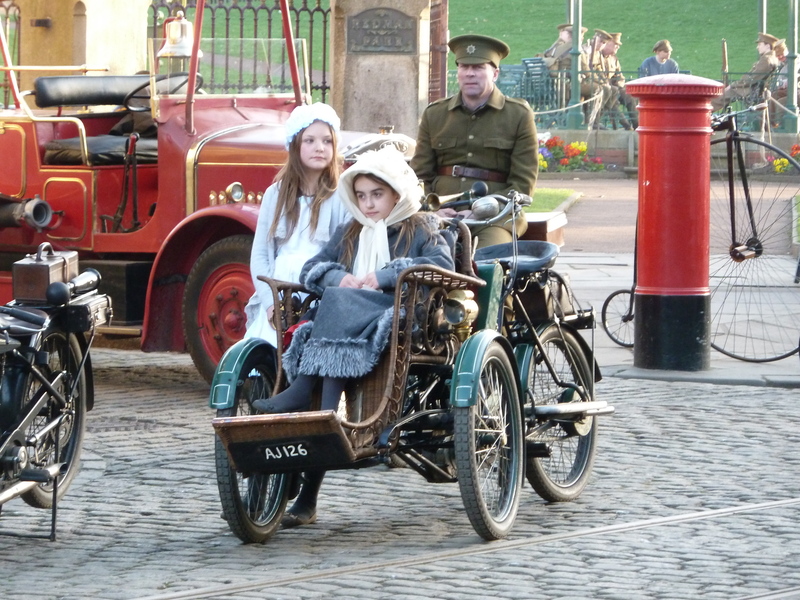 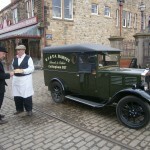 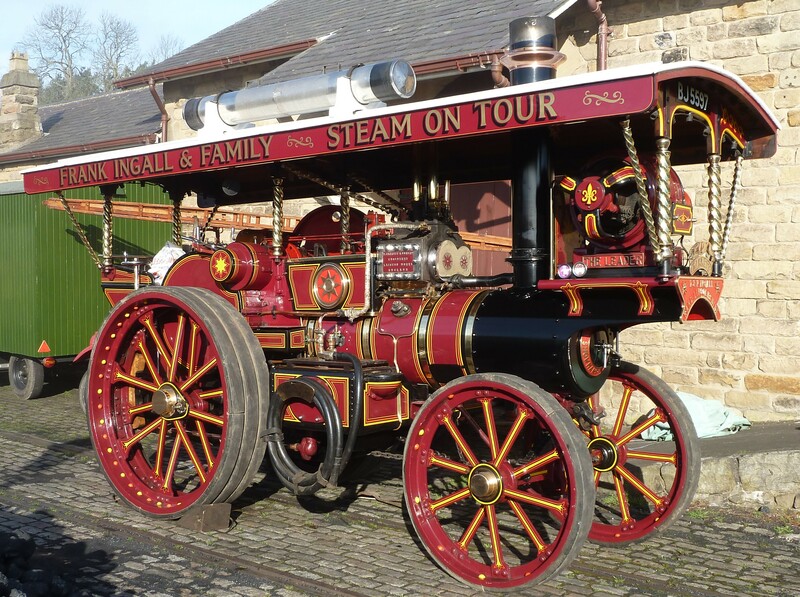 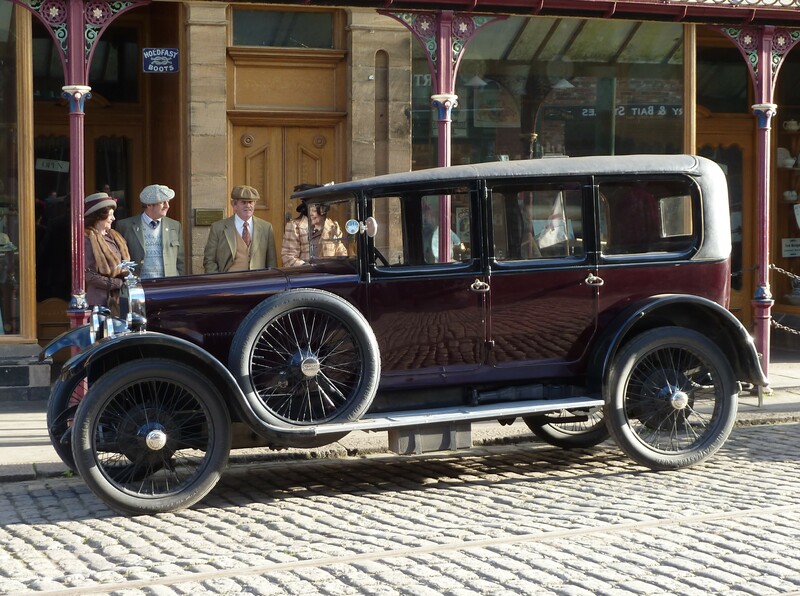 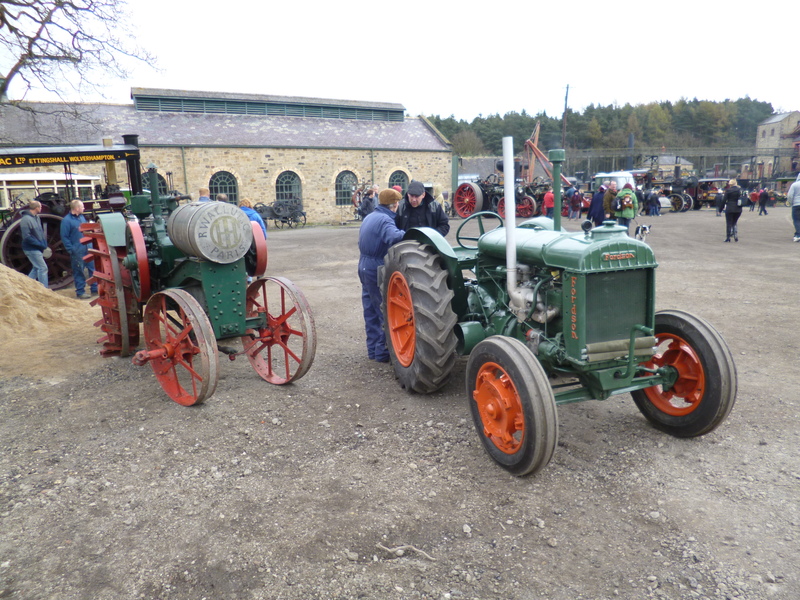 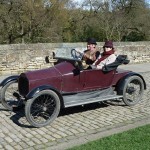 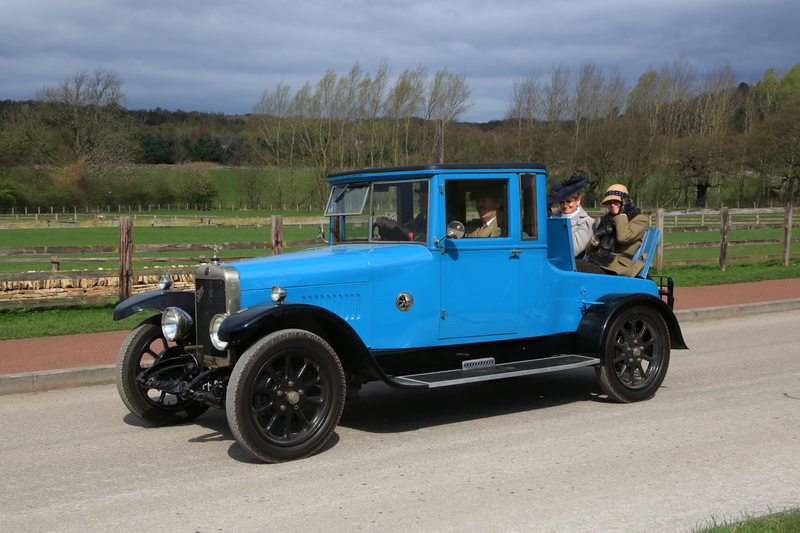 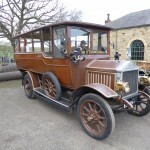 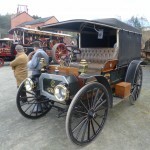 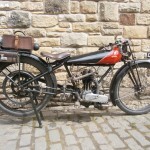 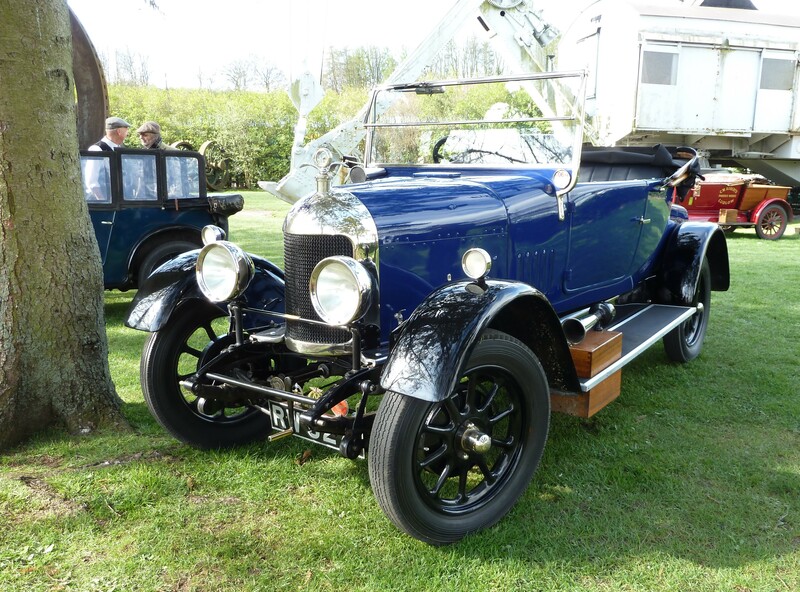 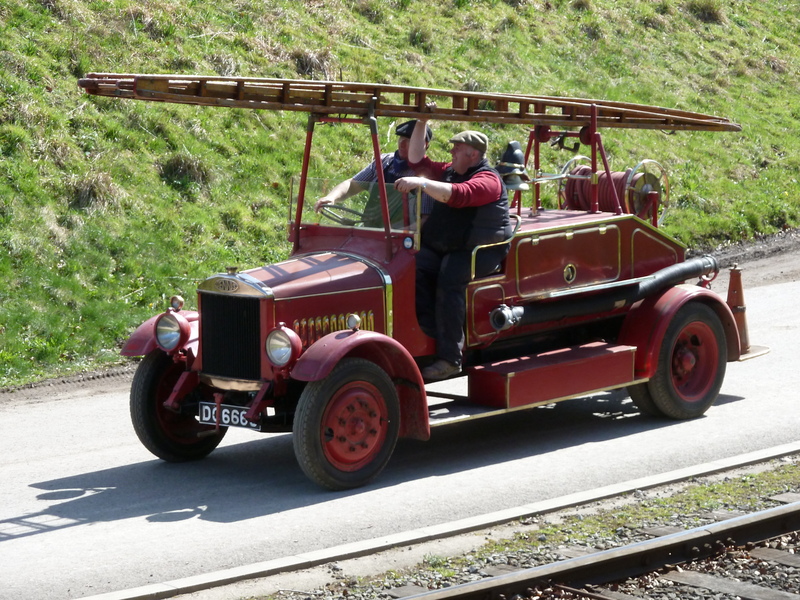 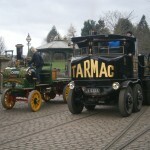 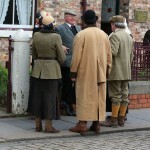 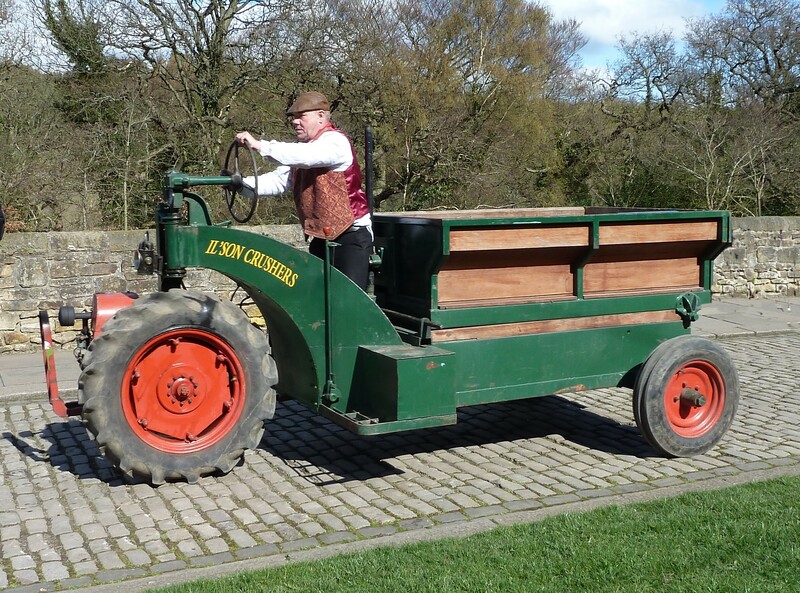 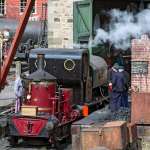 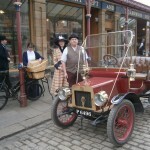 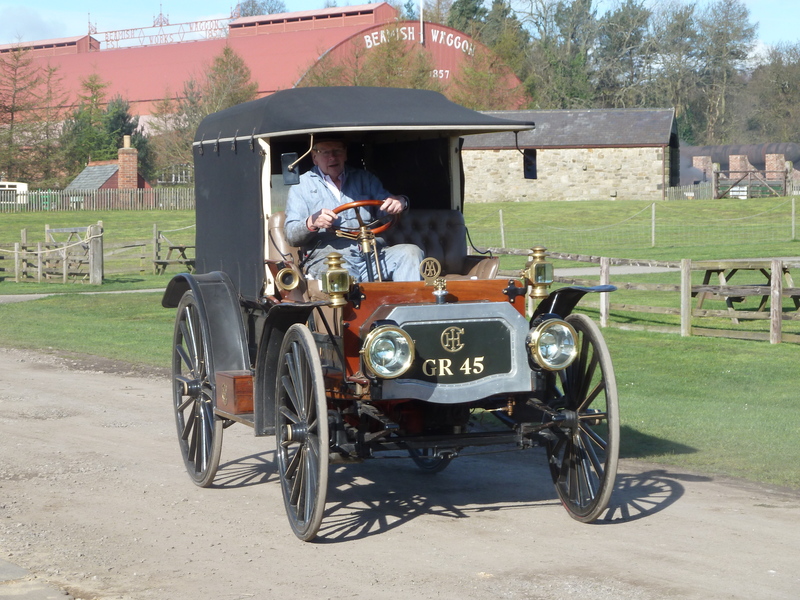 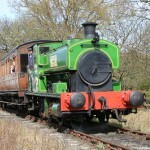 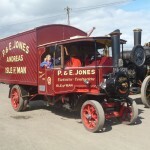 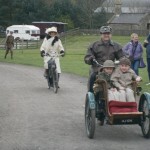 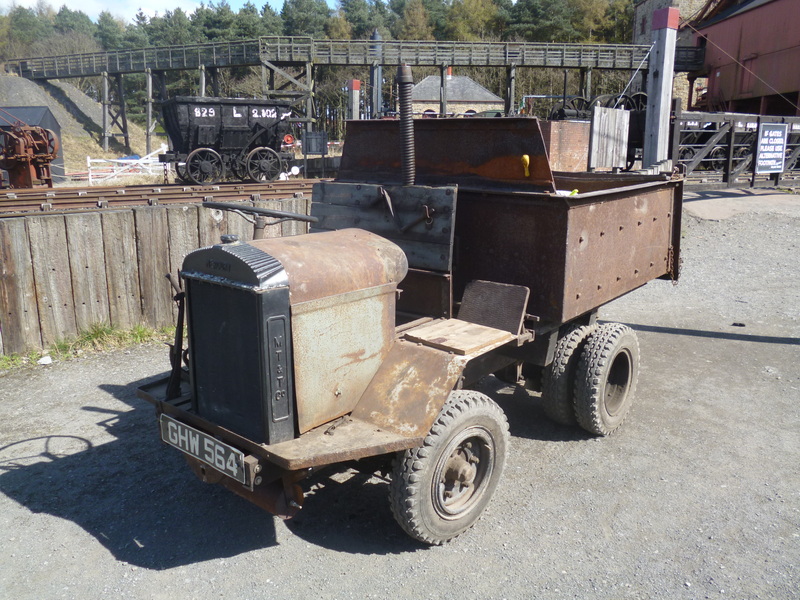 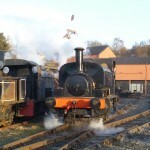 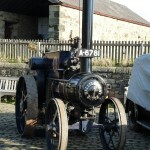 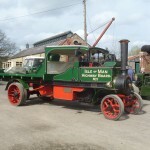 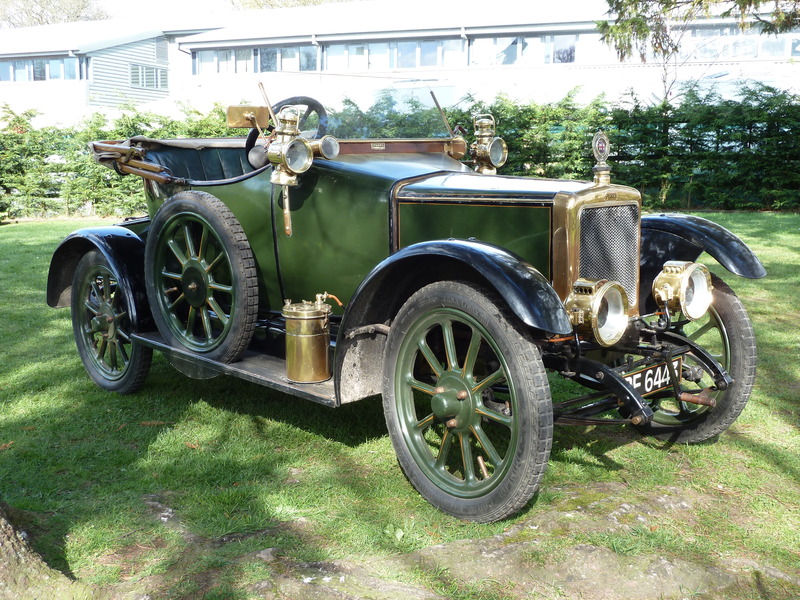 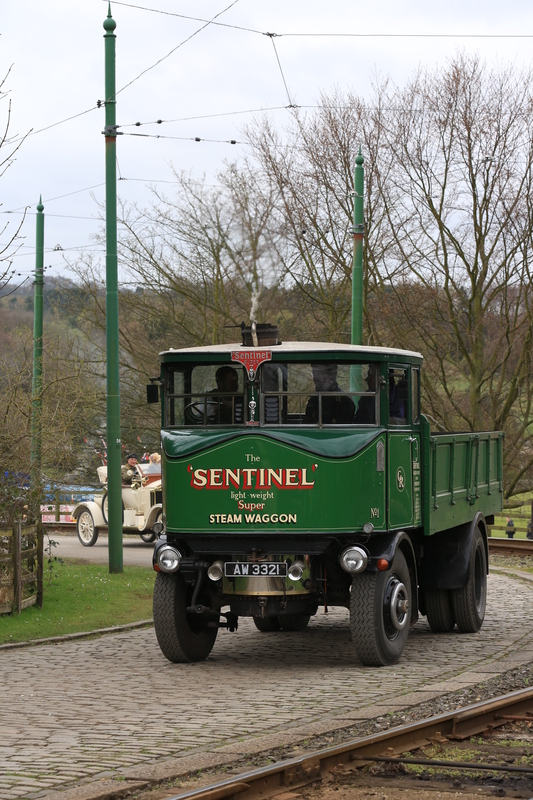 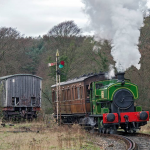 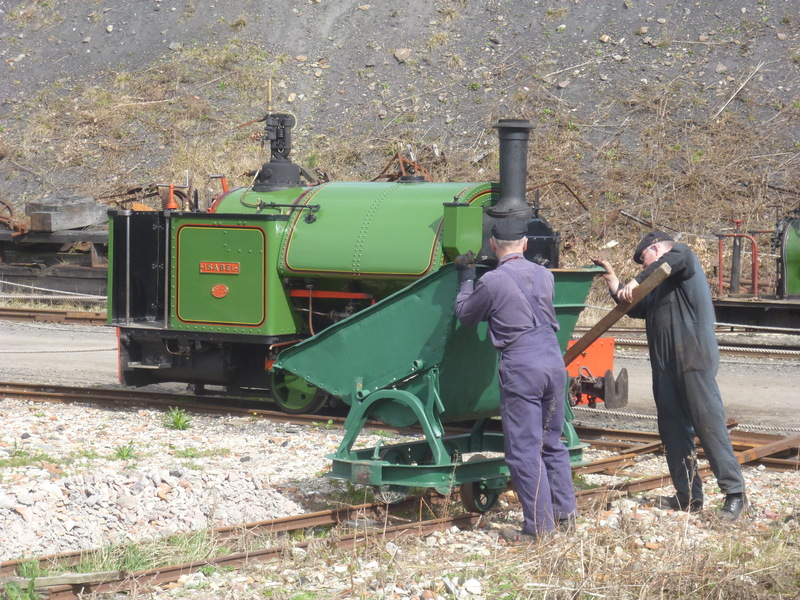 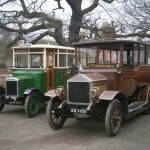 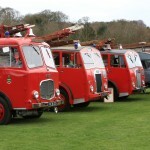 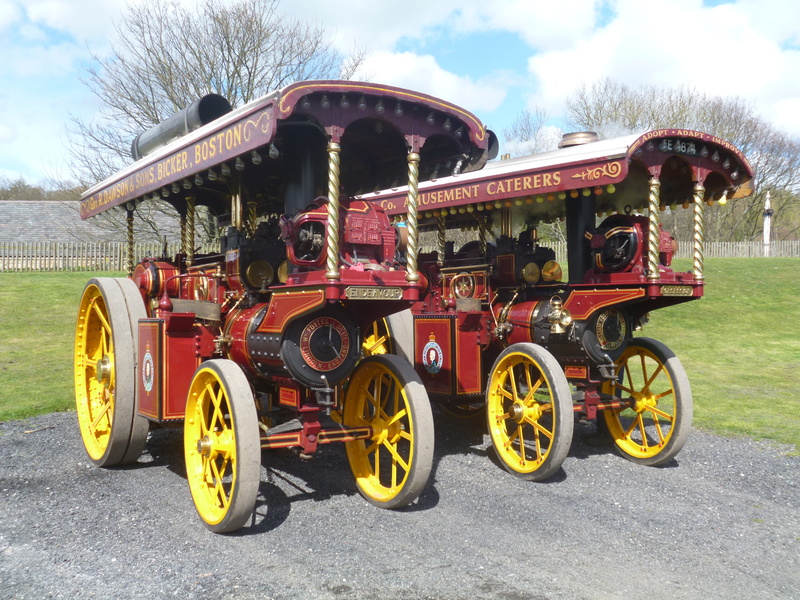 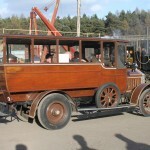 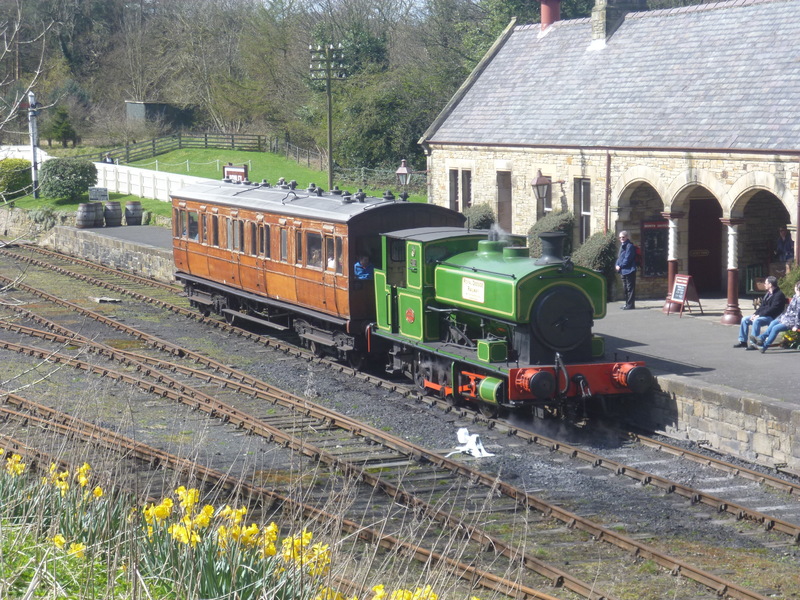 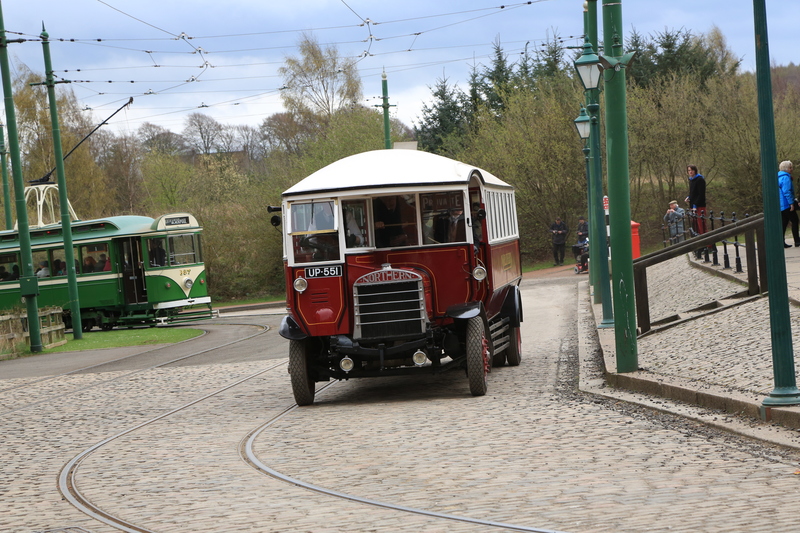 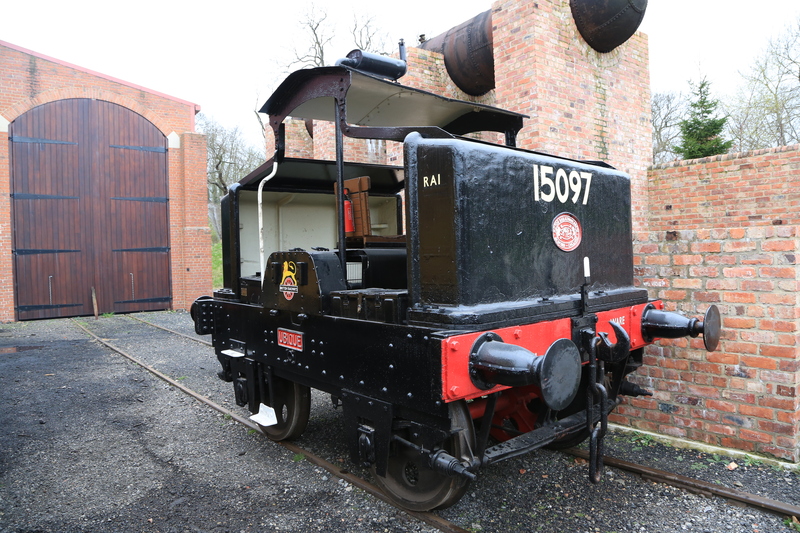 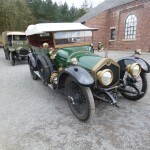 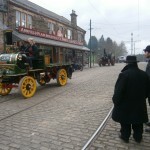 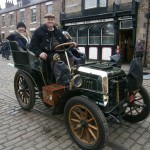 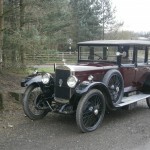 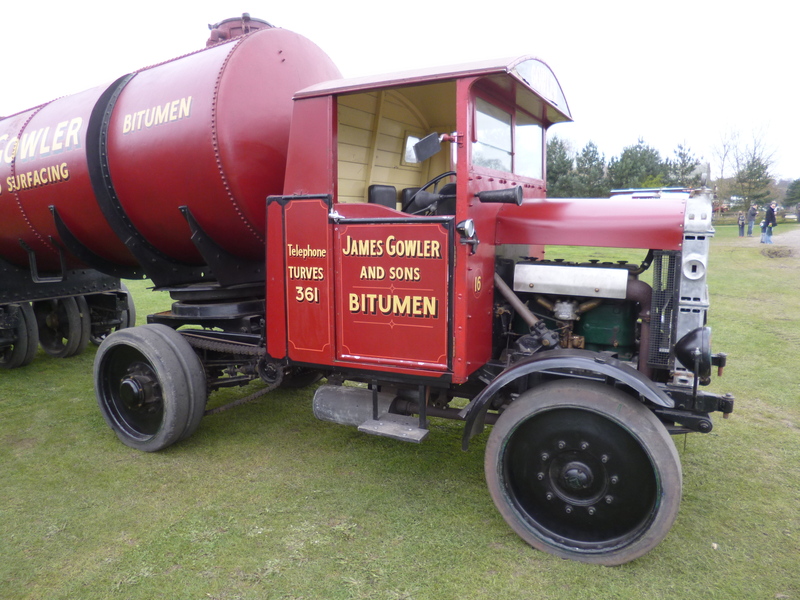 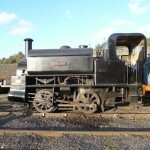 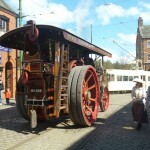 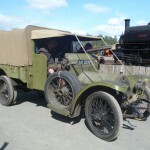 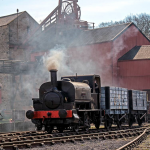 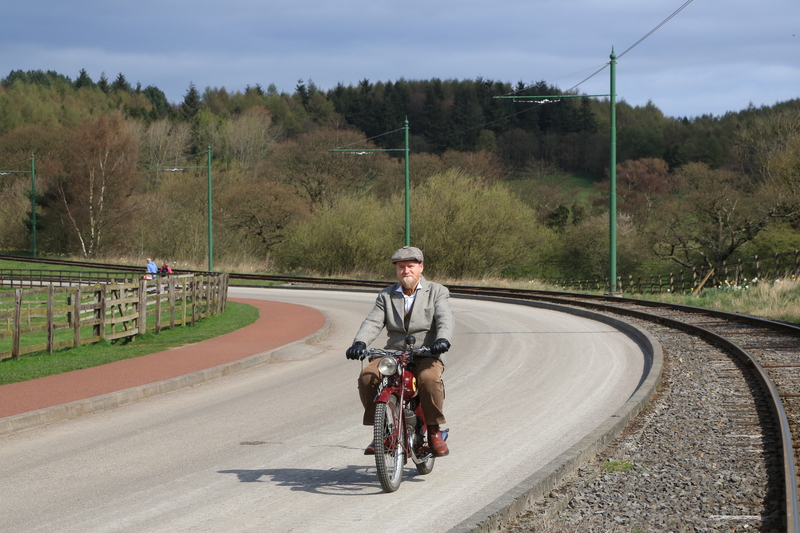 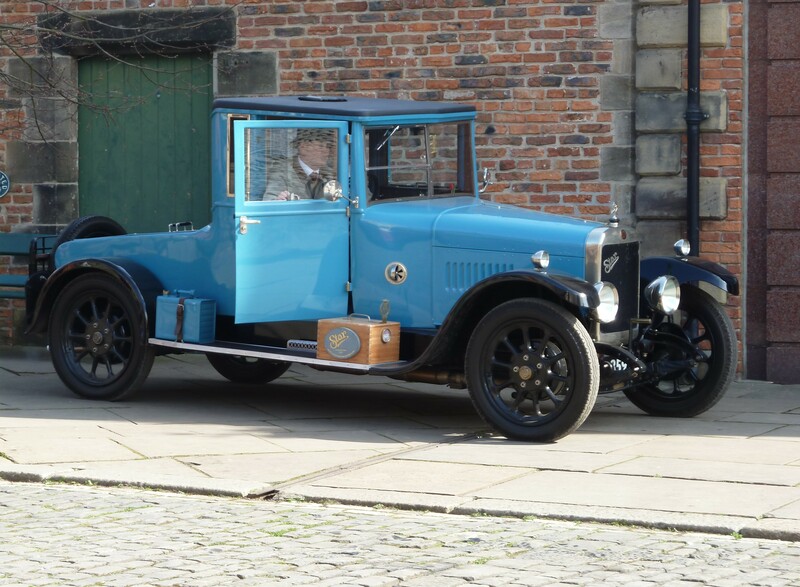 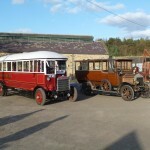 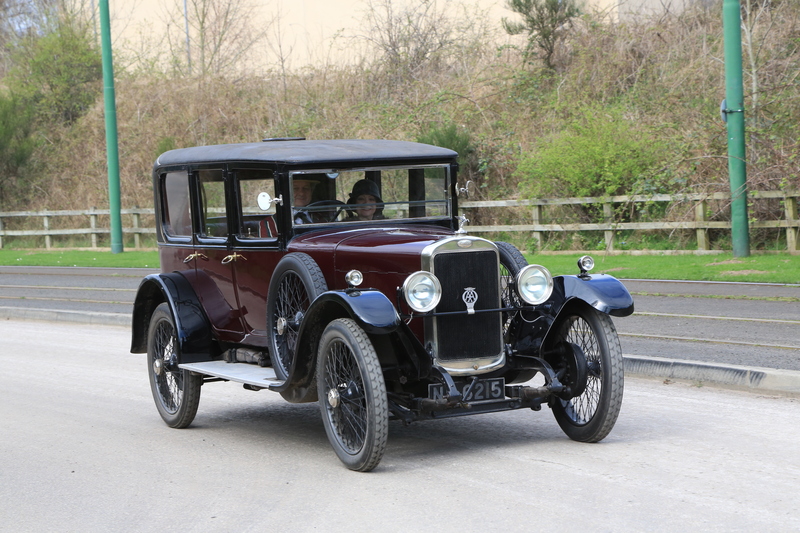 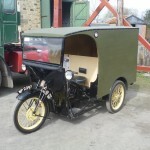 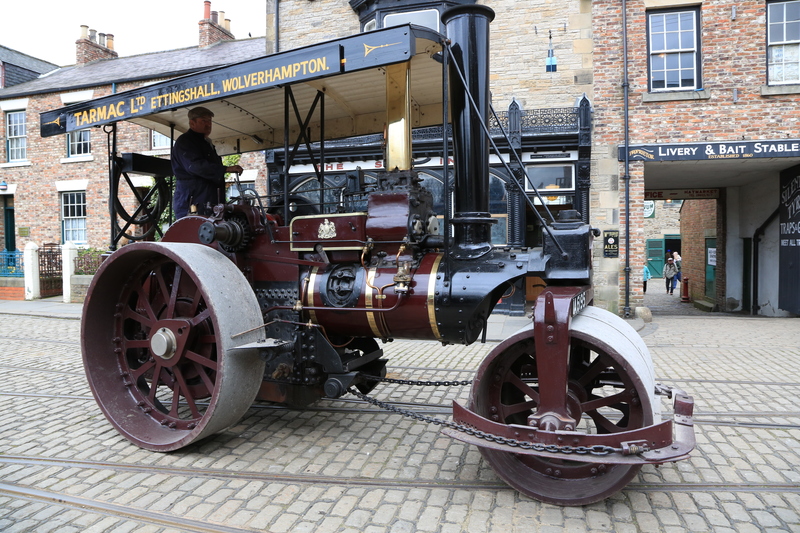 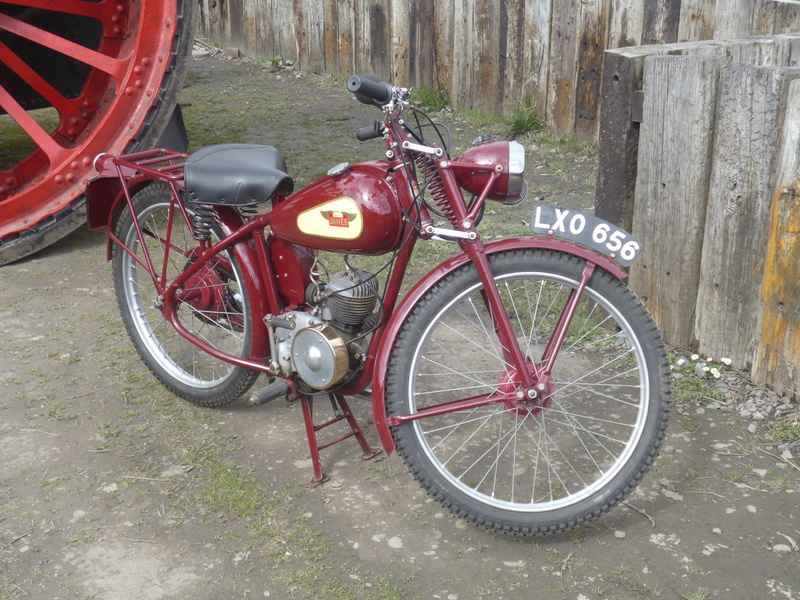 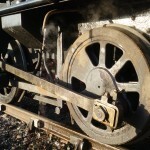 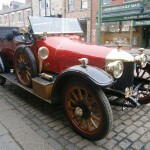 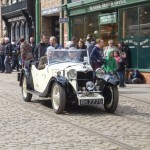 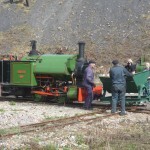 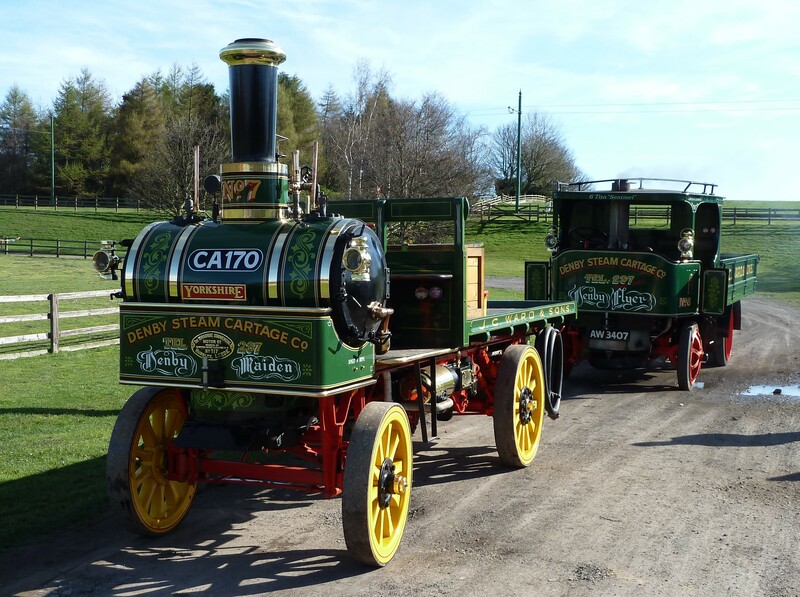 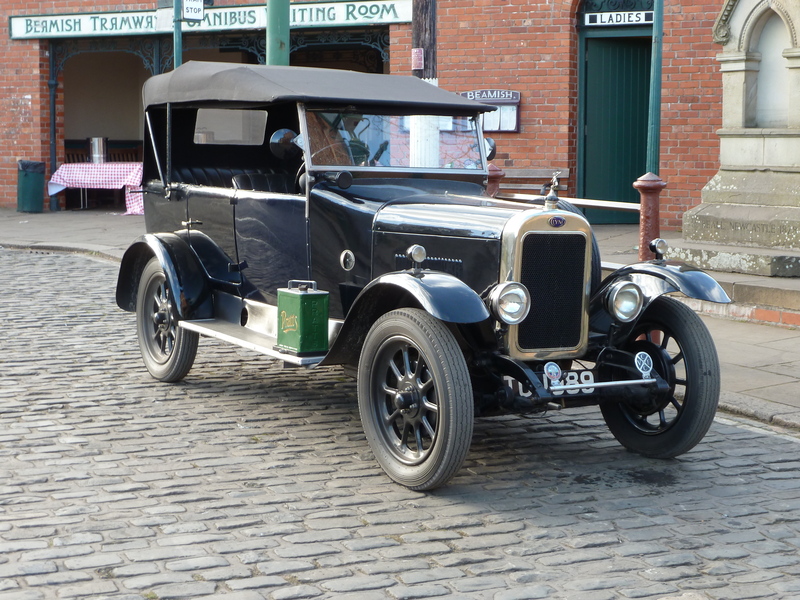 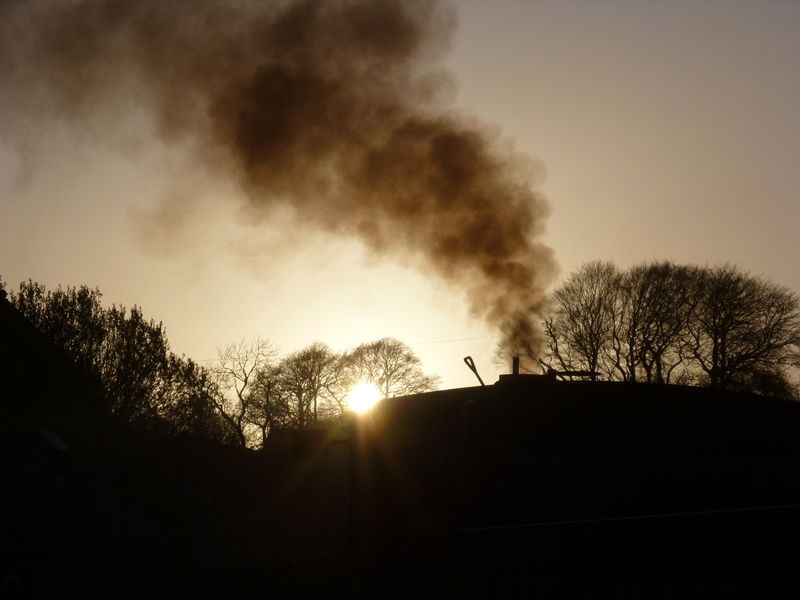 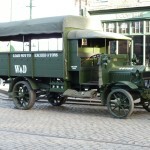 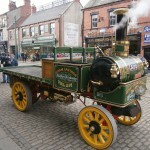 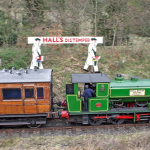 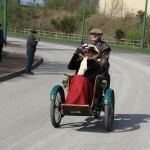 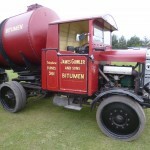 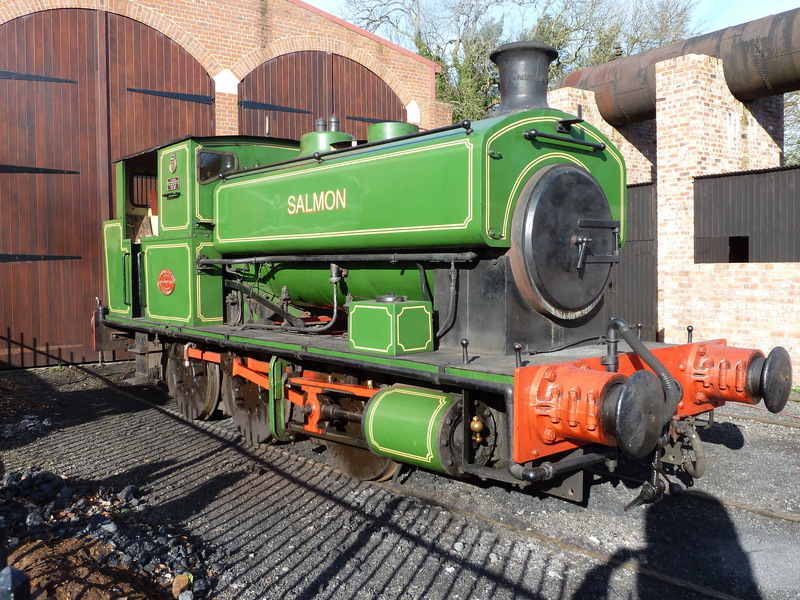 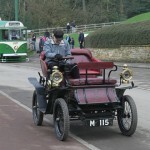 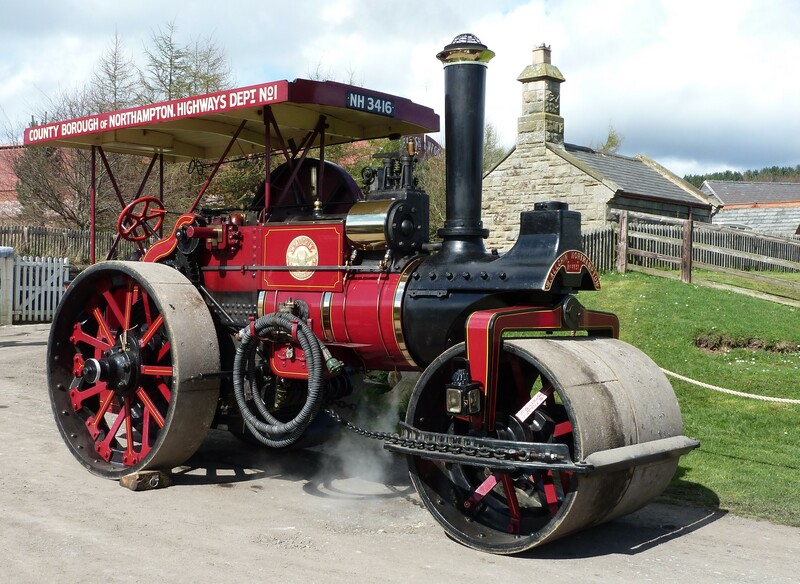 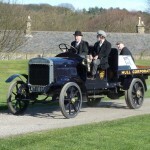 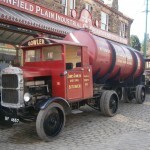 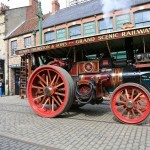 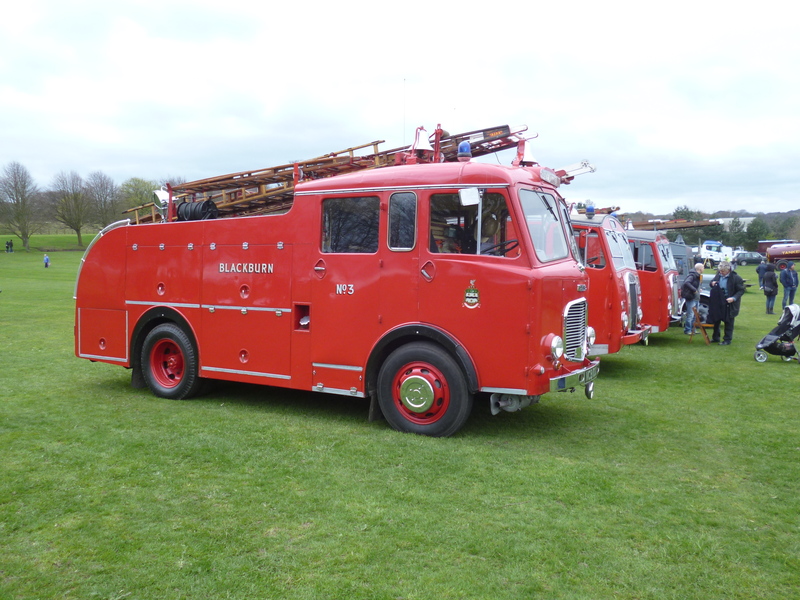 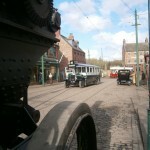 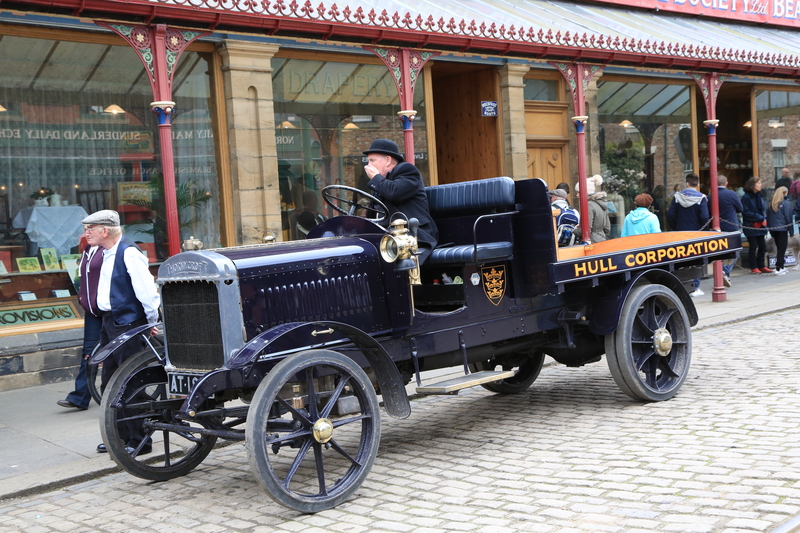 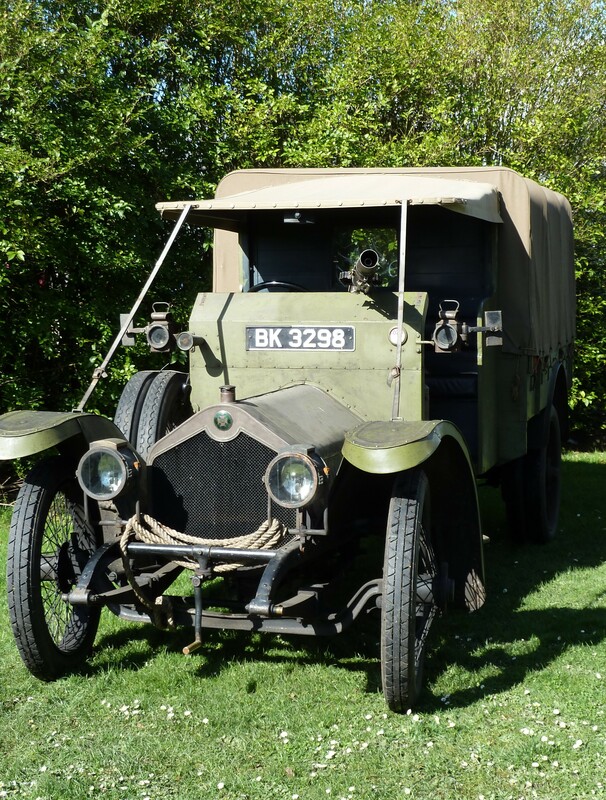 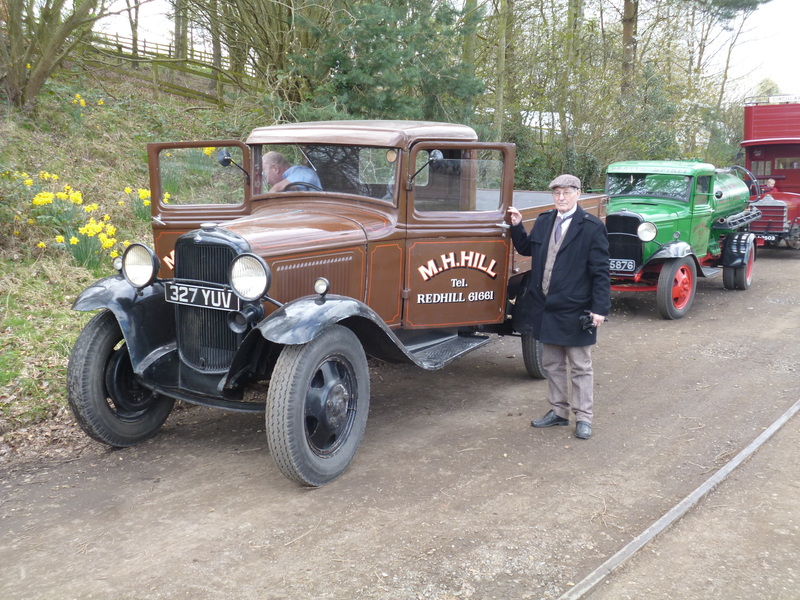 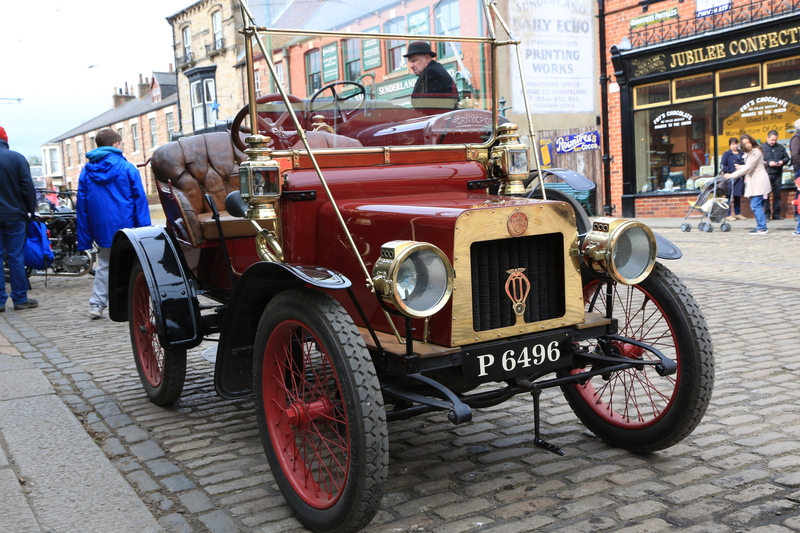 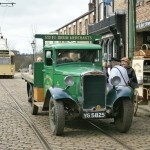 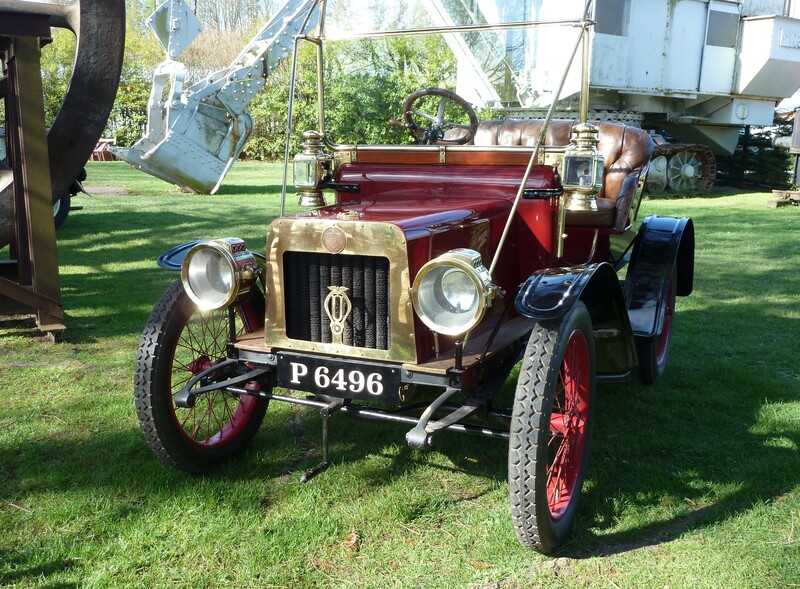 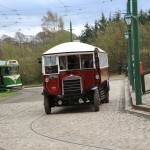 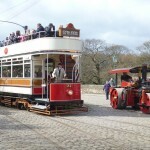 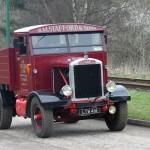 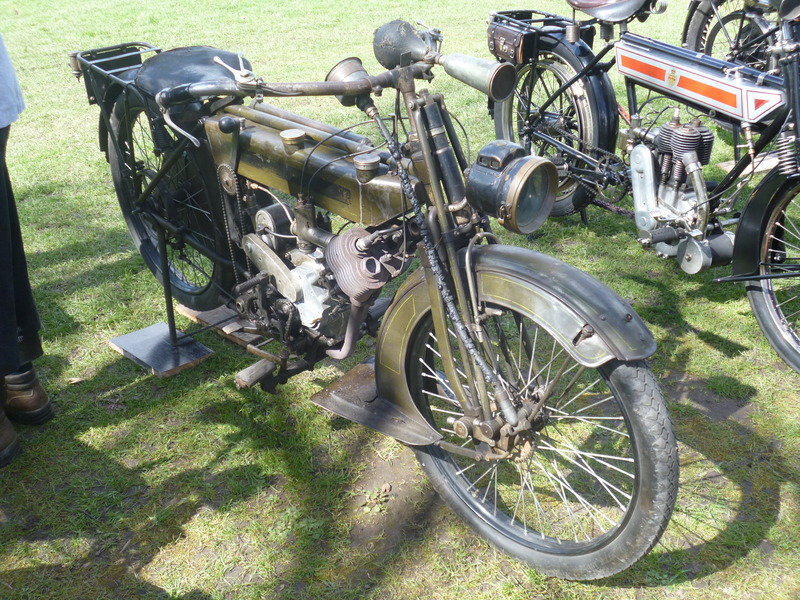 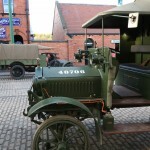 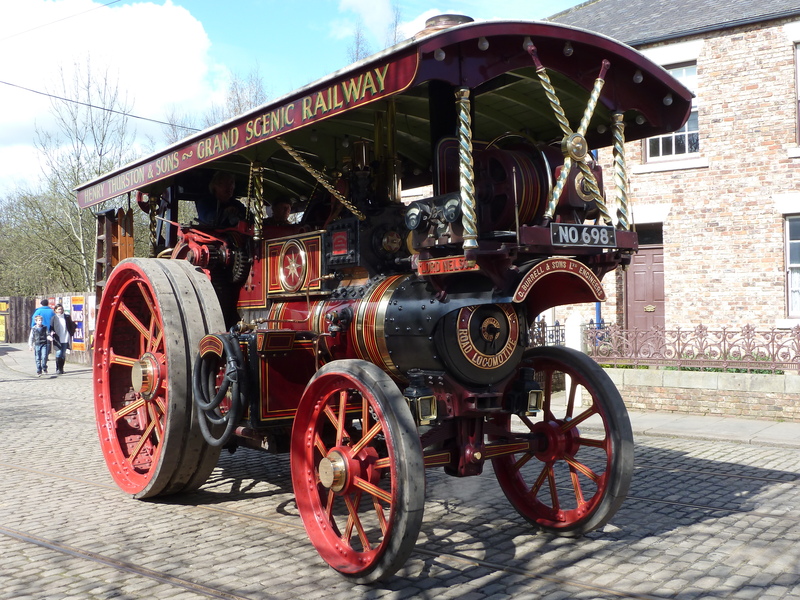 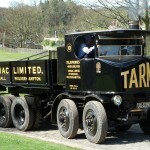 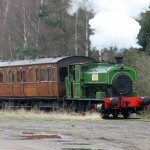 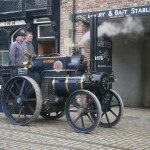 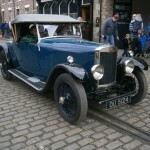 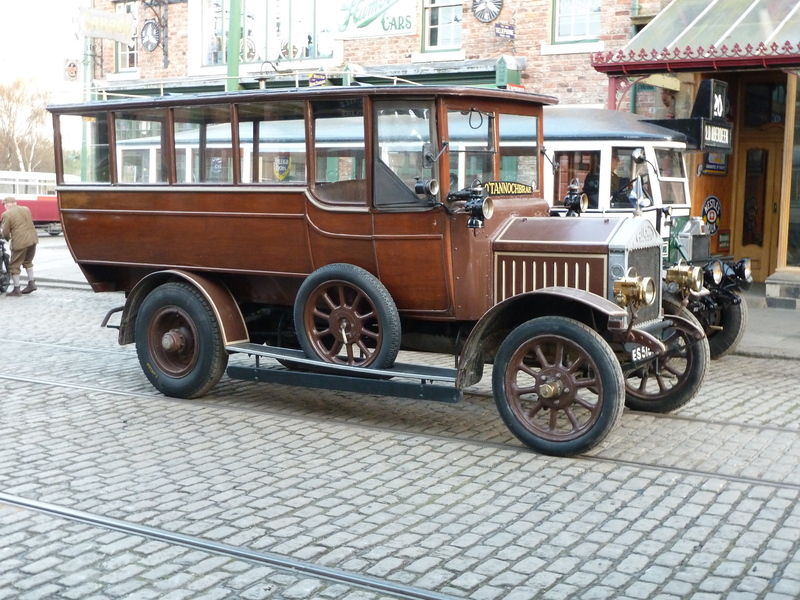 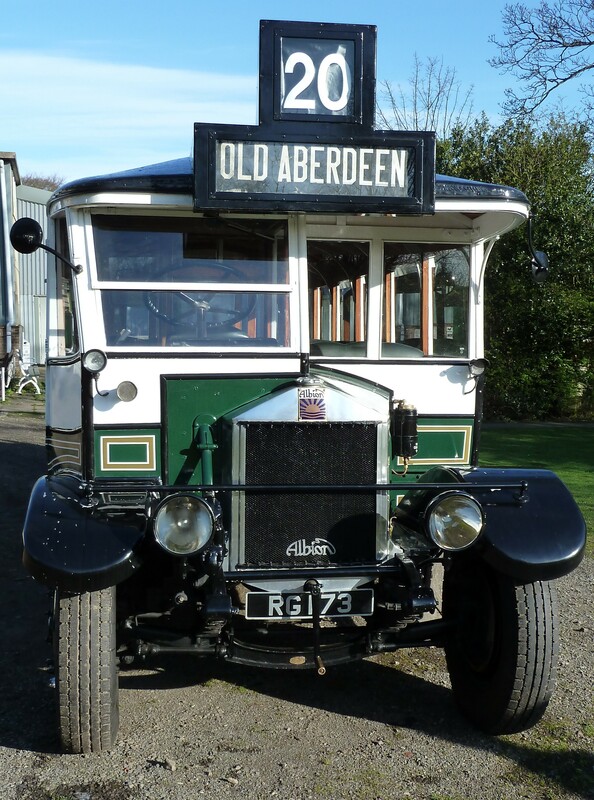 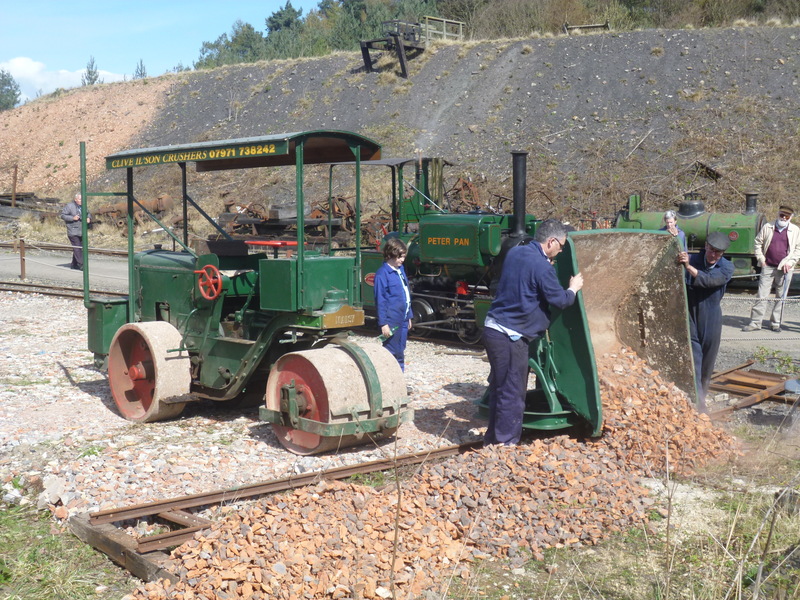 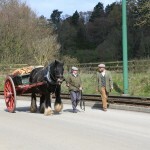 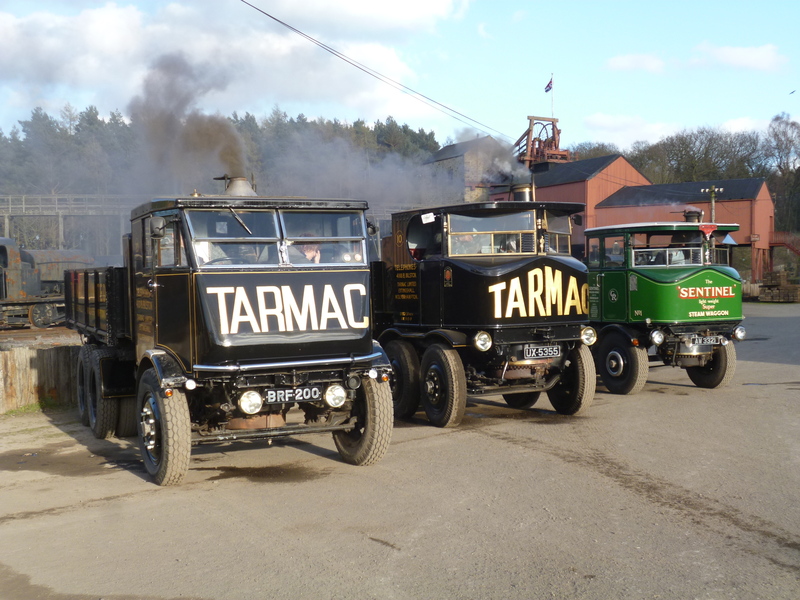 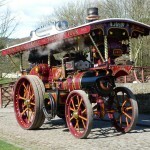 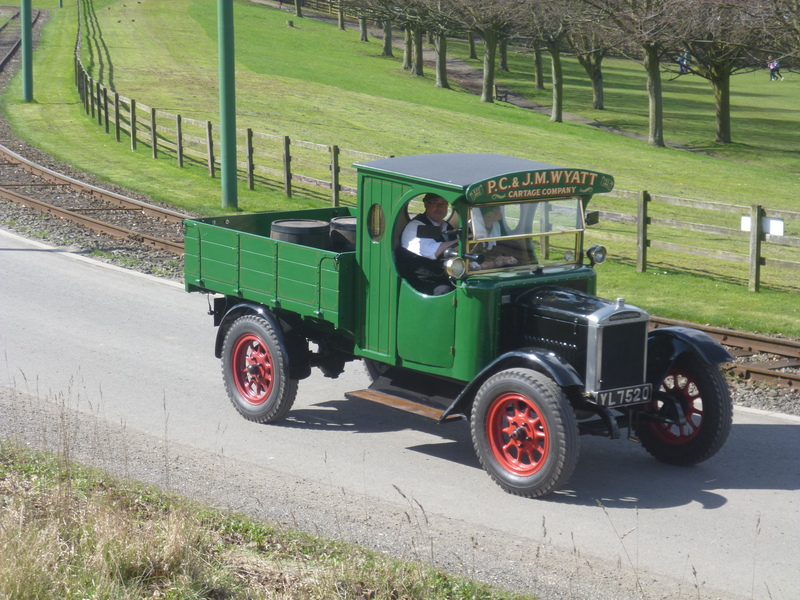 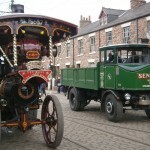 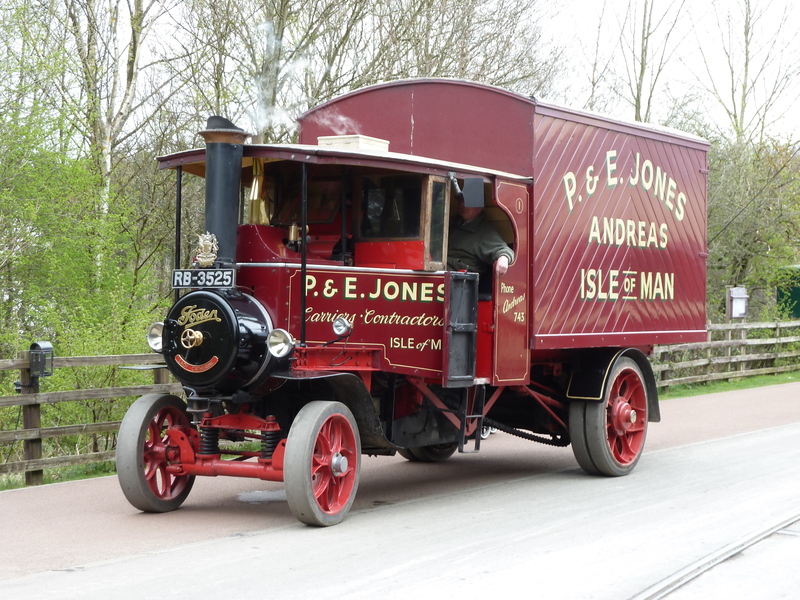 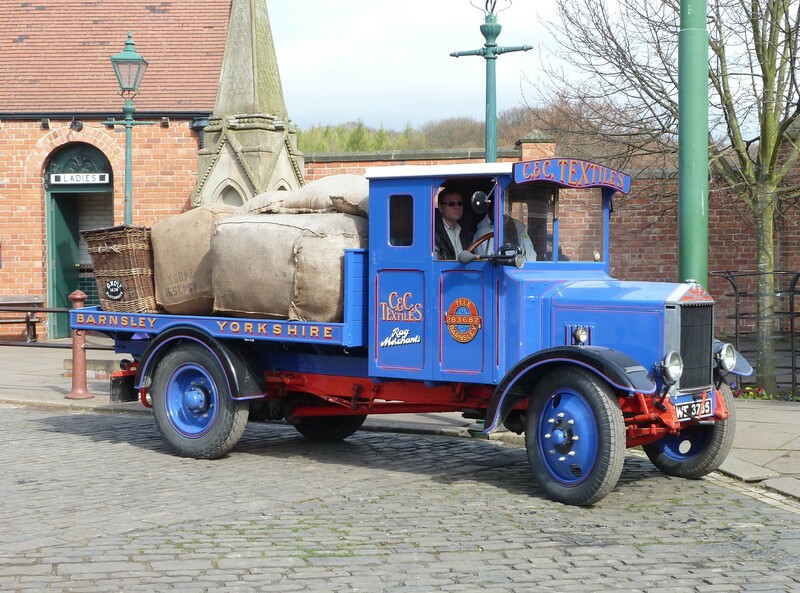 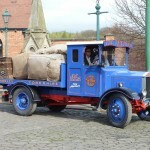 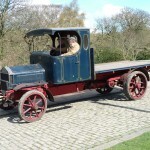 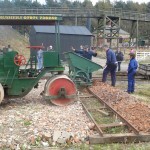 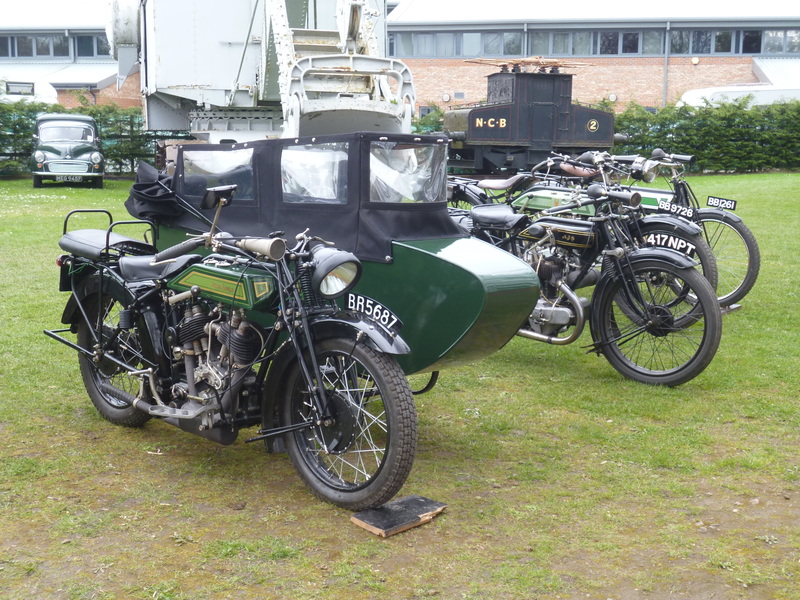 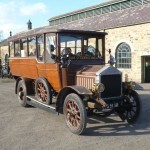 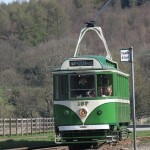 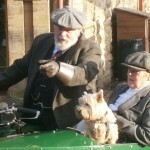 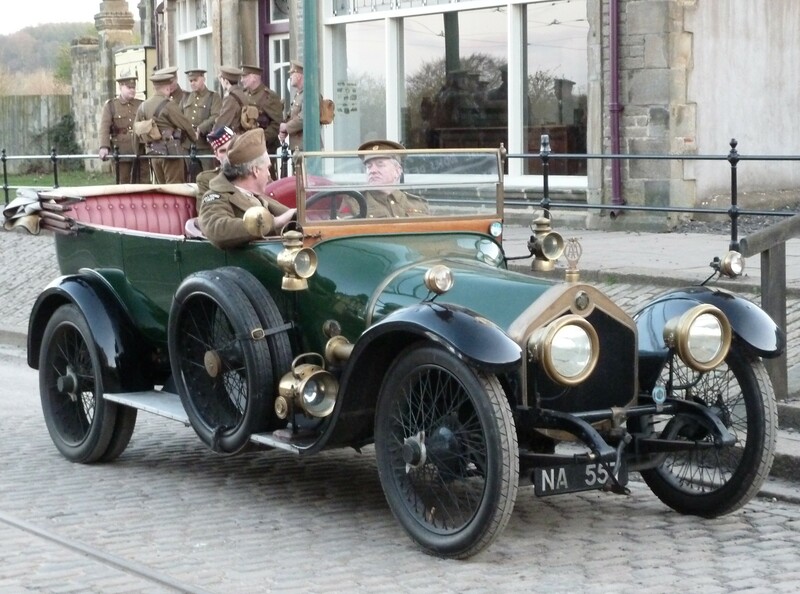 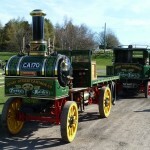 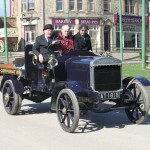 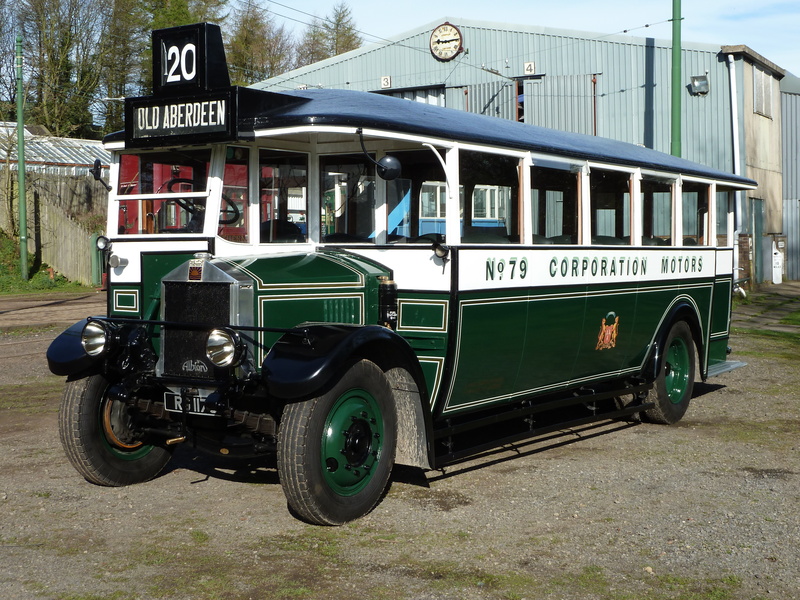 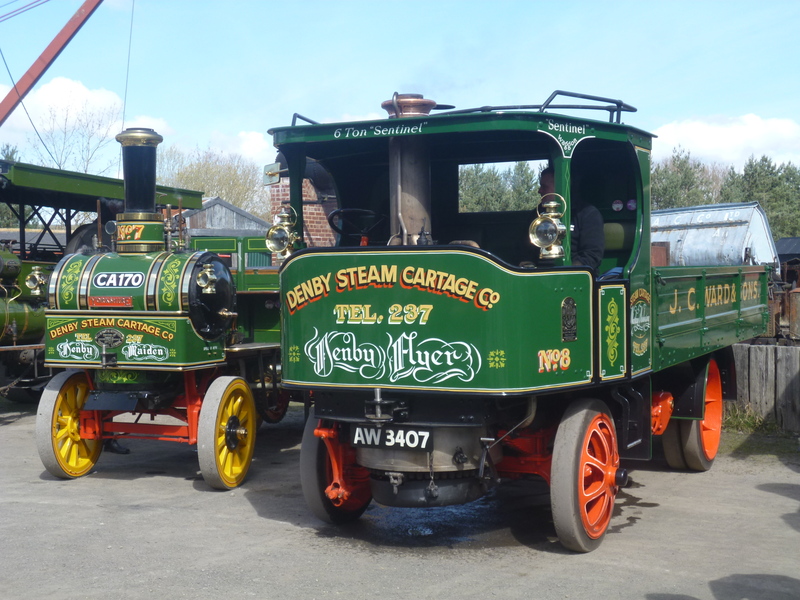 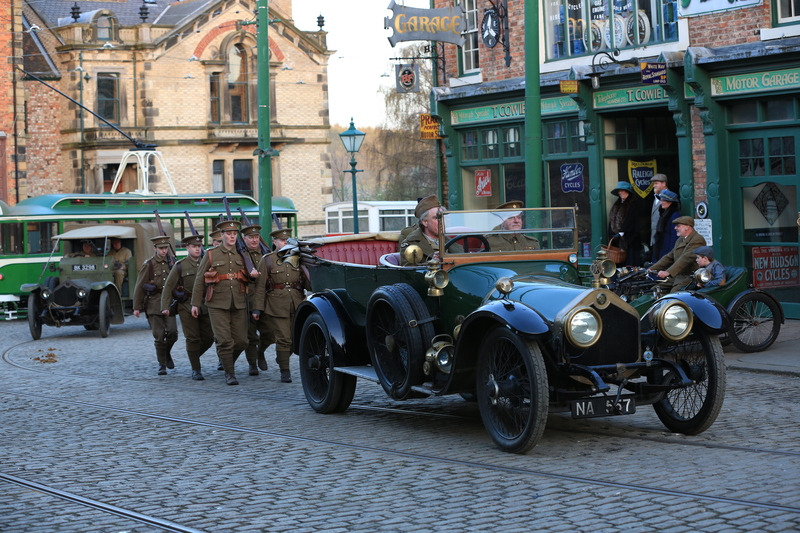 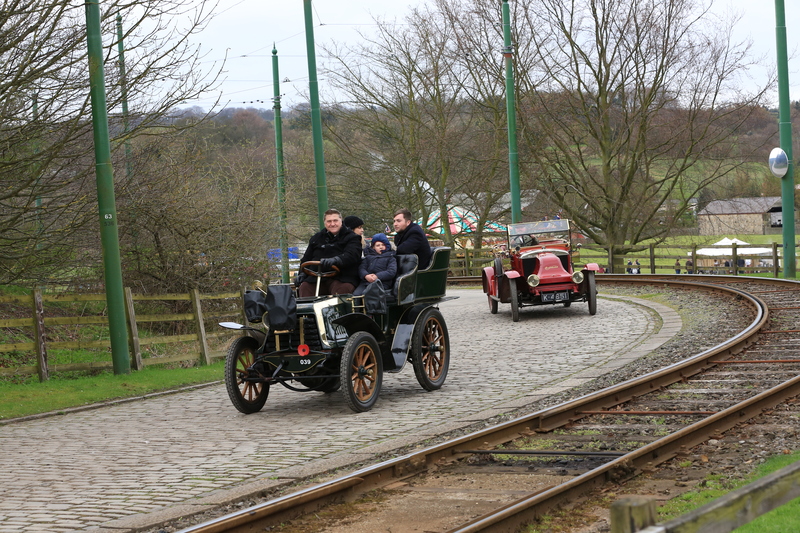 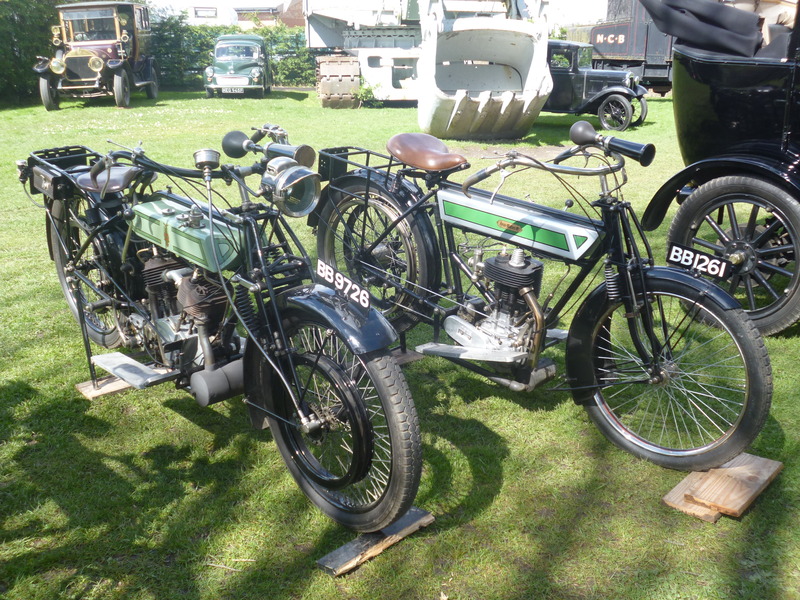 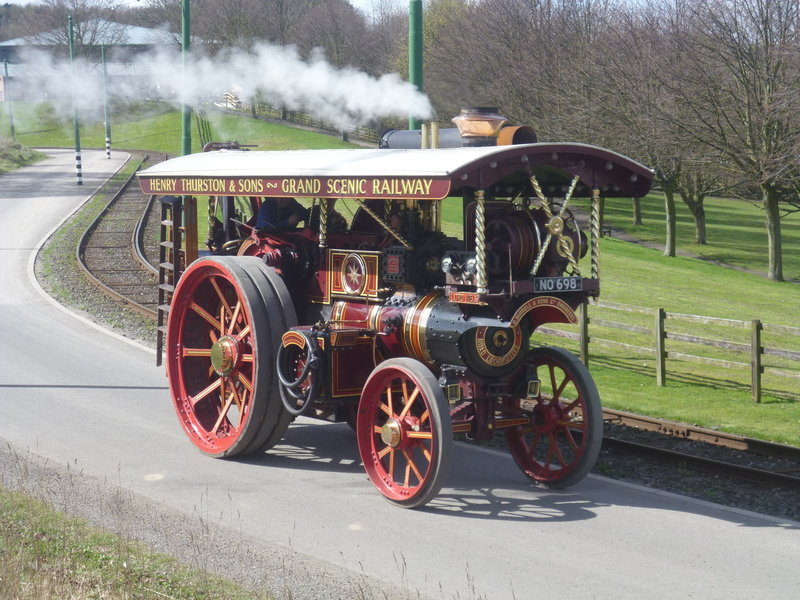 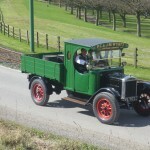 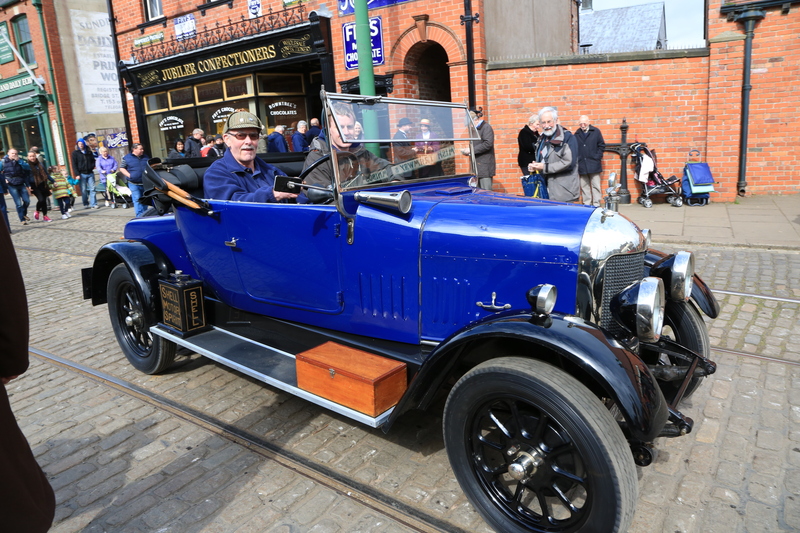 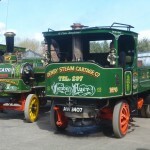 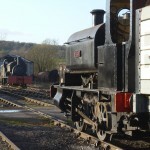 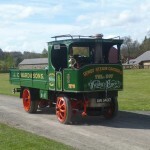 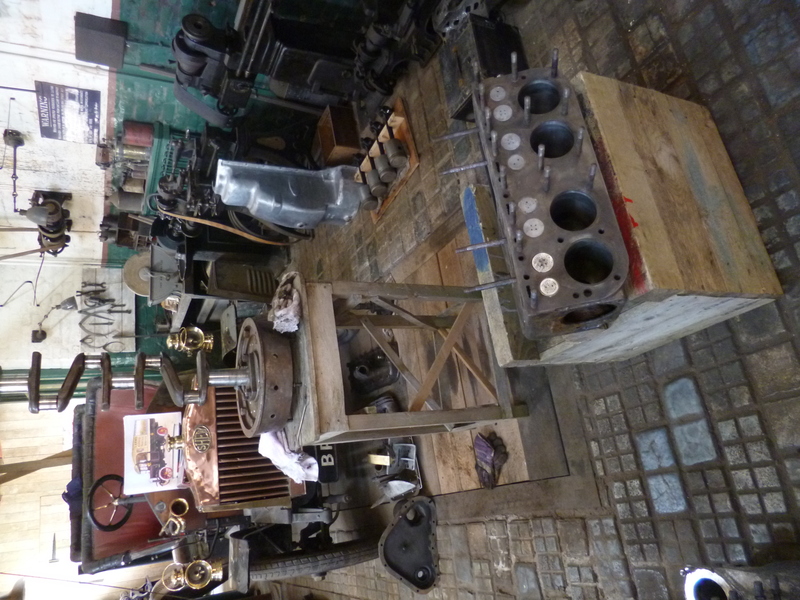 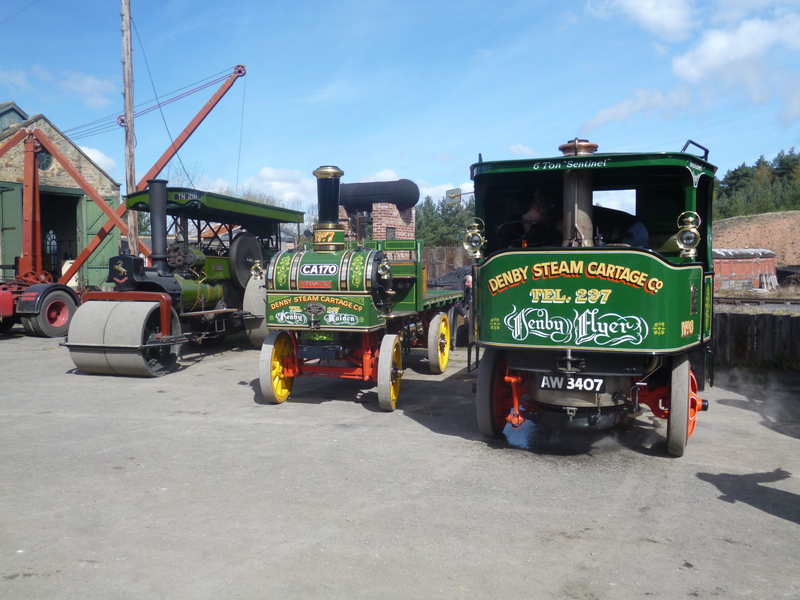 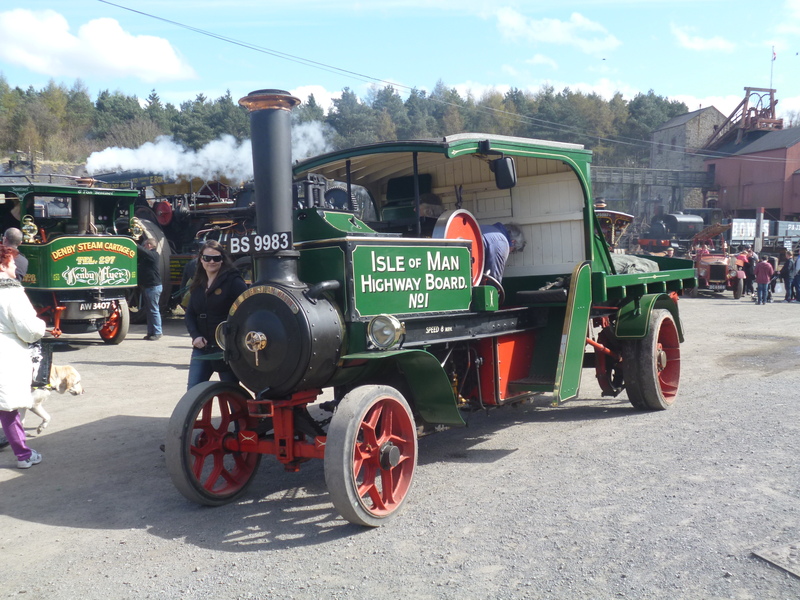 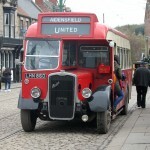 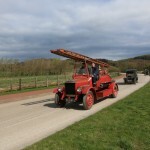 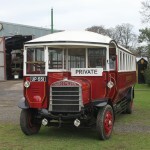 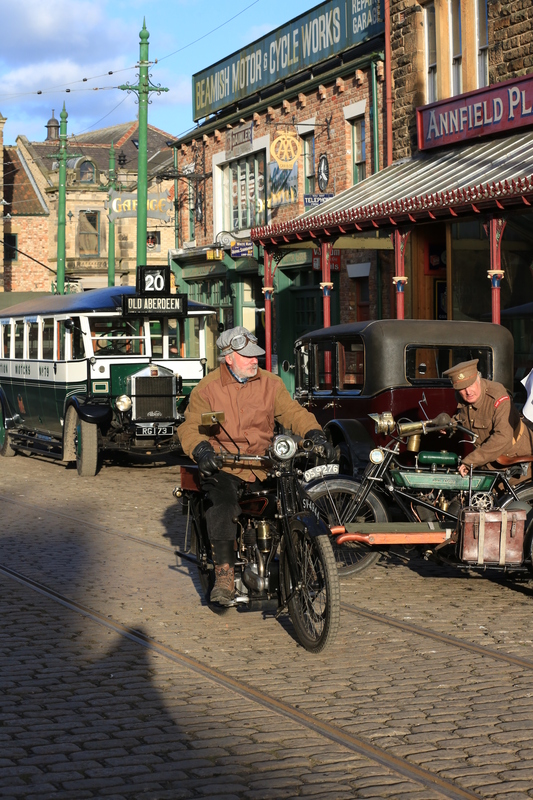 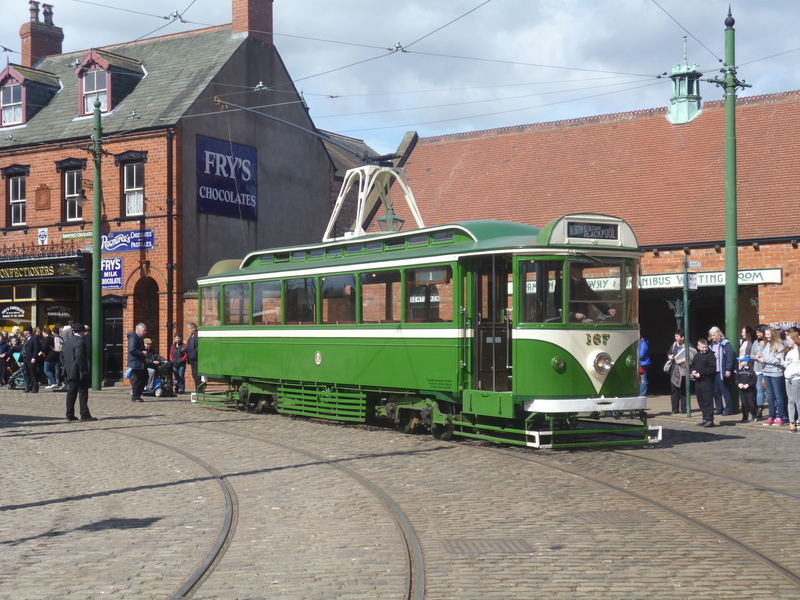 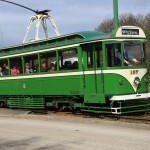 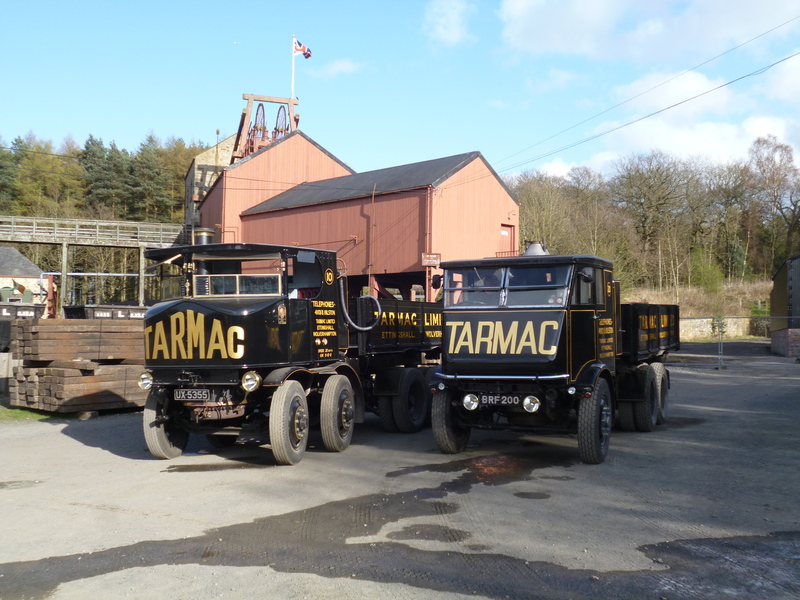 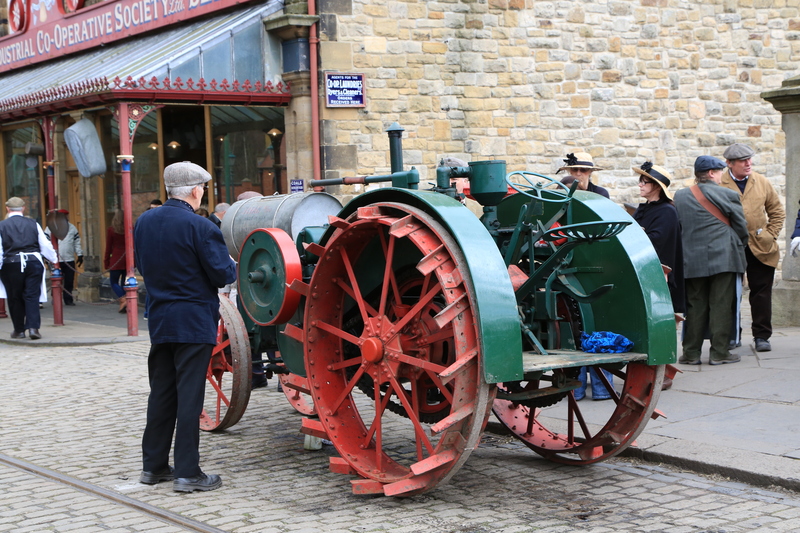 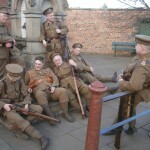 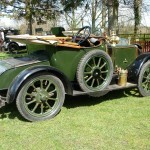 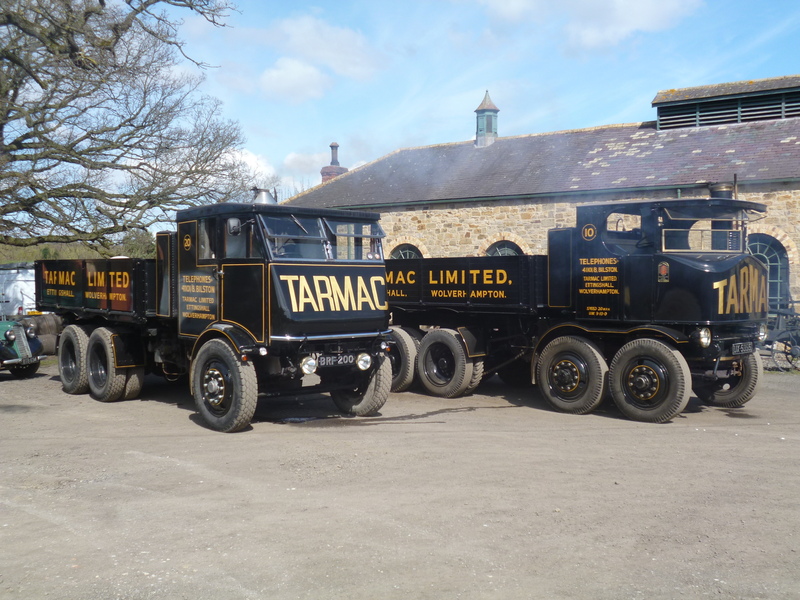 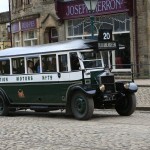 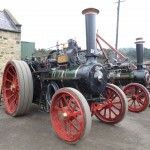 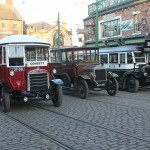 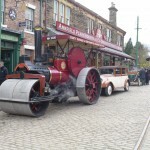 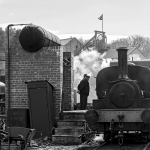 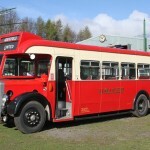 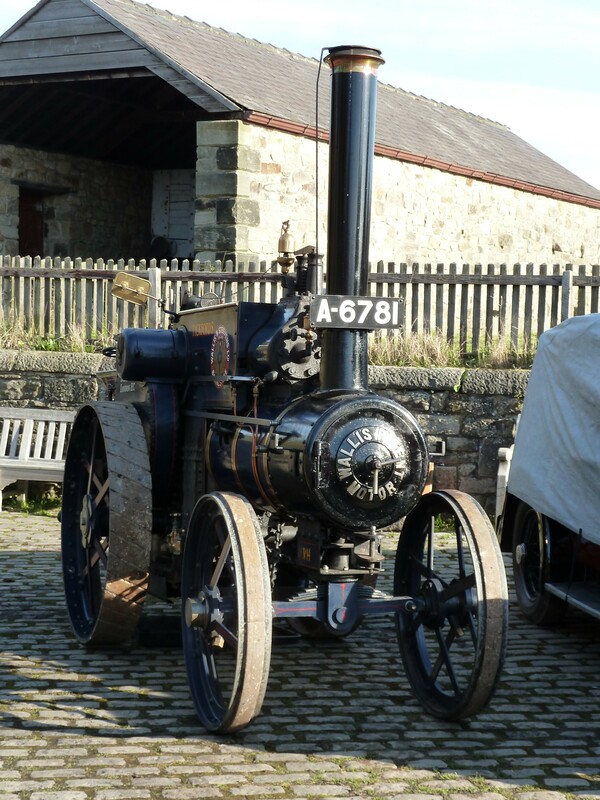 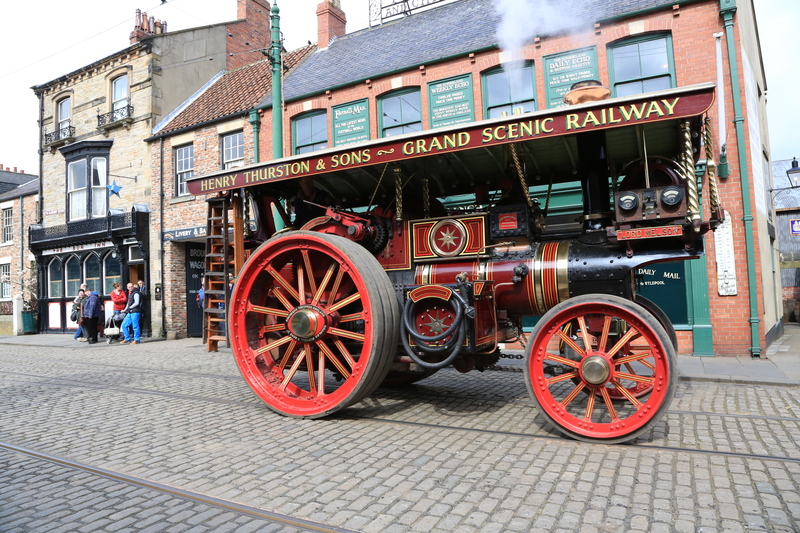 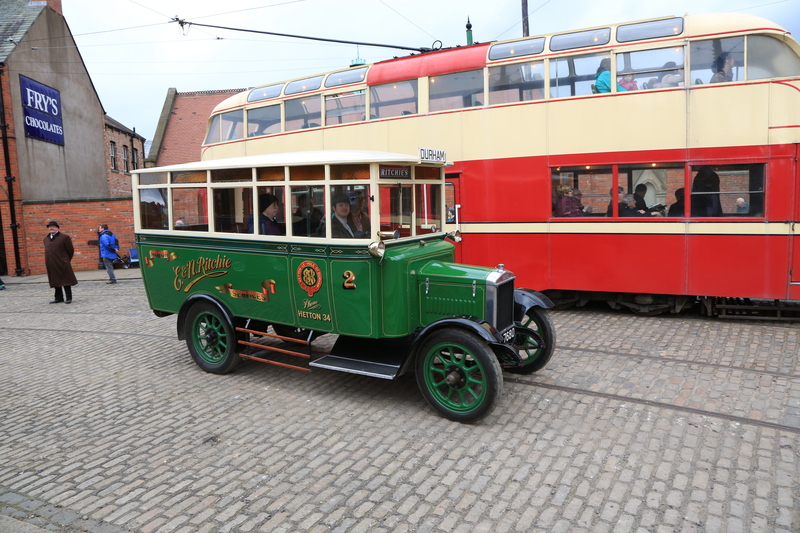 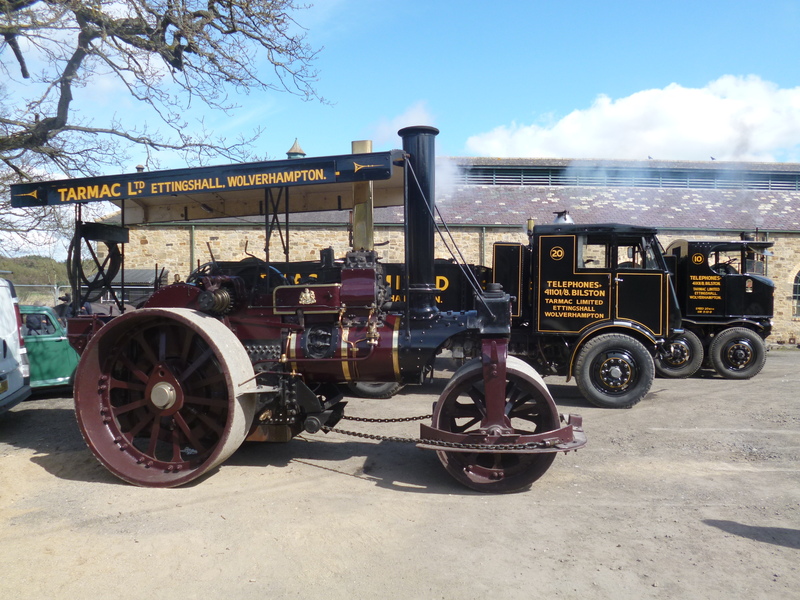 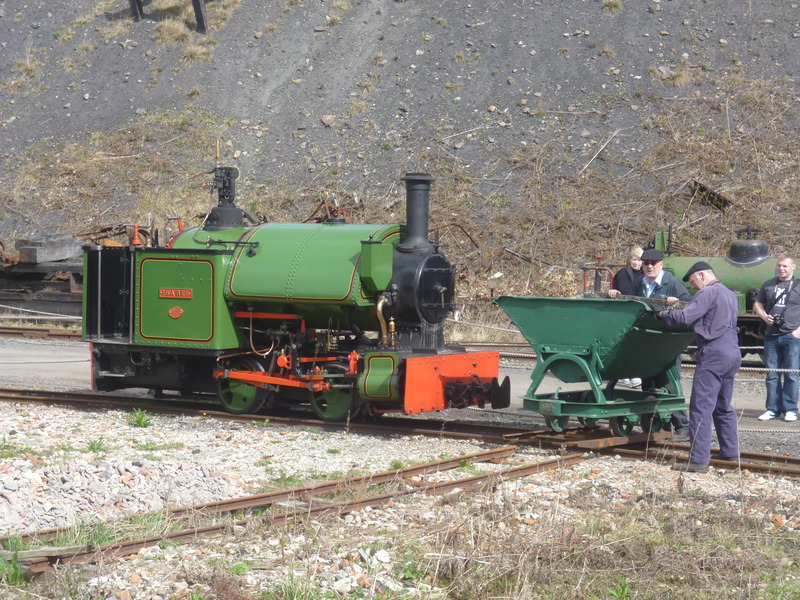 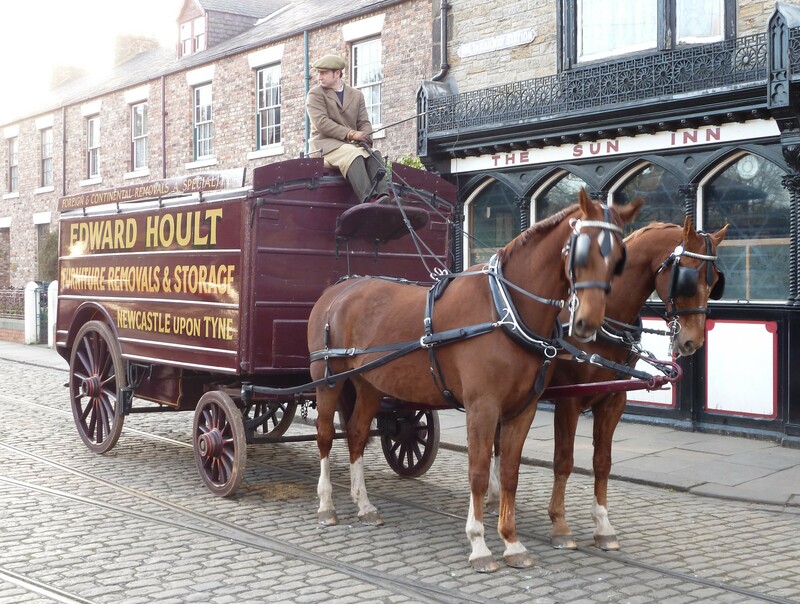 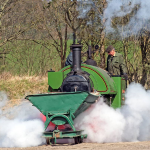 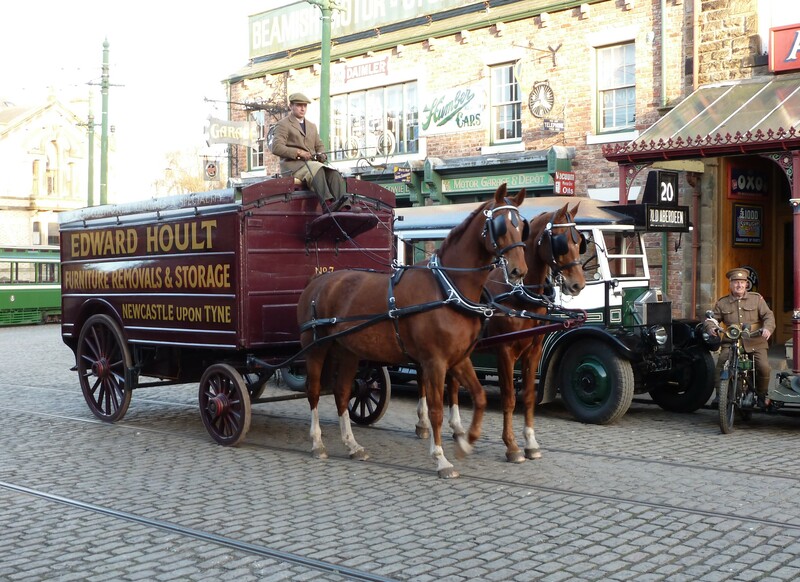 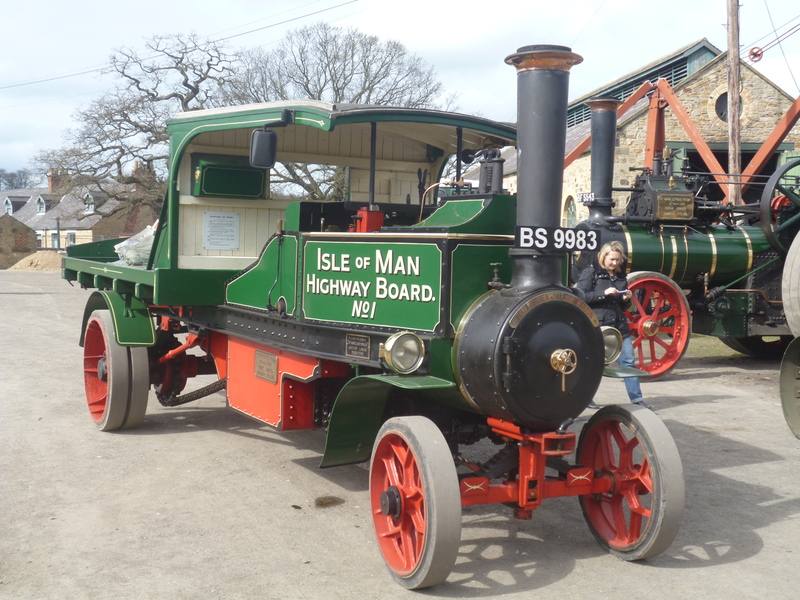 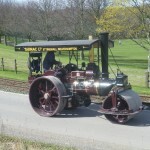 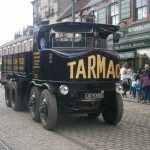 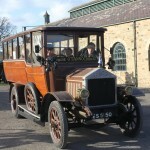 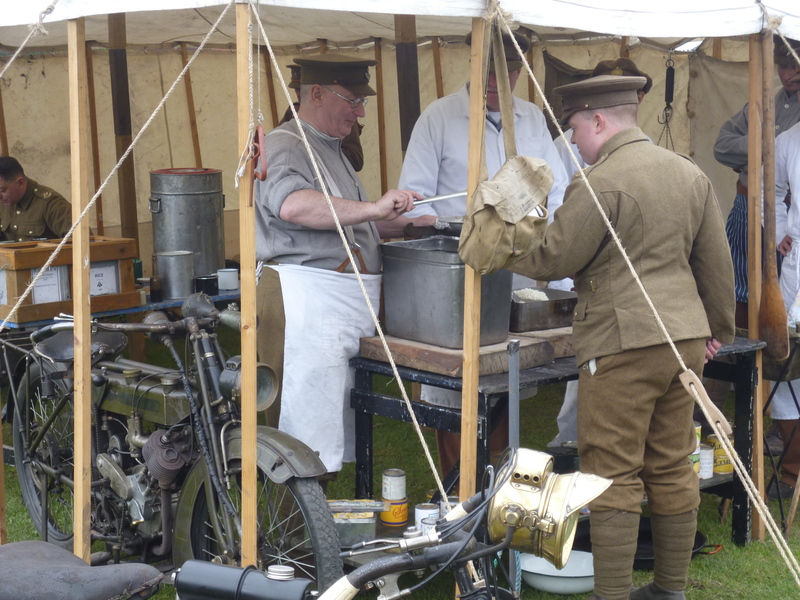 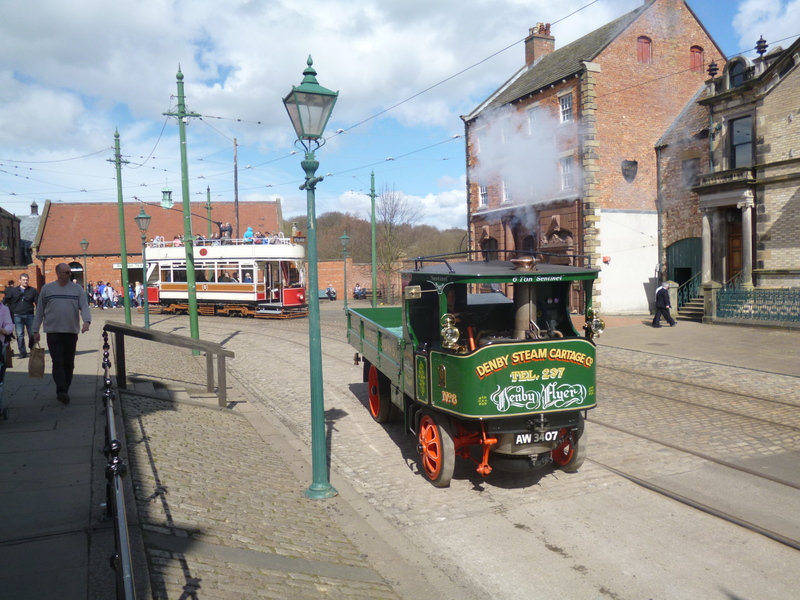 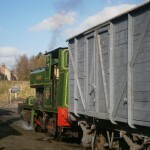 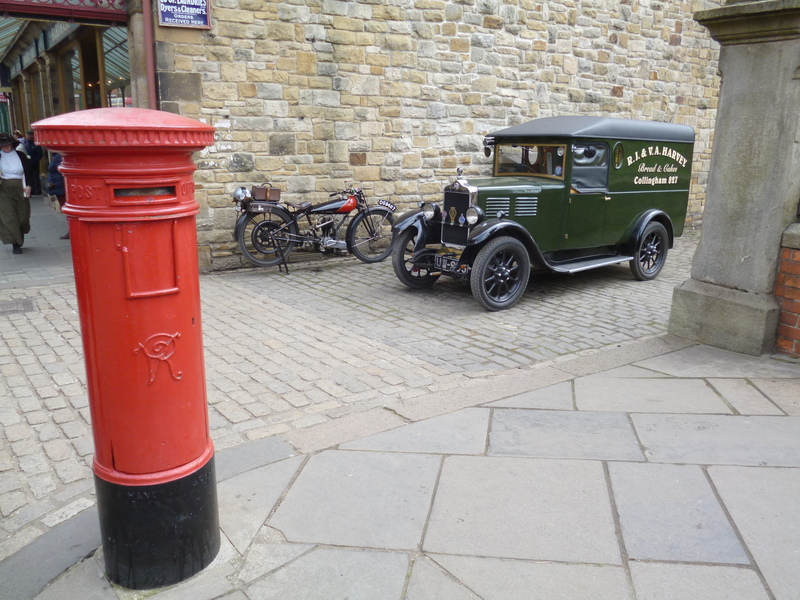 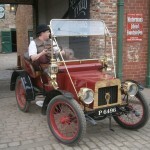 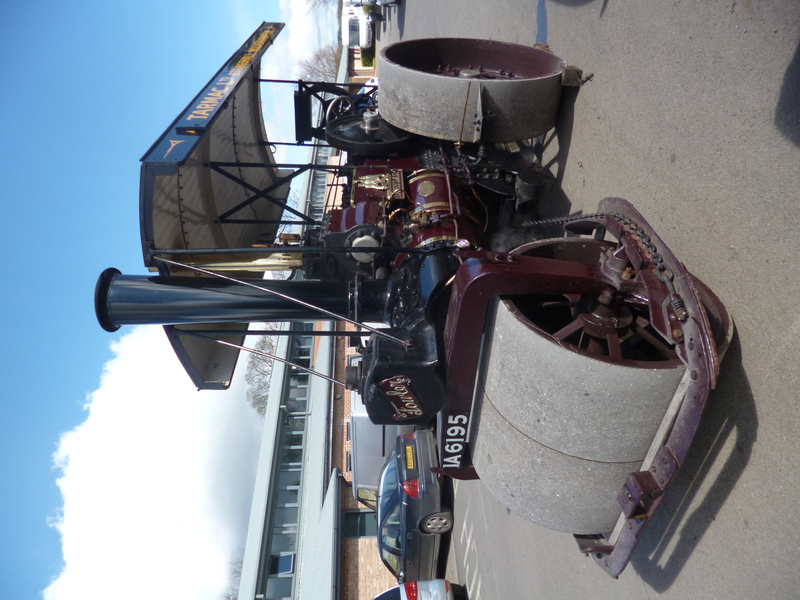 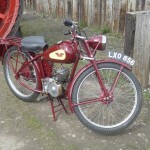 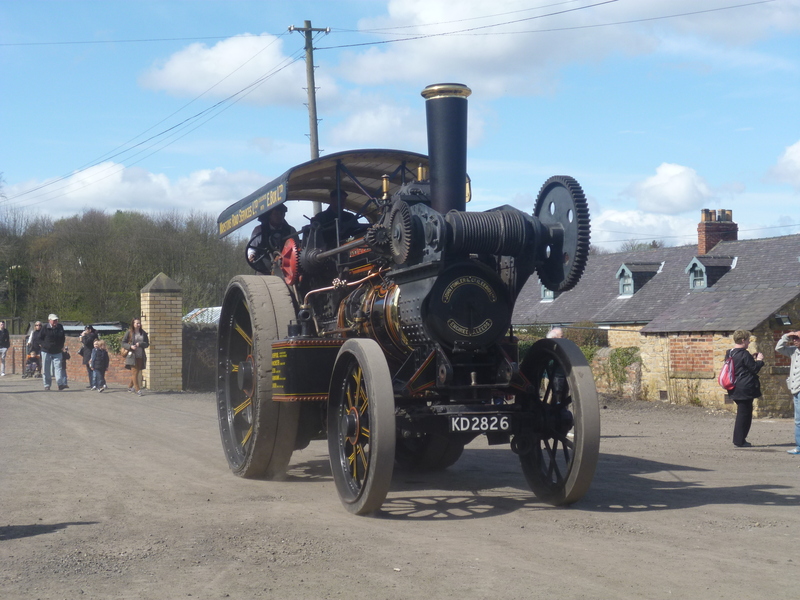 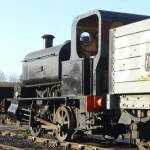 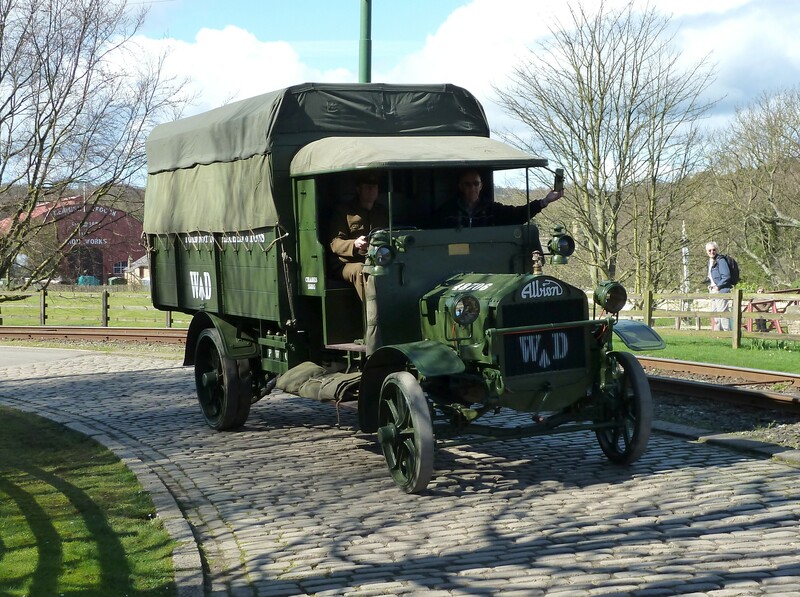 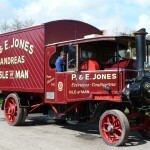 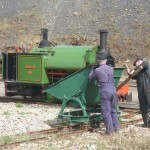 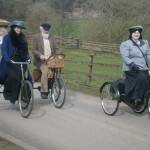 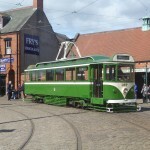 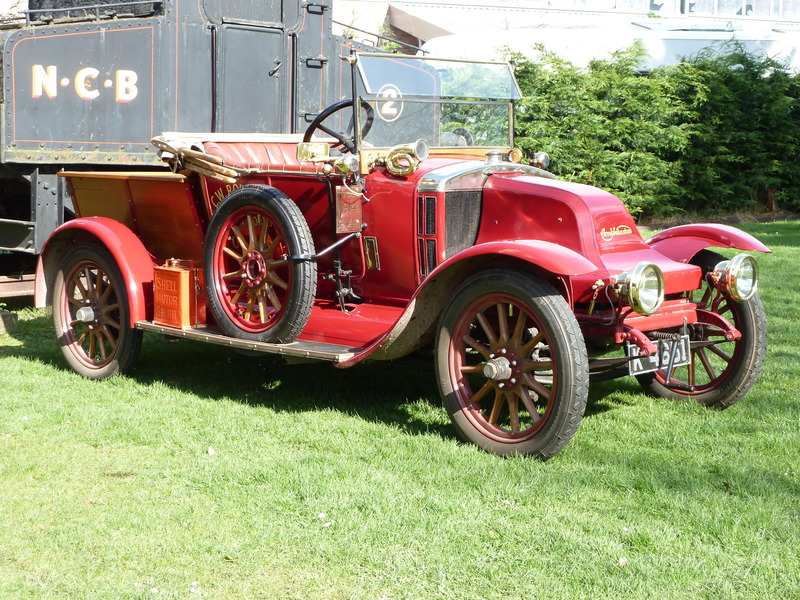 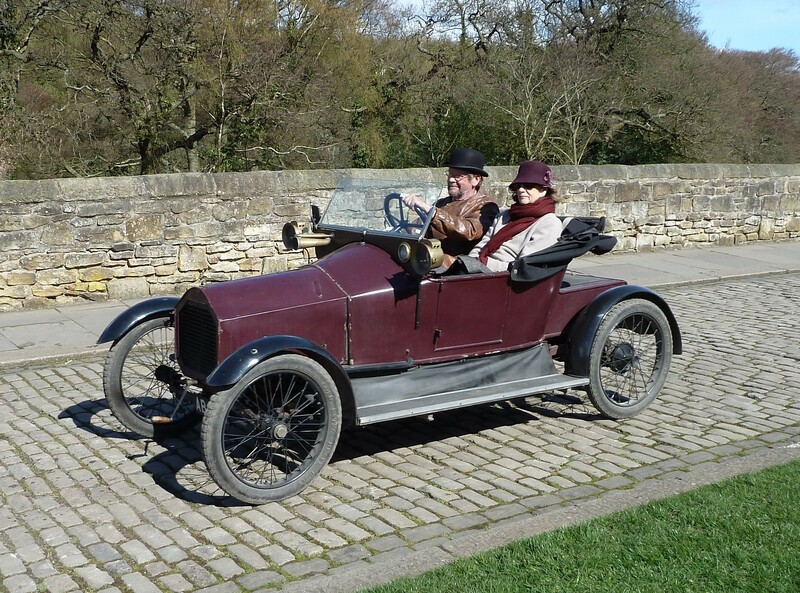 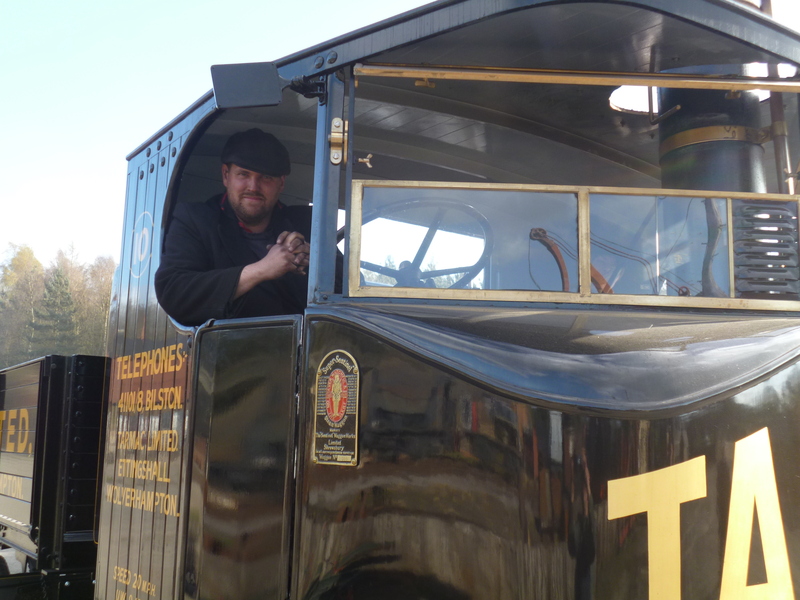 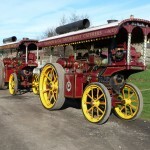 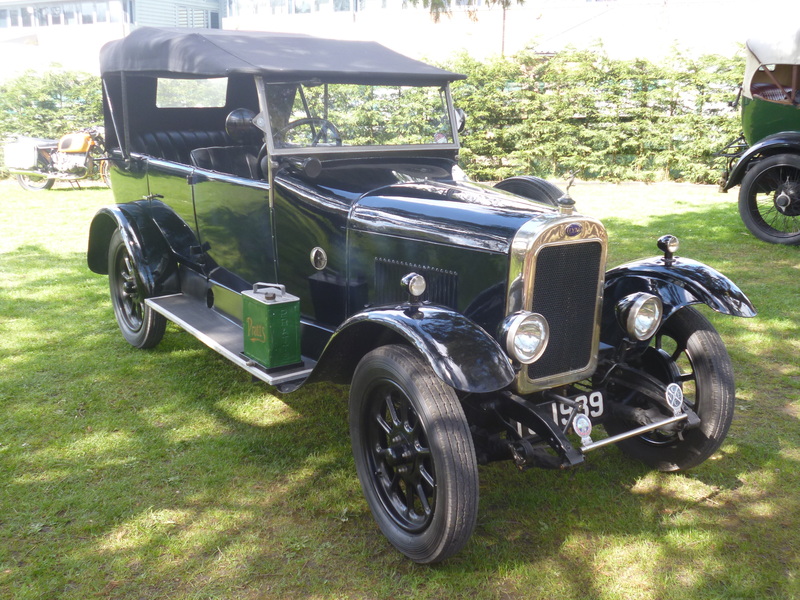 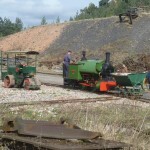 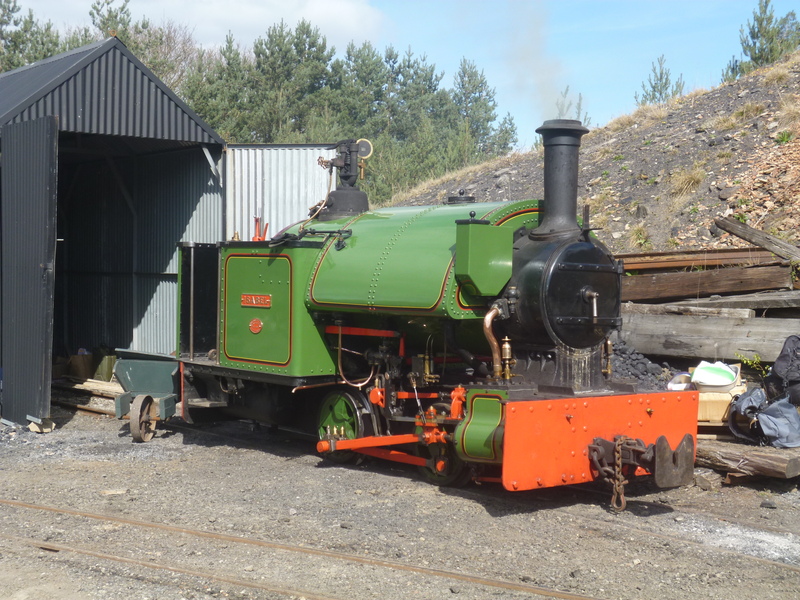 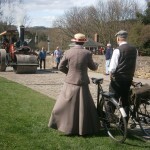 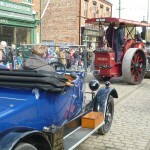 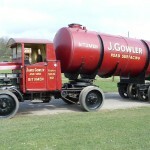 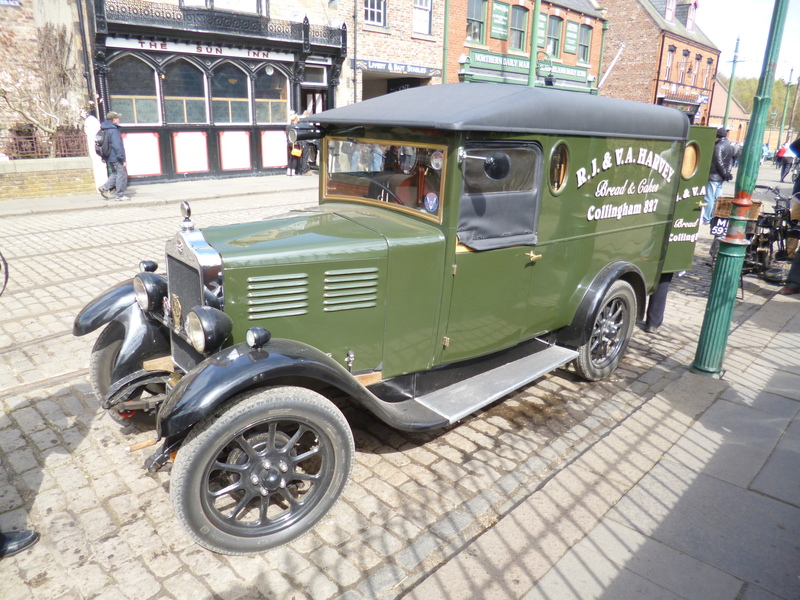 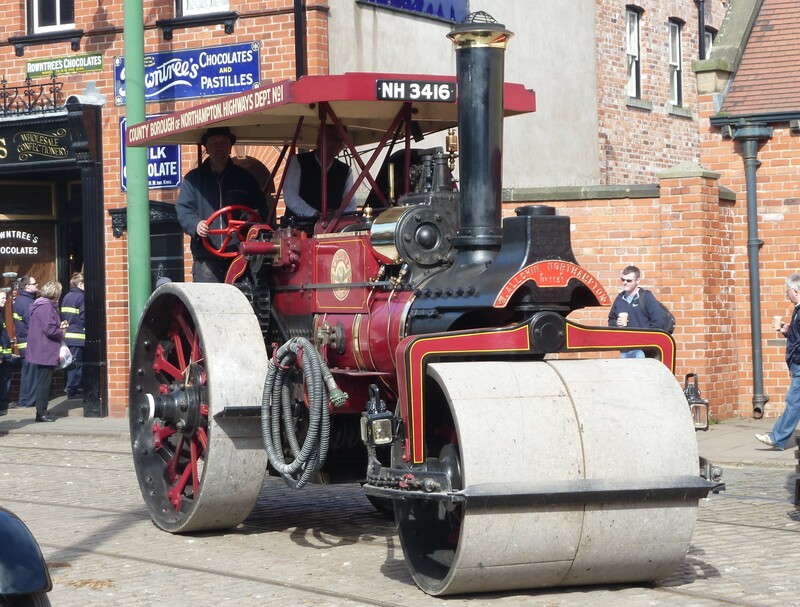 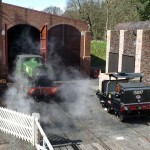 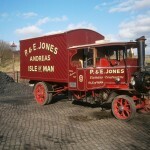 2014’s Great North Steam Fair, held from the 10th to 13th April, is rapidly gaining the status of being our best-ever transport event at Beamish (so far! 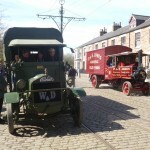 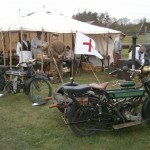 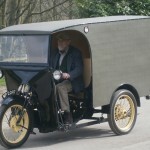 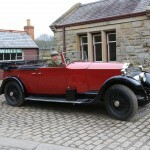 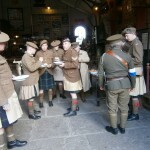 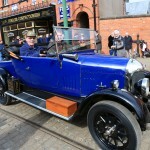 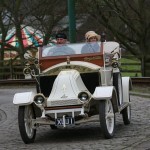 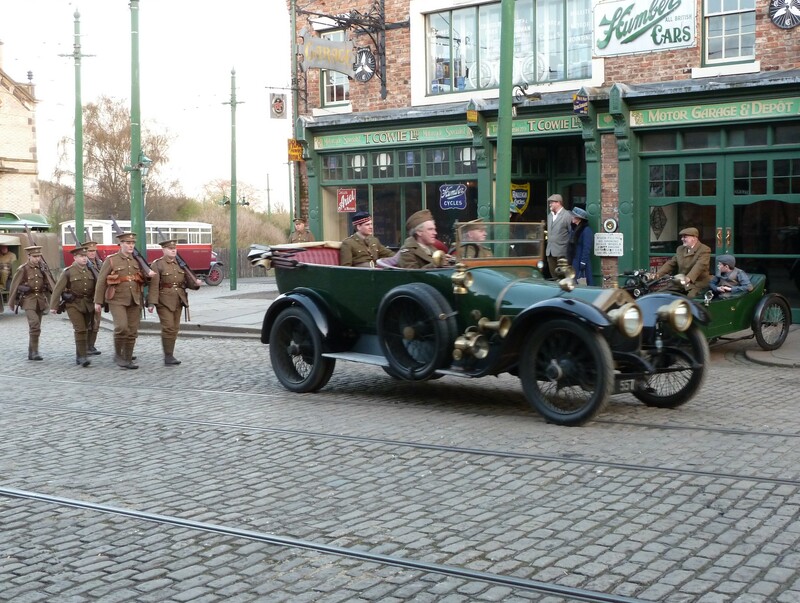 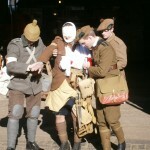 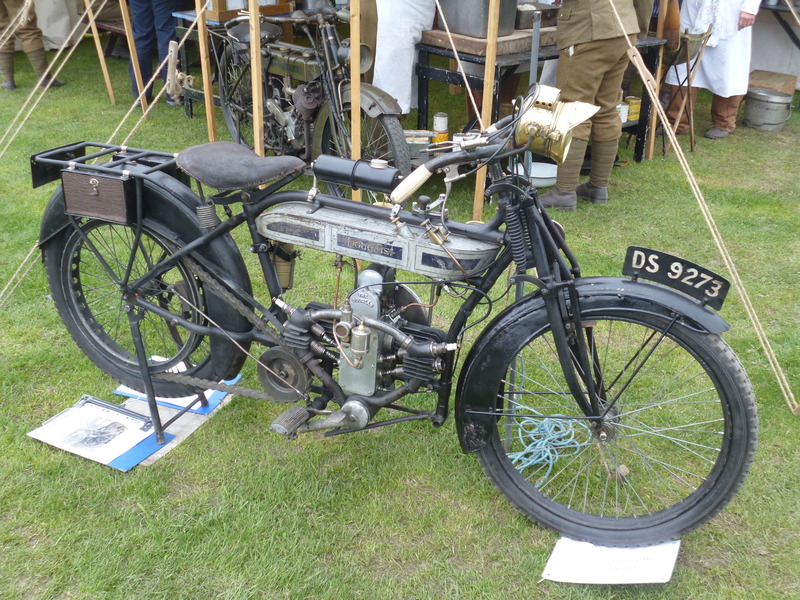 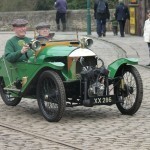 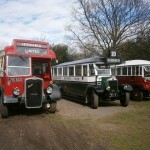 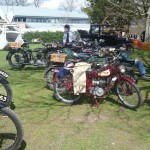 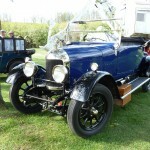 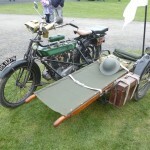 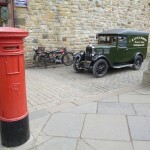 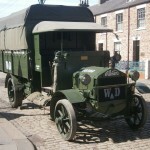 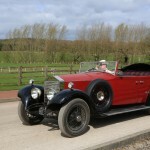 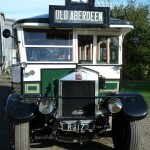 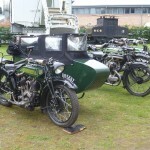 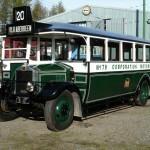 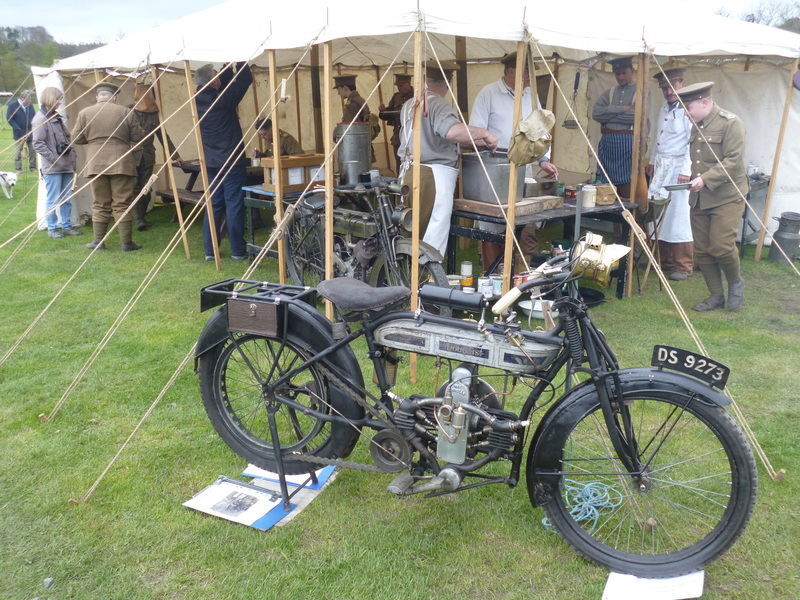 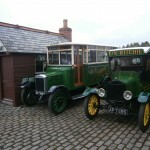 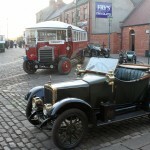 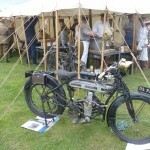 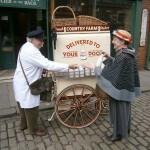 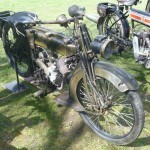 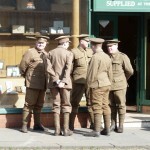 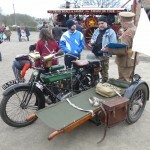 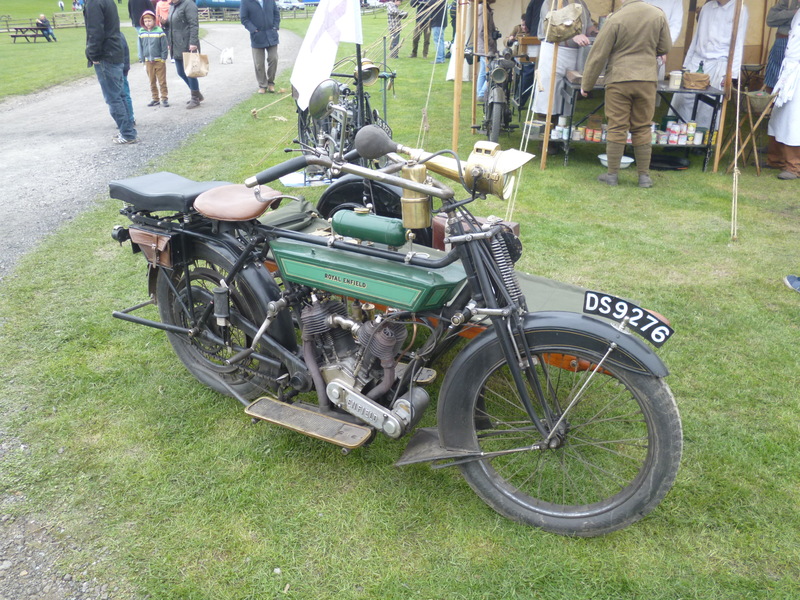 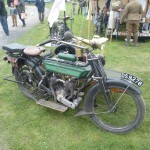 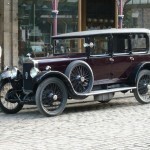 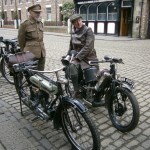 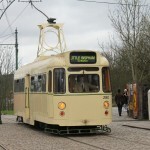 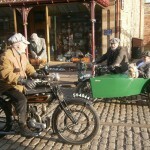 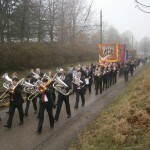 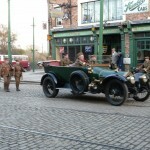 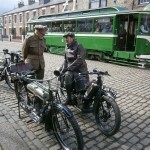 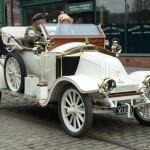 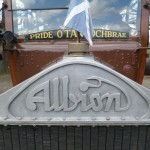 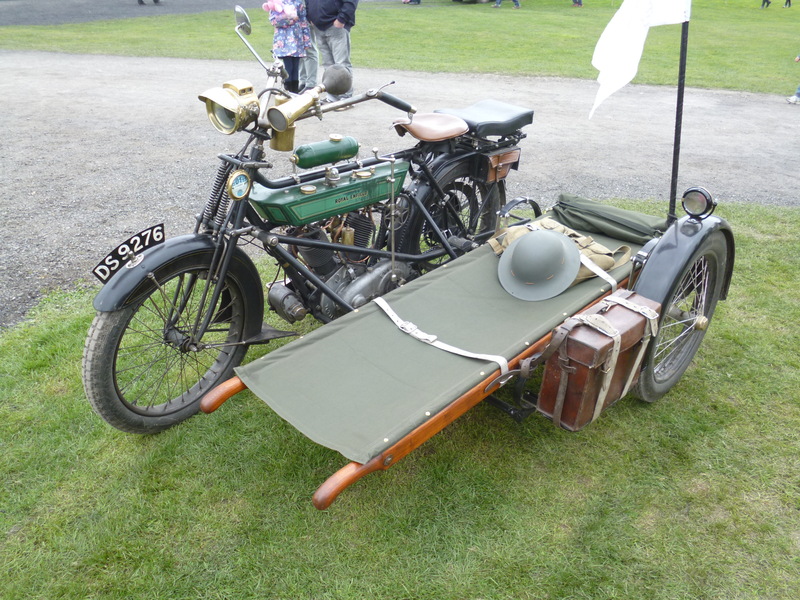 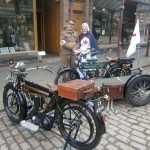 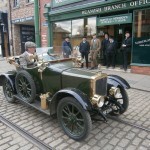 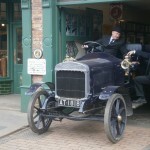 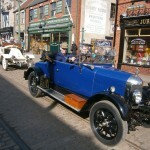 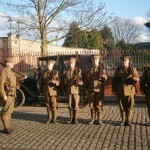 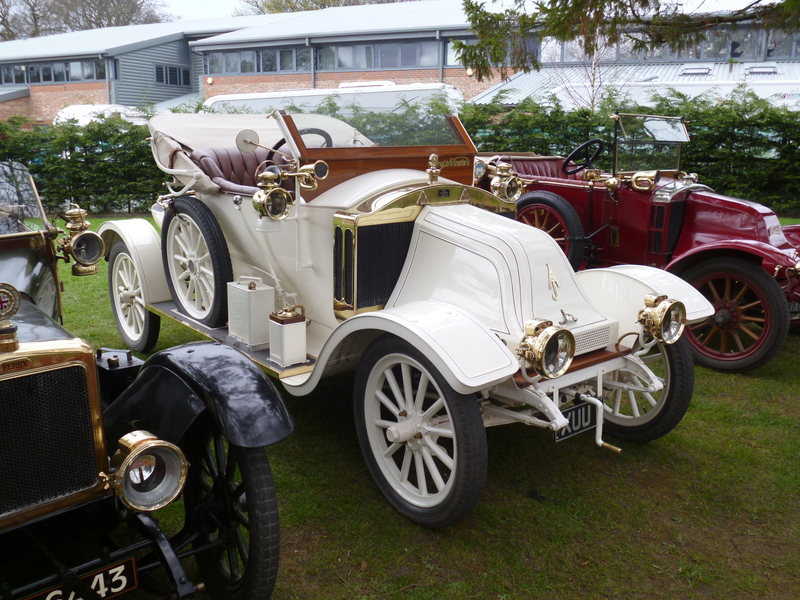 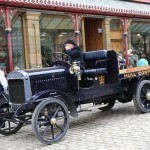 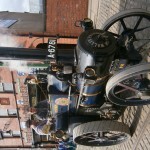 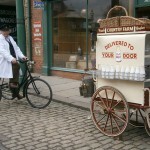 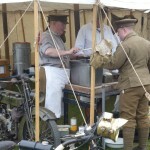 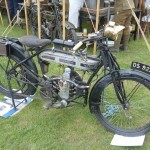 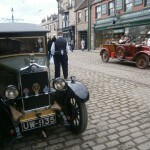 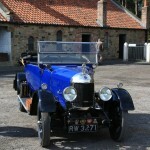 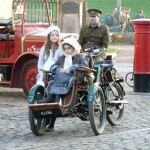 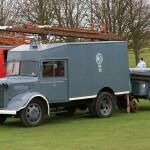 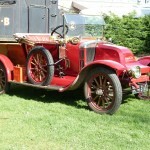 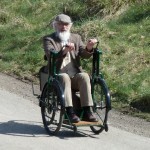 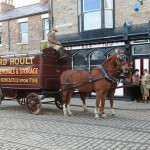 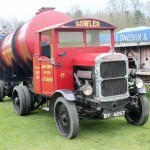 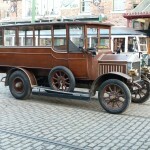 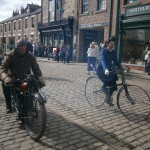 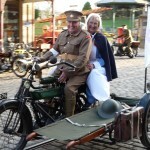 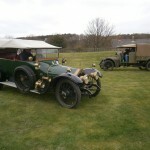 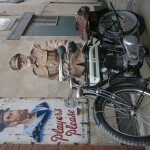 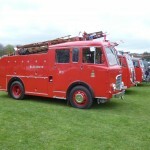 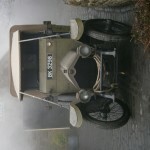 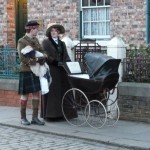 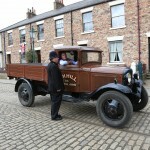 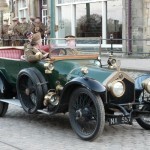 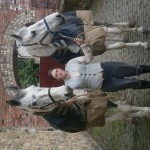 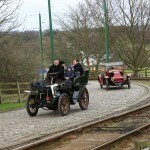 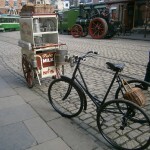 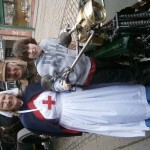 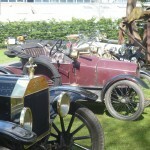 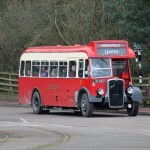 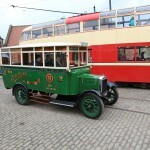 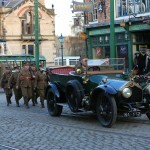 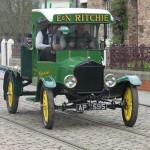 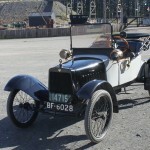 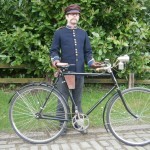 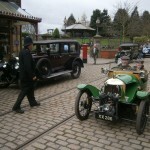 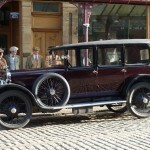 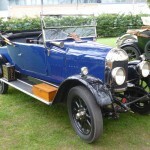 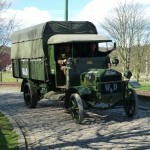 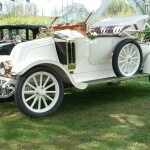 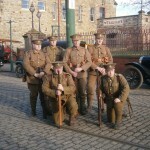 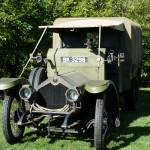 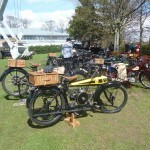 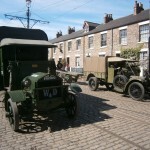 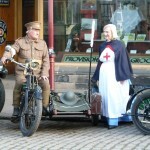 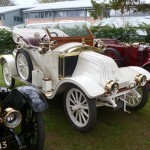 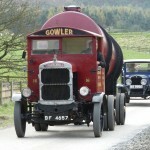 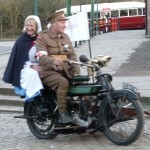 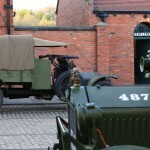 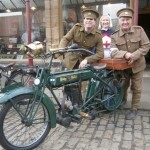 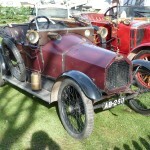 ), with some kindly saying it was one of the best-ever transport events anywhere! 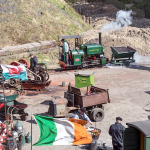 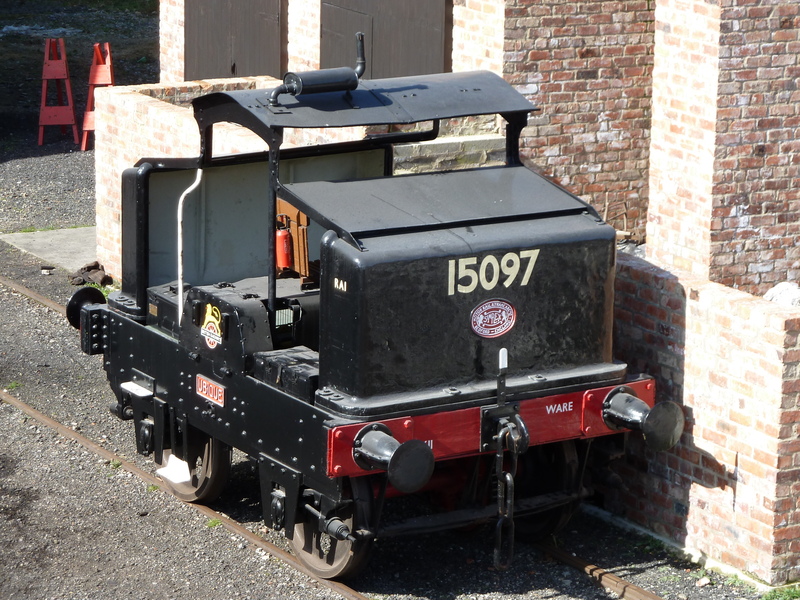 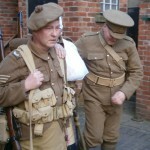 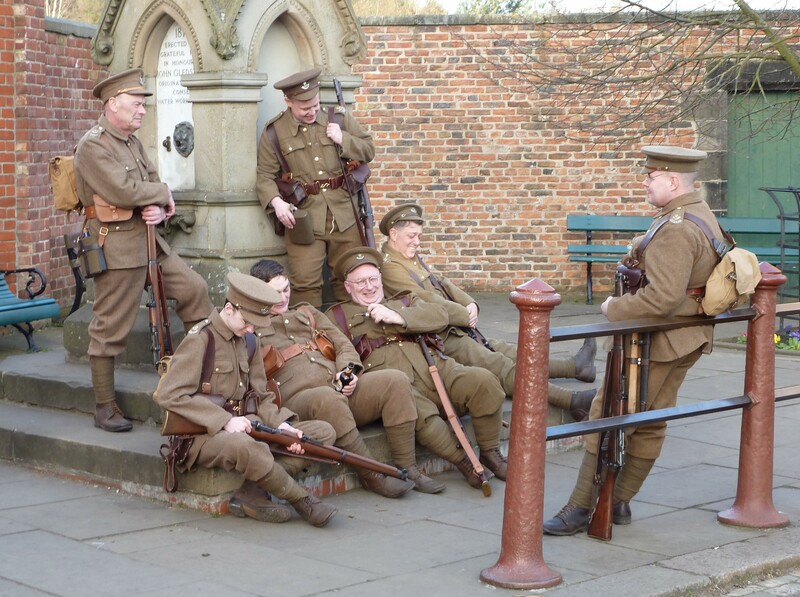 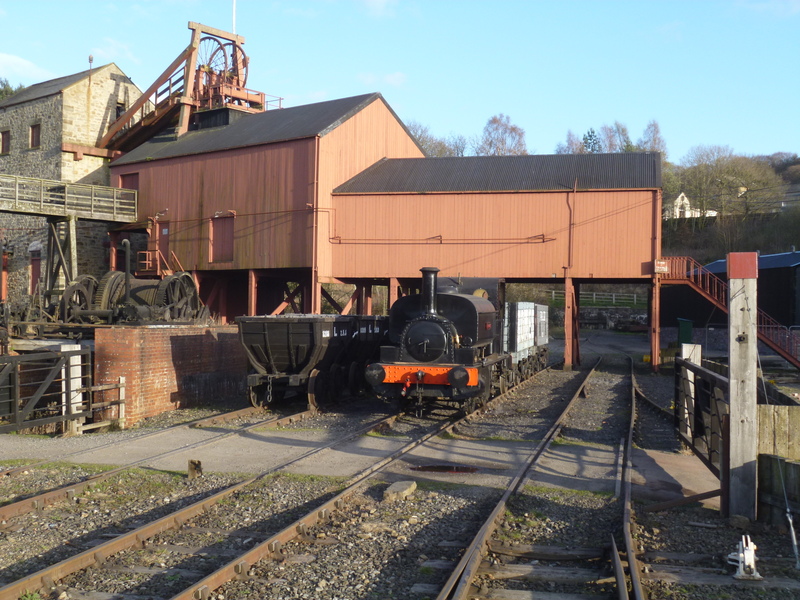 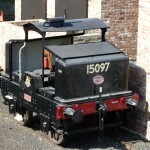 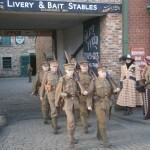 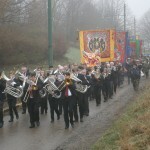 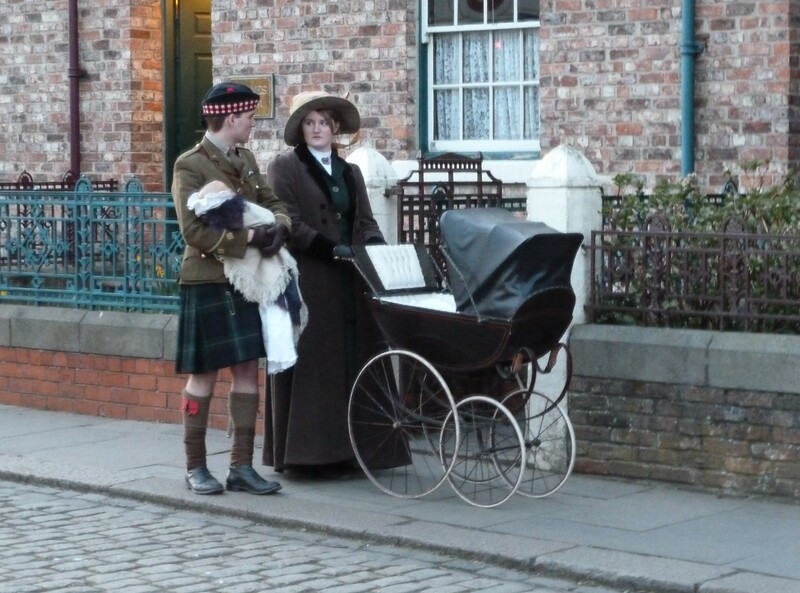 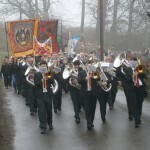 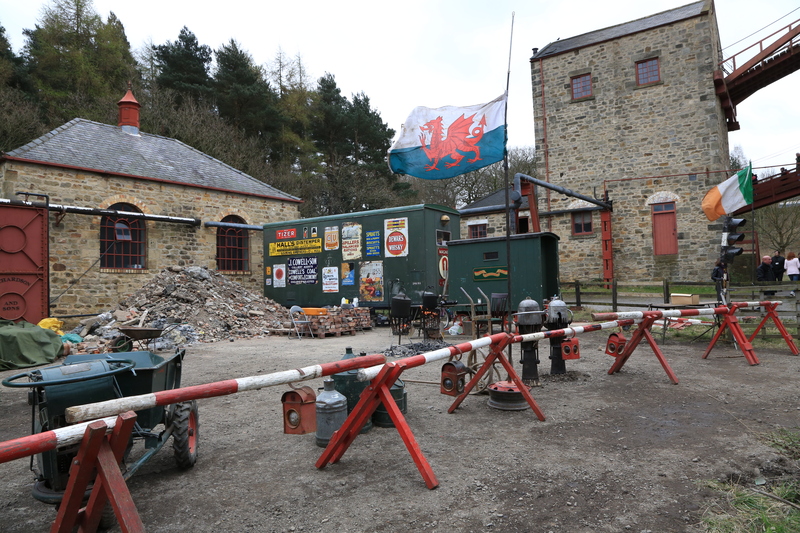 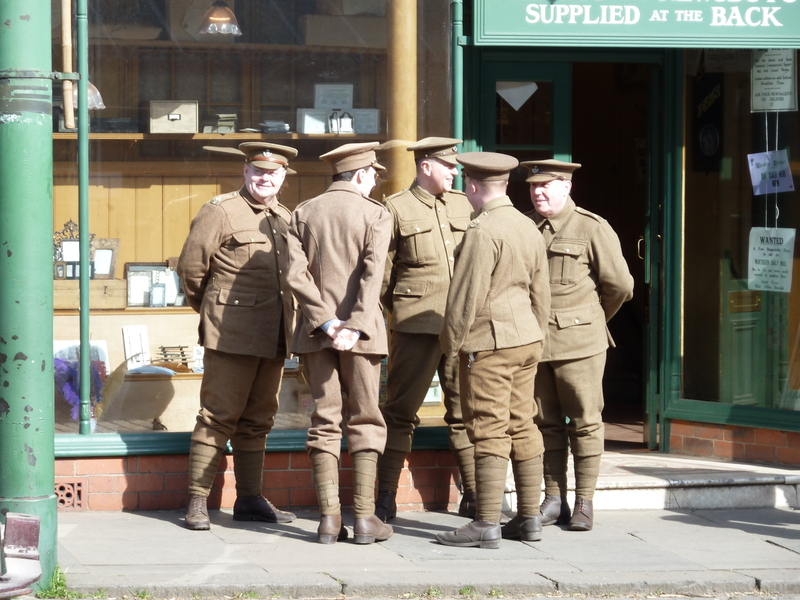 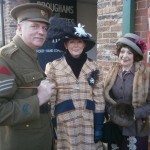 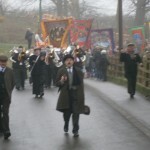 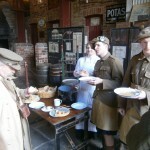 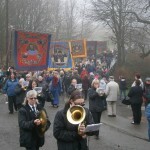 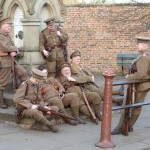 With 16,254 visitors over the four days, it closed the festival that began with ‘Old King Coal’ and a parade of colliery banners, passed through the somewhat subdued Edwardians at Play weekend and reached a real crescendo with the GNSF. 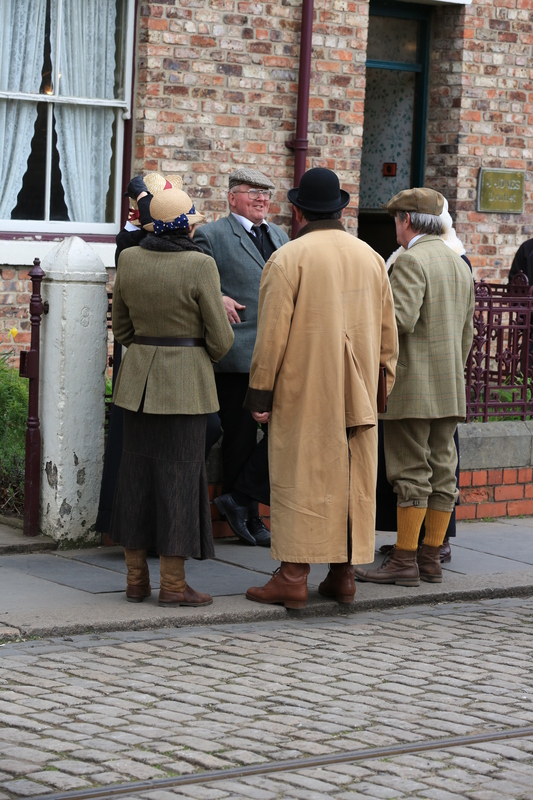 For those of us in the middle of it, it is hard to appreciate the event sometimes, but reflecting on it, without the pressure of running it minute by minute, we can certainly say it was our best one and had a real buzz about it, that seemed tangible among those present. 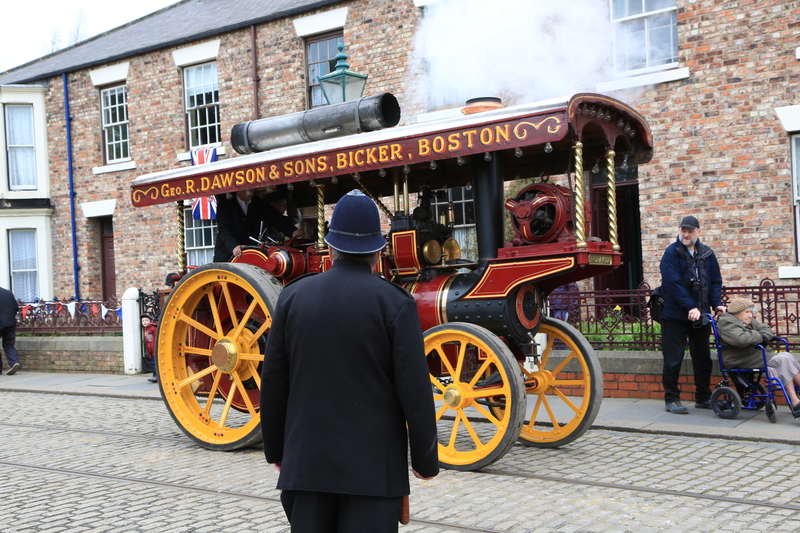 As in previous years, here are some galleries, contributed to by various photographers, each with a different slant on the event. 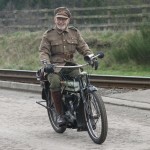 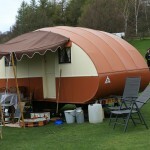 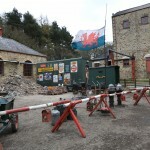 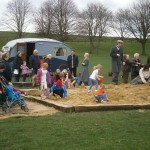 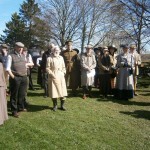 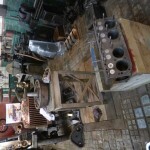 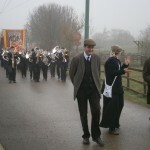 My thanks to all of those who have kindly allowed their photographs to be placed here as a record of a memorable event.